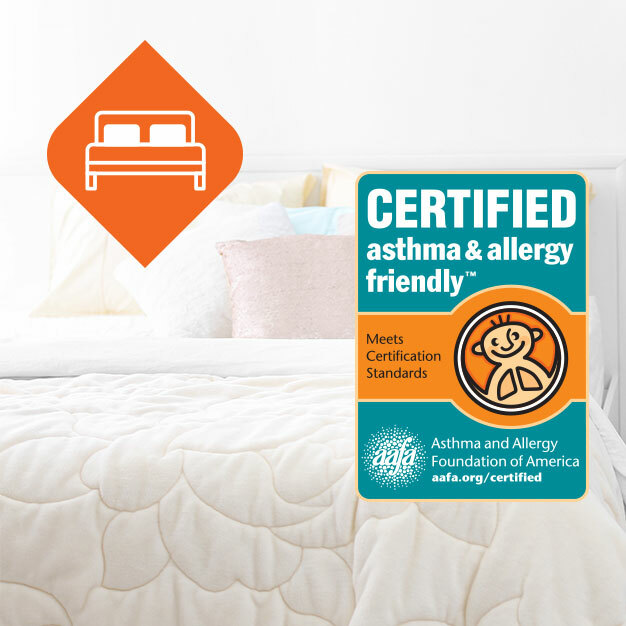 News, events, blogs, certification updates & expert insights from the team at Allergy Standards Ltd.
It’s time to rethink the bedroom … Good sleep is vital to our quality of life, essential to our health and wellbeing. Is your bedroom causing you health issues? 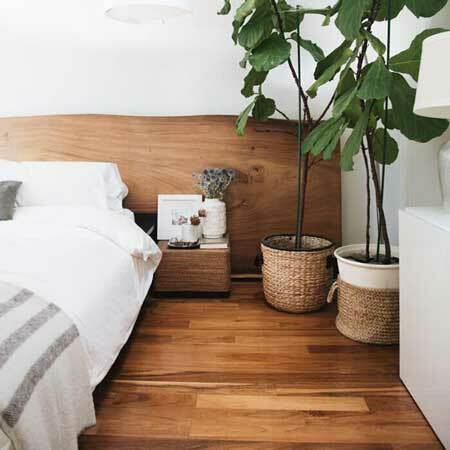 Sleeping, reading or relaxing, the bedroom is a key area to address in order to achieve a healthy home living environment. 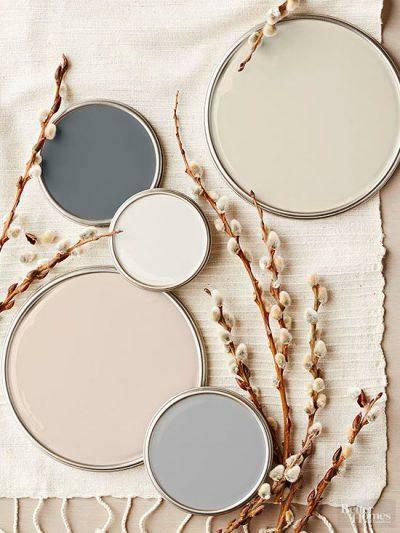 What is it that makes some paints better for the indoor environment than others, and where do we draw the line to decide to certify a paint? Where does our impulse for a Spring Cleaning comes from. Here are the religious, Cultural, Biological and Scientific Origins. 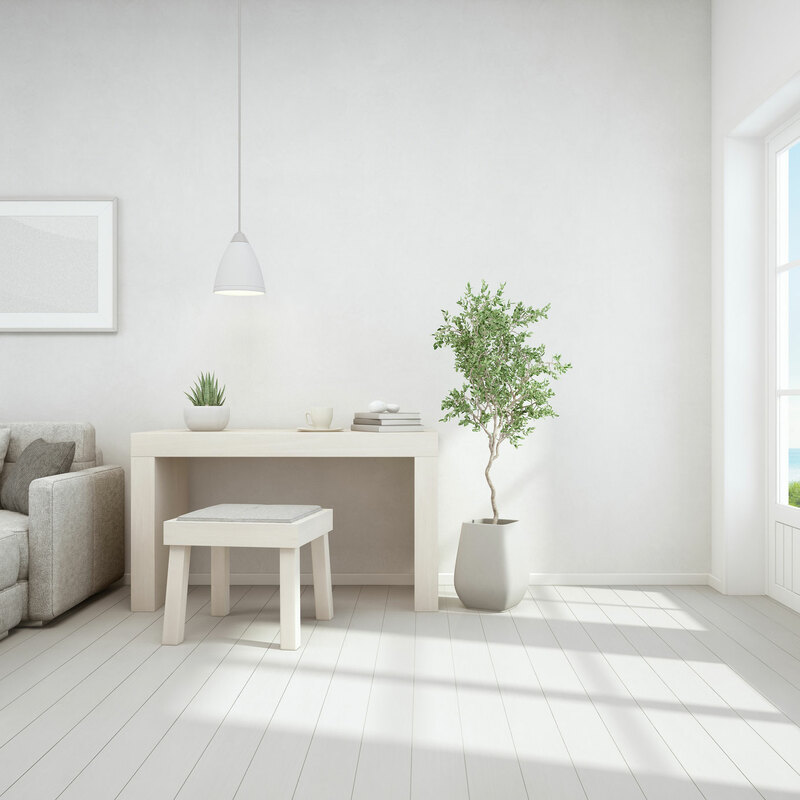 We spend an average of 90% of our time indoors and unbelievably, indoor air can be two and half times more toxic than outdoor air so it’s a huge issue. We’re delighted to share a great article written by ASL Senior Scientific Officer, Dr. Joey DeCourcey, and published in the Household and Personal Care Today. 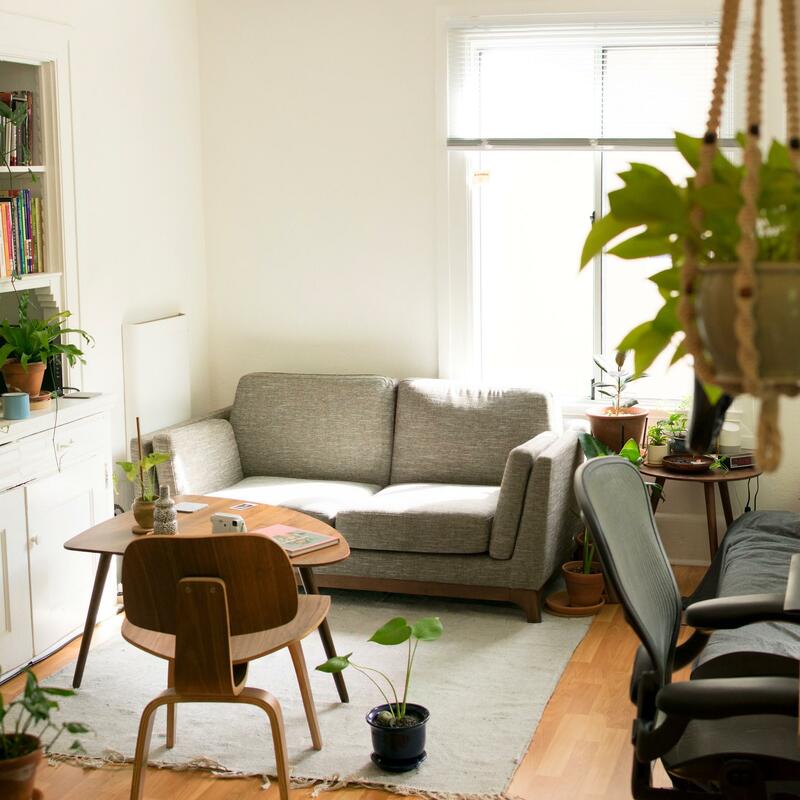 The e-book gathers articles for people looking for recommendations to improve the air quality in their homes and reduce asthma and allergy triggers. 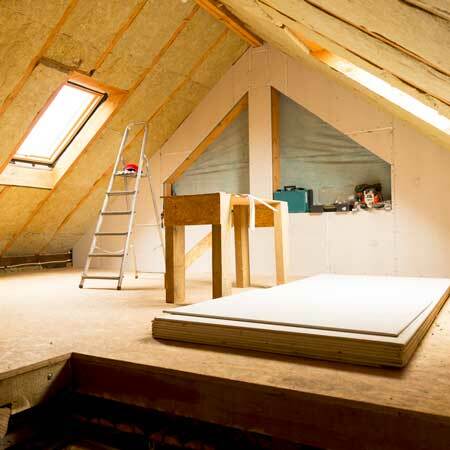 There are a number of different types of insulation and it can often be difficult to determine which type is best for your home. An aerobic workout in the gym for Sophie, but will it leave her gasping for air? 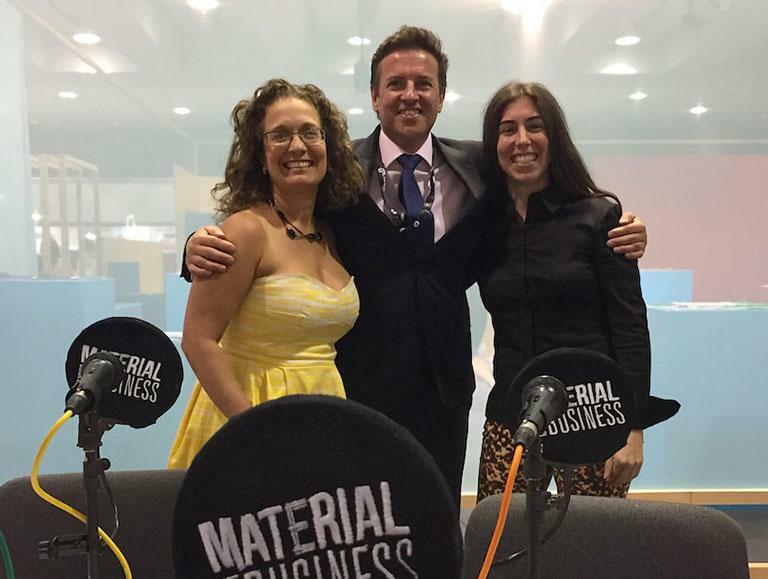 This is the latest instalment of ‘Sophie’s quest’ for better air quality. 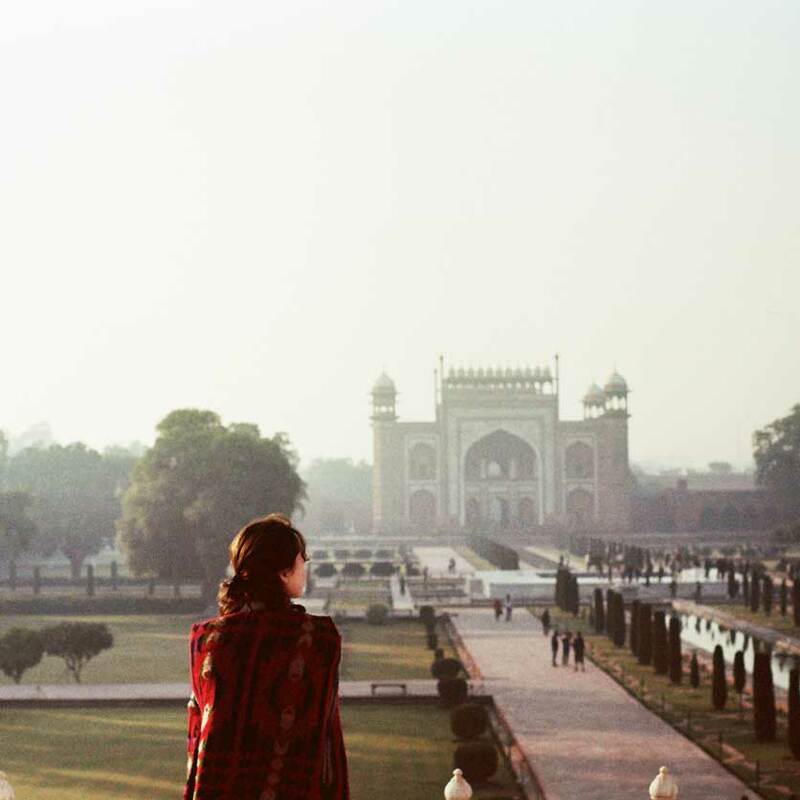 A friend, Sophie, recently returned from an extended trip around India with her husband and two children. Her trip has prompted her to wonder about the air quality at home. 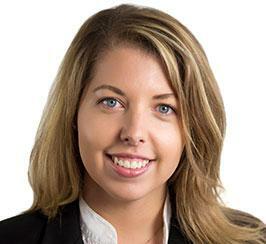 Follow Sophie’s investigations on air quality. 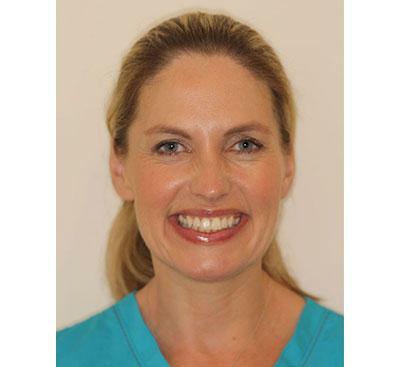 We are delighted to announce a series of blogs by our newest member to the team our Medical & Lifestyle Author Dr Anna O’Donovan. Her initial series of articles will be called ‘Poor Air Quality in Surprising Places: Sophie’s Quest for Better Air’. 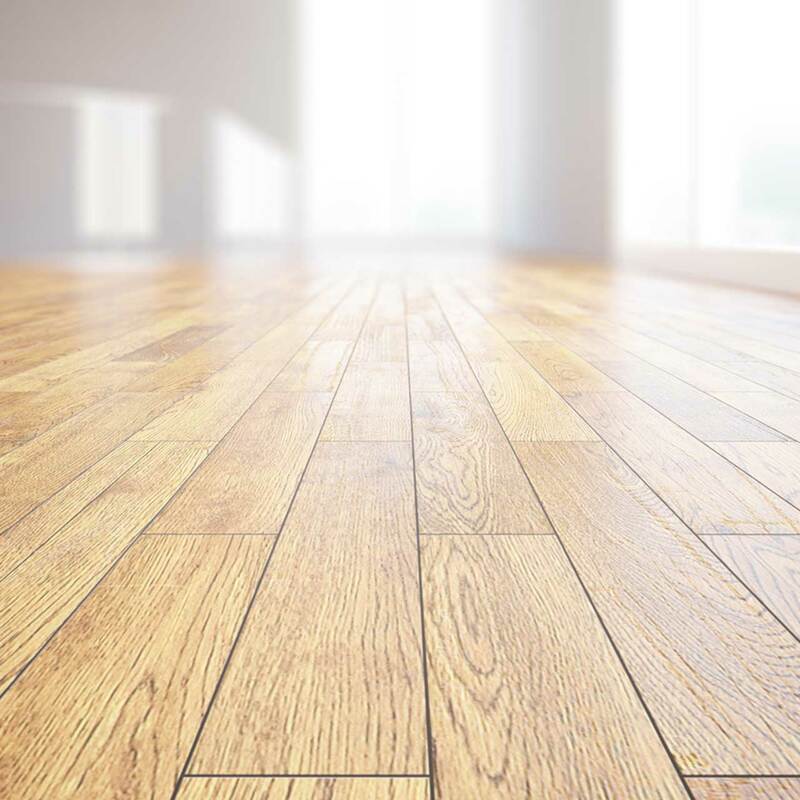 Materials such as flooring used in your homes are major contributors of indoor pollutants that can affect the air quality in your home. 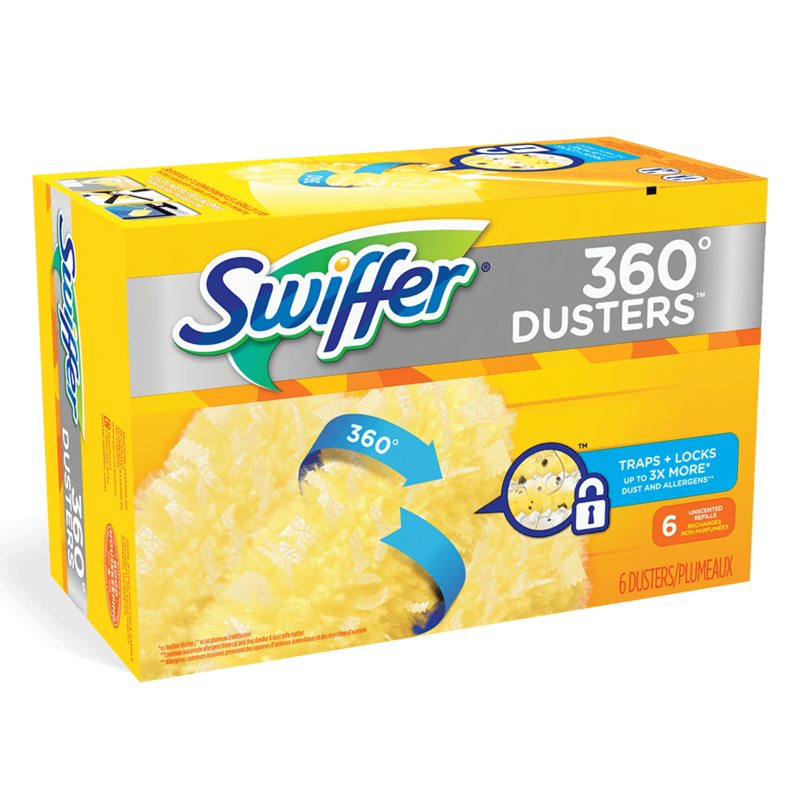 An Interview with Chris Anderson, Product Leader, and Ashley Hartford, Marketing Manager, Air Distribution at Owens Corning. 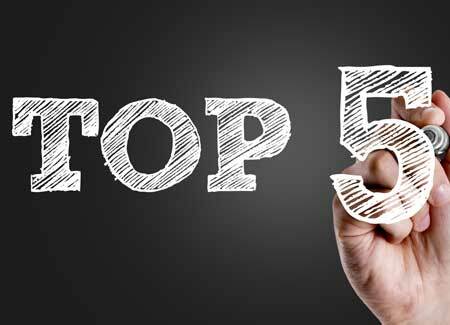 Here are the 5 Top Tips from the most innovative manufacturers that you need to know to differentiate your products from the competition. 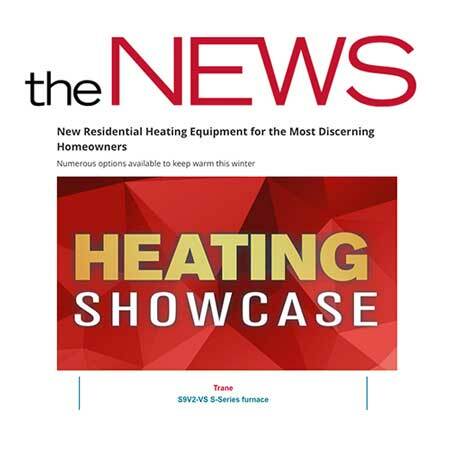 In this interview, meet Steve Ramirez, Director of Product Development at Cleva North America, who helps developing innovative products that meet the highest standards at one of the biggest American home appliance manufacturer. 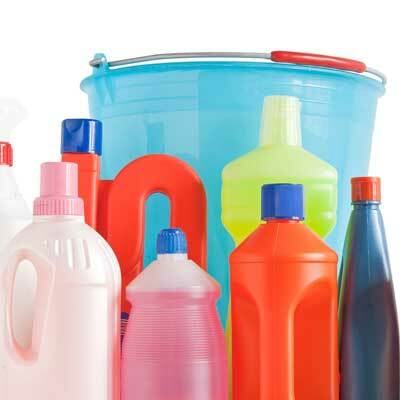 Even the most eco-friendly, inert cleaning product contains chemicals. What is important is the type of chemical and how much of it is present. Does Being Too Clean Cause Allergies? 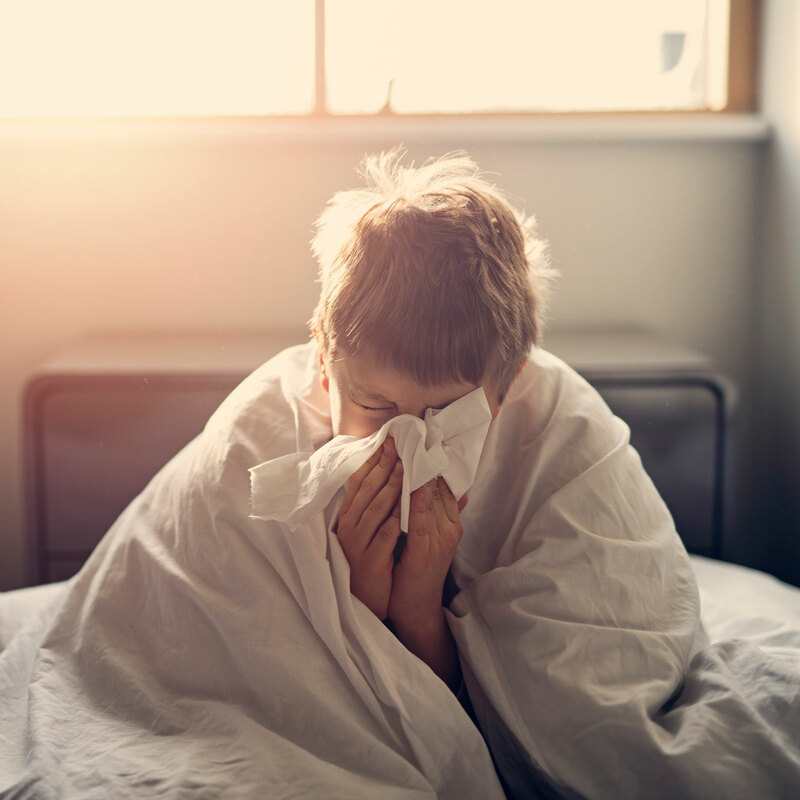 According to the Hygiene Hypothesis children who are raised in a very clean environment are more likely to develop hay fever, asthma and allergies. So does being too clean cause allergies? 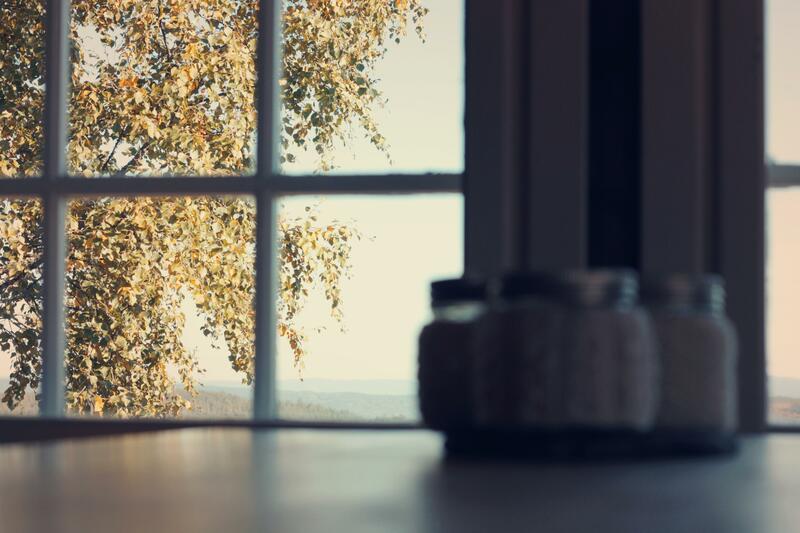 People with asthma and allergies are advised to avoid volatile organic compounds (VOCs) but in certain circumstances this can be unavoidable. 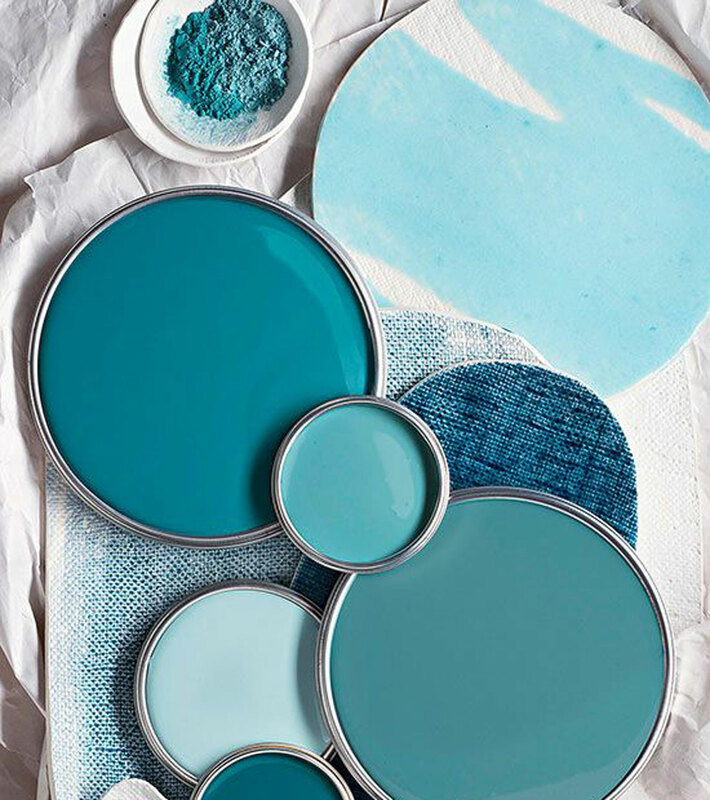 When carrying out necessary tasks such as painting the home, how can you reduce your exposure and what should you be looking out for in your paint? 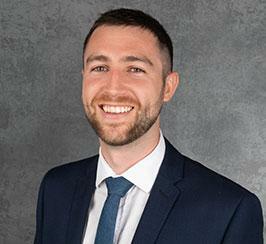 In this interview, meet Patrick Norris, Associate Brand Marketing Manager at Sanitaire Commercial, who manages product and brand strategy for the 60 year old brand that sets the standard in commercial cleaning products. 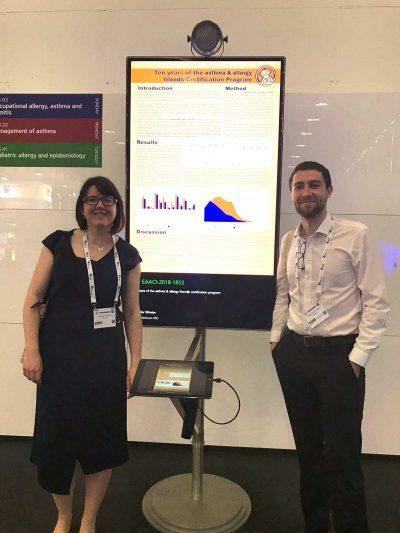 ASL attended this year’s EAACI Congress in Munich, Germany and presented on “Ten years of the asthma & allergy friendly® Certification Program”. Data analysis from our years of attitudinal surveys in the United States were presented at a well-received poster session during the conference. What separates the companies that are delivering on their brand promise from the ones that are not, and how can companies tighten their messaging to cut across the noise? 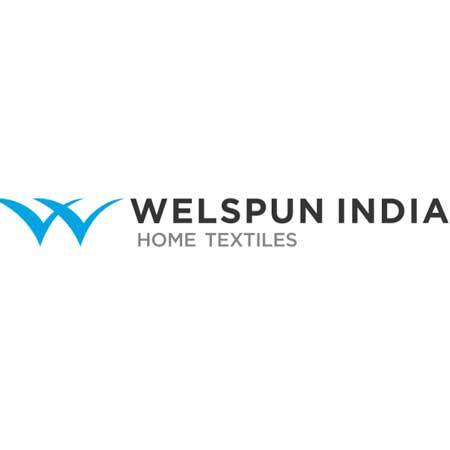 In this interview, meet Nancy Golden, Senior Vice President Marketing at Welspun USA. We are constantly in contact with textiles in our environment and so safety and confidence in these products is vital. 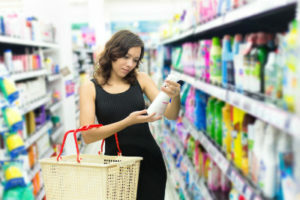 In this article, we talk about the dangerous chemicals and their health implications as well as the various ways to ensure that our clothes, bedding etc are free from dangerous chemicals. 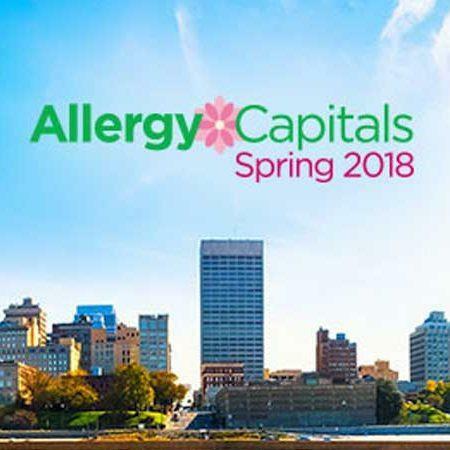 The Asthma and Allergy Foundation of America (AAFA) – our US partner for the Certification Program – has released the Spring Allergy Capitals™ report for 2018 – click here to read the report. 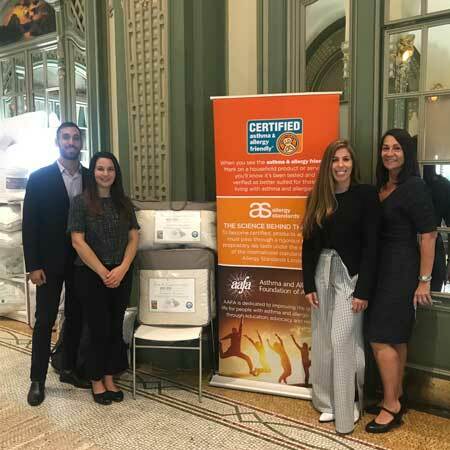 The Surface Event in Las Vegas was a real success for the asthma & allergy friendly® Certification Program with promising innovative companies looking into developing healthier floorings. 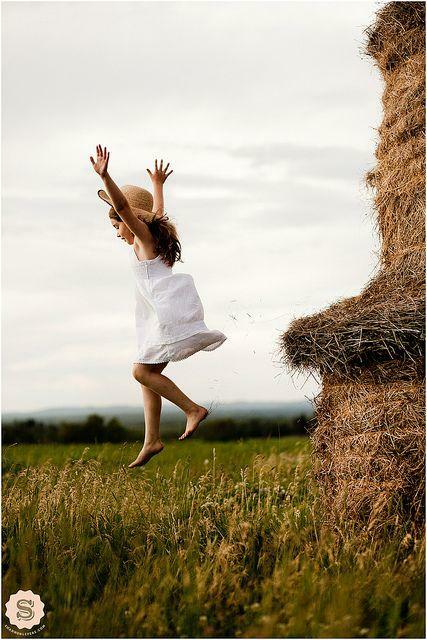 Allergen avoidance in the home – Part 2: How to get rid of allergens? 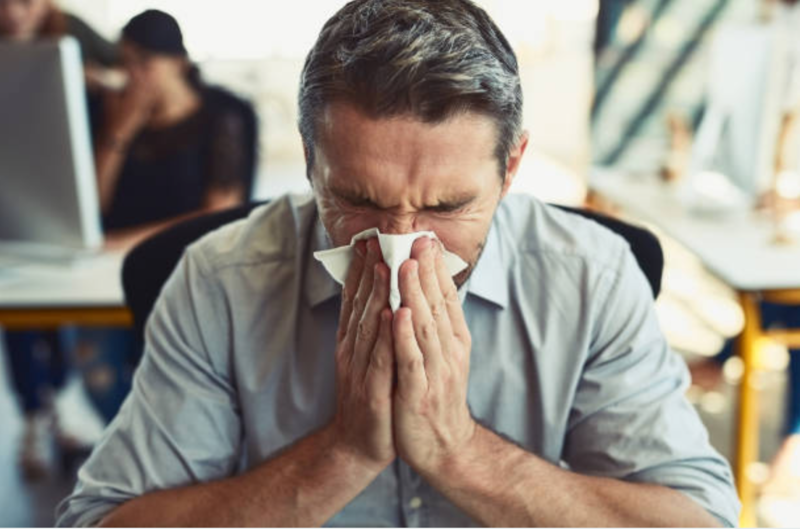 The second of a two-part article on the development of an allergy and asthma management plan for the home, controlling of exposure to allergens through their removal or treatment. 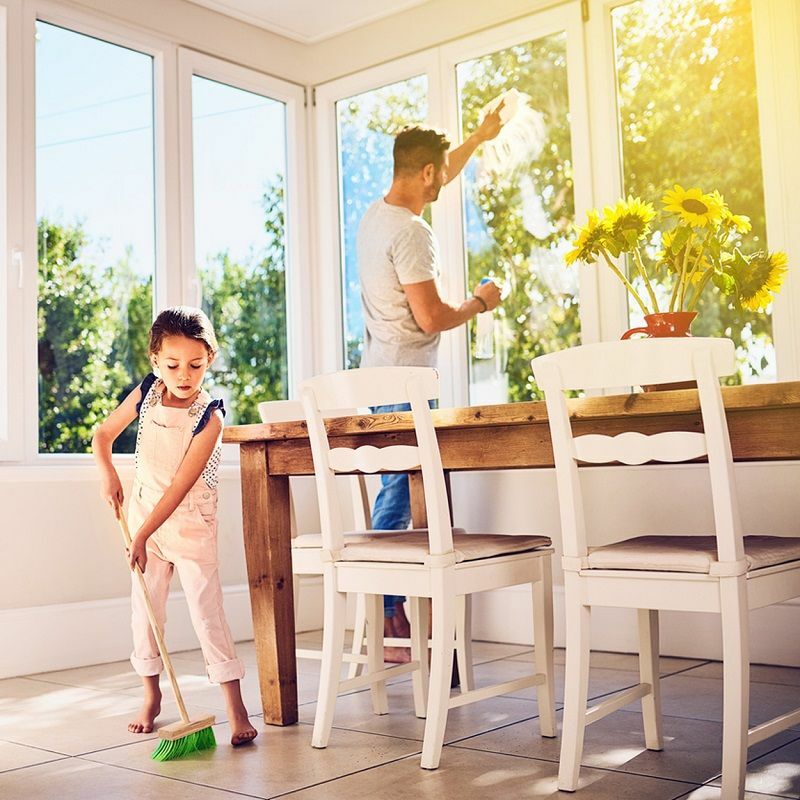 As people care more and more about living in a healthier environment free from chemicals and allergens, it is important for manufacturers to adapt to the new demands of consumers. 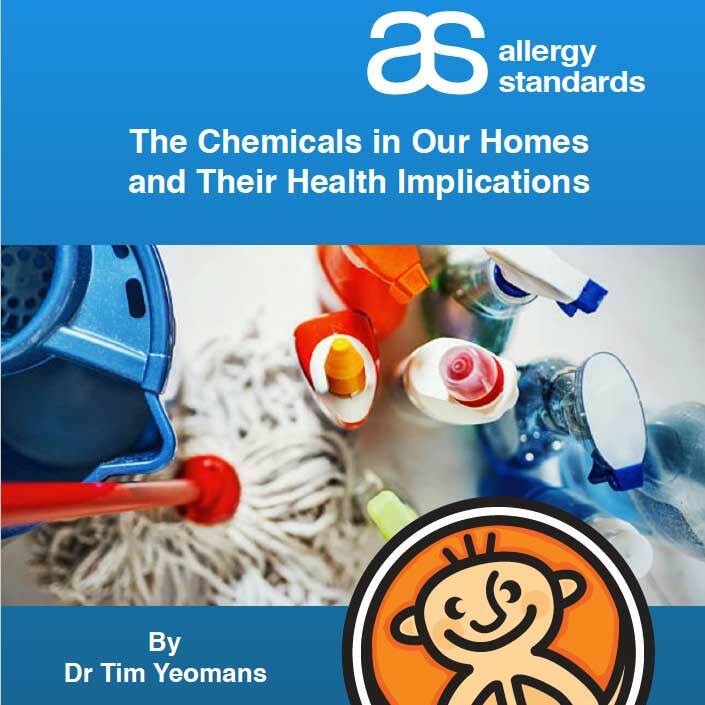 Allergen Avoidance in the Home – Part 1: Where do the Allergens Come From? 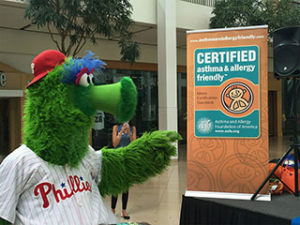 The development of an allergy and asthma management plan is an important step in controlling exposure to allergens. But what kind of steps can be taken, and what kind of products should be used, or avoided? 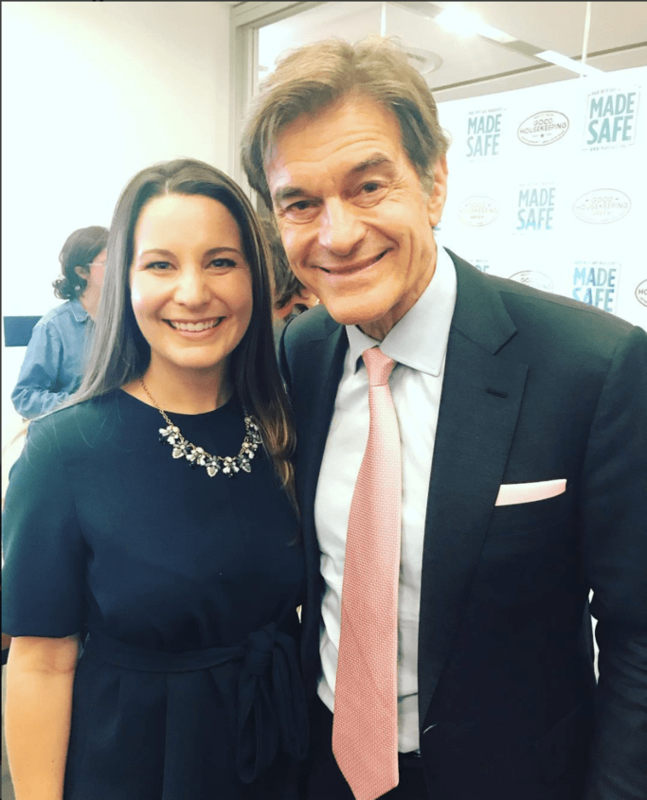 Allergy Standards’ Vice President of Sales, Courtney Sunna attends a sustainable and healthier products event with Dr. Mehmet Oz, organised by the Good Housekeeping Institute and Made Safe. 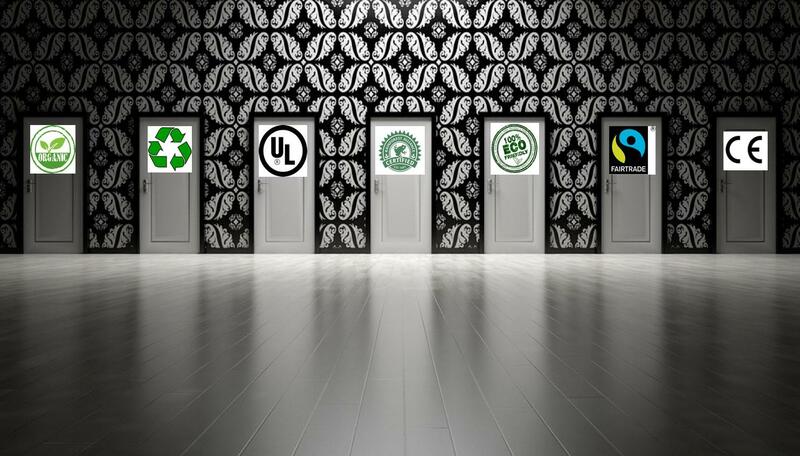 The growth of certification standards – creating confusion or options? The challenge to an extent is not in having too many certification marks, but in identifying which certification marks you should trust and why. With the continuous information provided to consumers about the allergen content of their food, why is it that we don’t receive similar information about the allergen content of non-food product? From May 17th to 19th 2017, the Allergy Standards (ASL) team attended the Living Future unConference 2017 in Seattle, Washington. 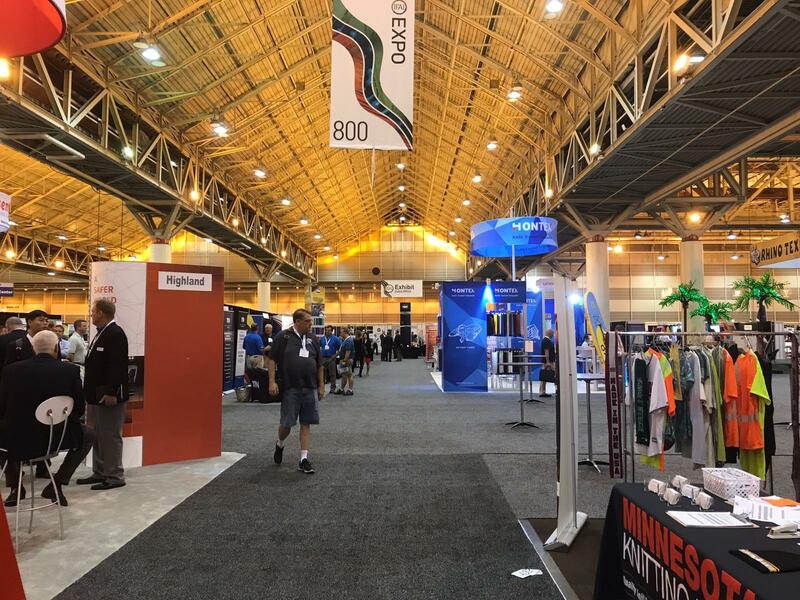 ASL recently attended the IFAI Expo to learn about advanced techniques in textile testing, sourcing, and manufacturing. 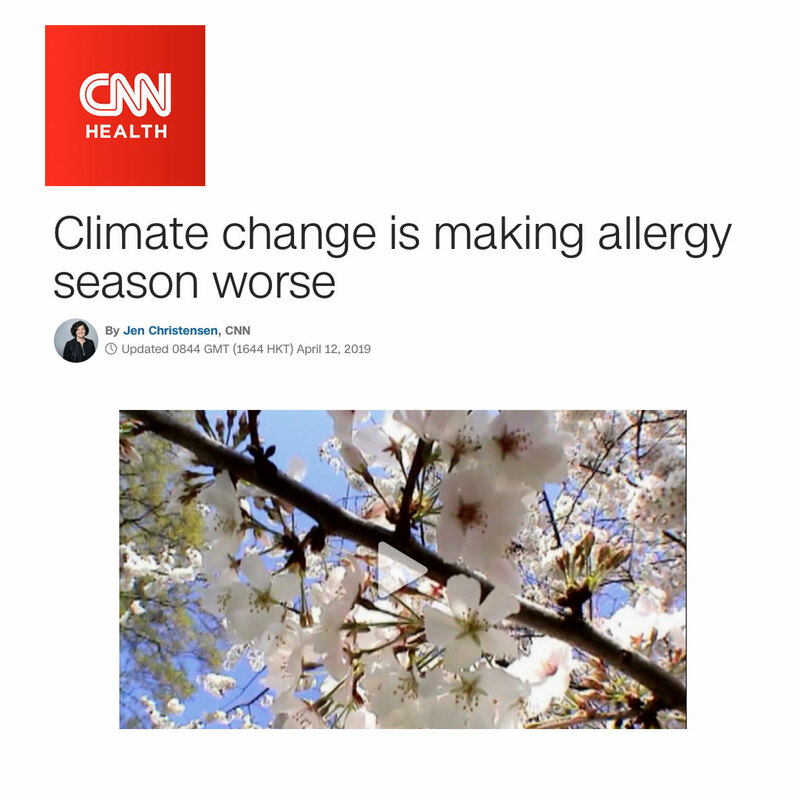 Ahead of our attendance at day 2 of the New York Home Fashions Market September 2017 meeting I thought I would review a paper we produced some time back about textiles & allergies. 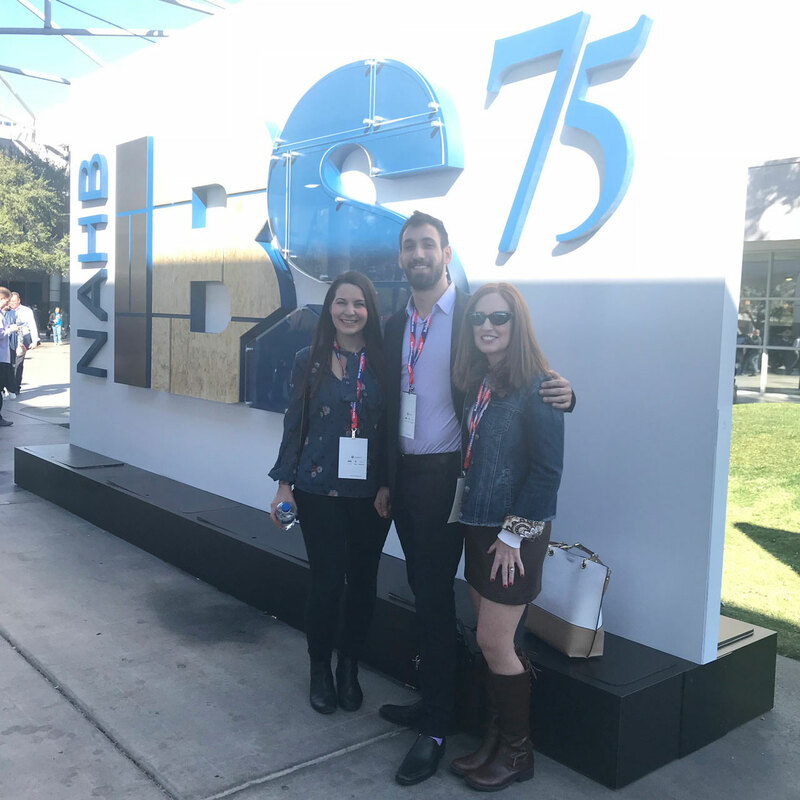 On January 11th and 12th, ASL’s Courtney Sunna had the opportunity to attend the NAHB International Builders’ Show (IBS) in sunny Orlando, Florida. 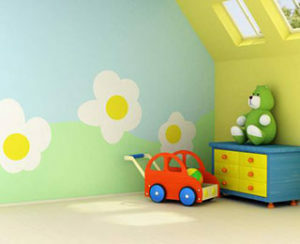 Indoor air pollution can pose a health risk, especially for people with asthma and allergies. 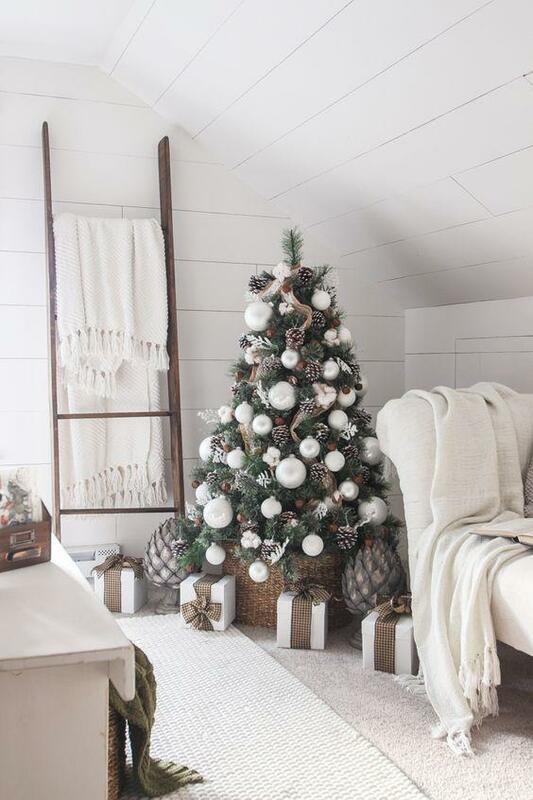 Your home may have small particles in the air or damaging gases such as carbon monoxide. 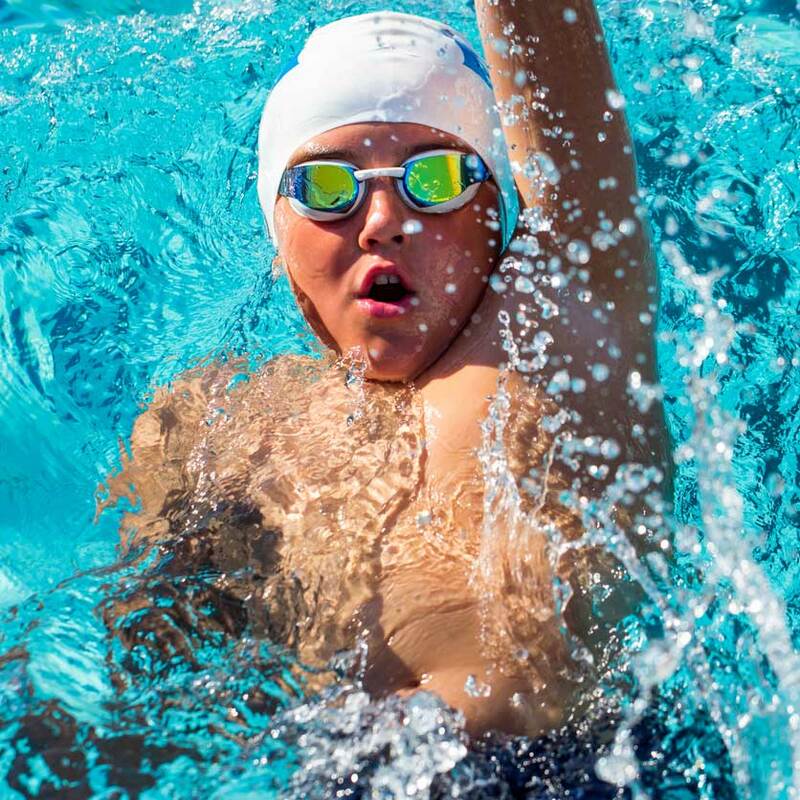 As summer rolls in, many are preparing for family vacations. Exciting! 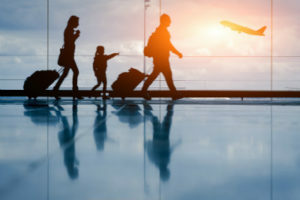 But vacations also require careful planning if you or someone in your family has asthma and allergies. 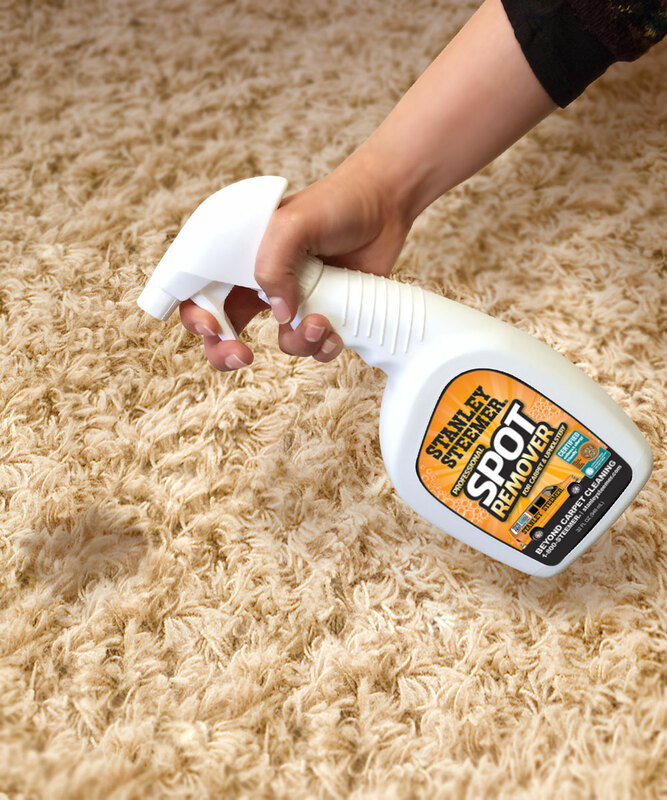 We all want to embrace the sunshine and flowers of a new spring to shake winter’s cold chill but keeping your flooring free from allergens is a must. 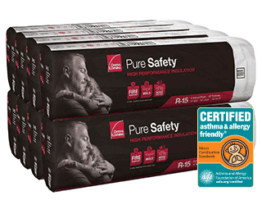 ASL today announced that the Serta Smart Defense pillow have passed the relevant Certification Standards. 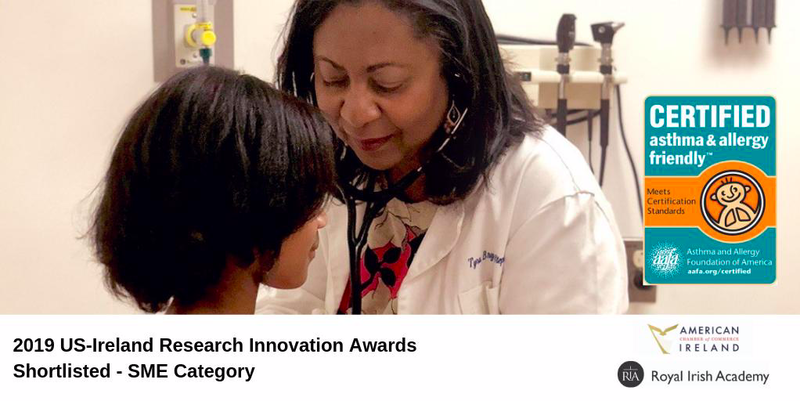 We are very happy to announce that Allergy Standards has been shortlisted for the US-Ireland Research and Innovation Award. 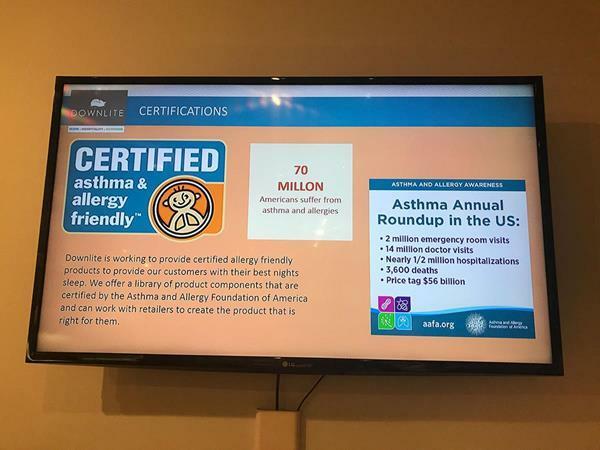 The US team attended the True Value 2019 Spring Reunion where they provided education on asthma and allergy prevalence across the US to True Value team. 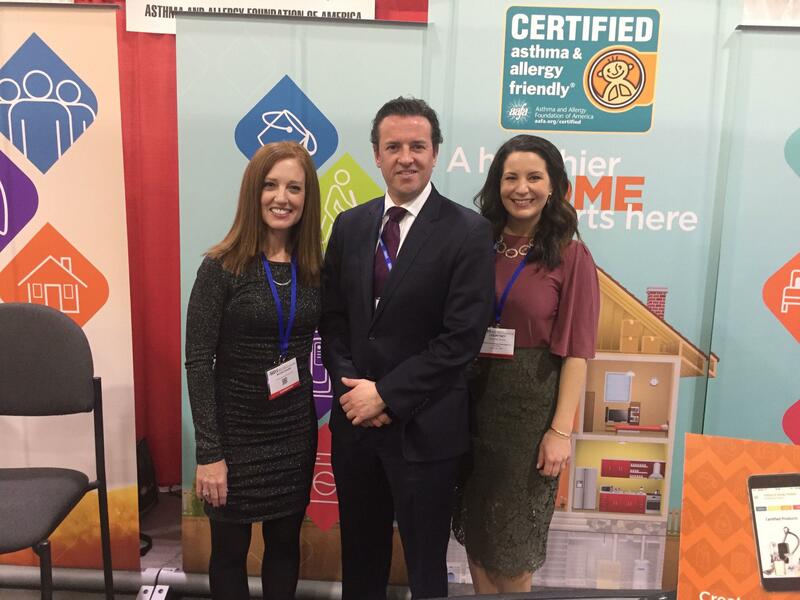 The US asthma & allergy friendly® Certification Program team attended the biggest US Building Industry shows in Las Vegas. 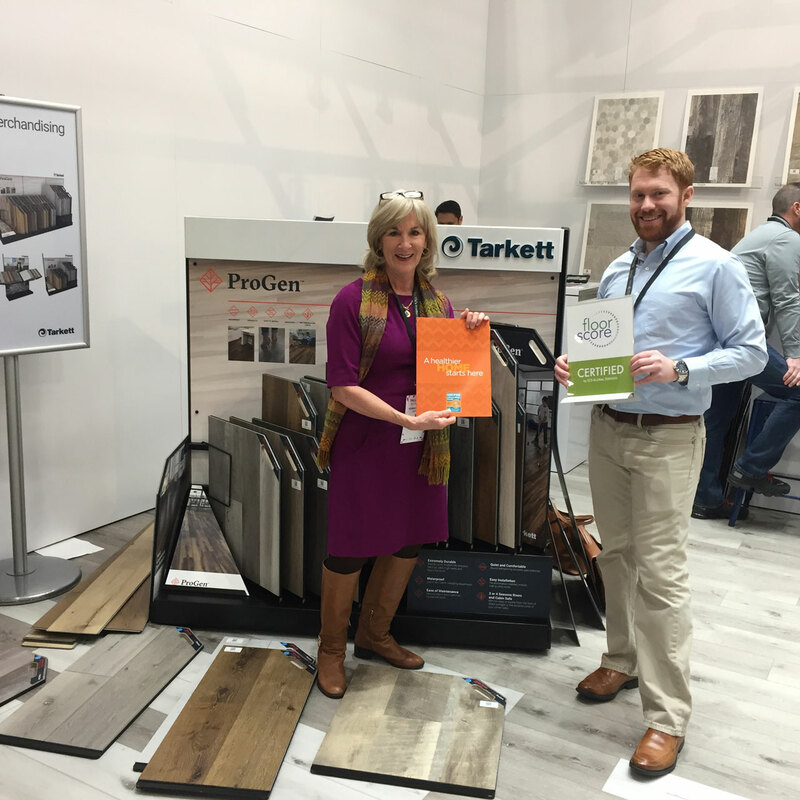 ASL and SCS teams attended the International Surface Event in Las Vegas alongside with flooring Certified clients such as Tarkett and Congoleum. 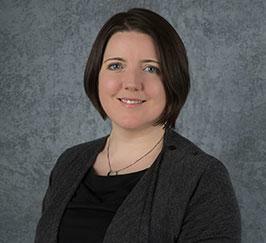 ASL announced today that they are collaborating with Sara Ciavarella from the University of Notre Dame’s to identify and explore innovation opportunities. 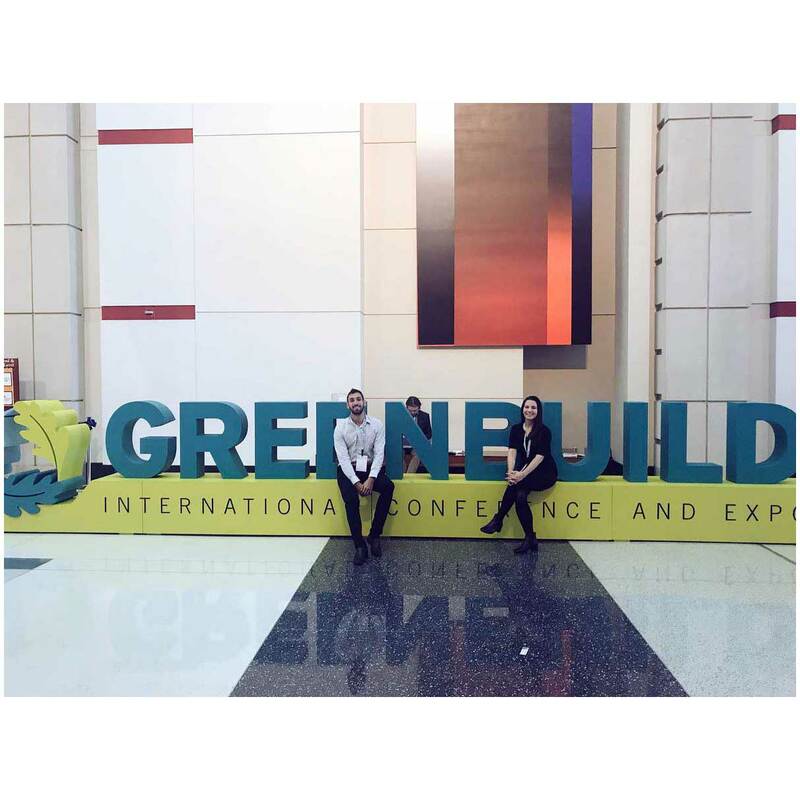 ASL team attended the Greenbuild International Conference and Expo in Chicago where was highlighted the importance of improving indoor environments. 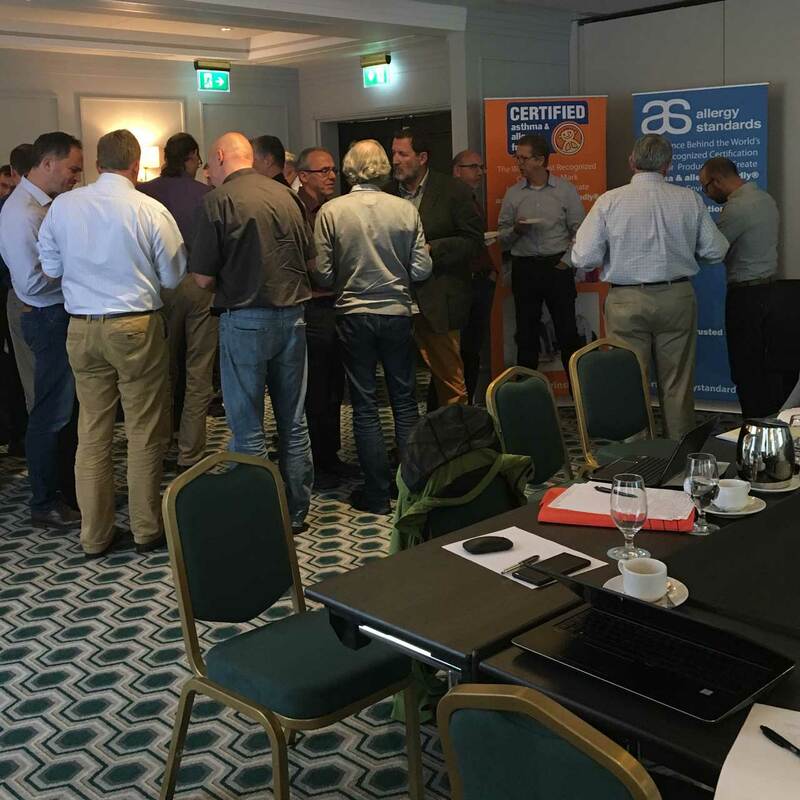 Allergy Standards hosted the IEC and CENELEC working group meetings in Dublin gathering consumer interest groups, national standards bodies, independent testing labs and experts in manufacturing. 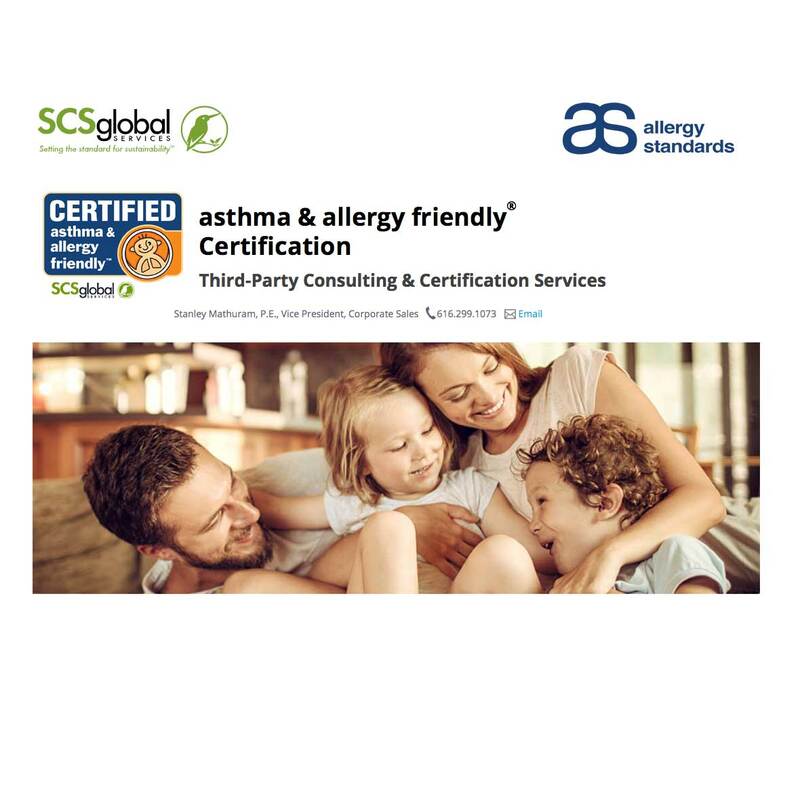 SCS Global Services Now Approved by Allergy Standards Limited (ASL) to Offer the asthma & allergy friendly® Certification. The Allergy Summit, co-hosted by AAFA and Allergy Standards, in Ogilvy Headquarters in Manhattan, New York, was a great success. 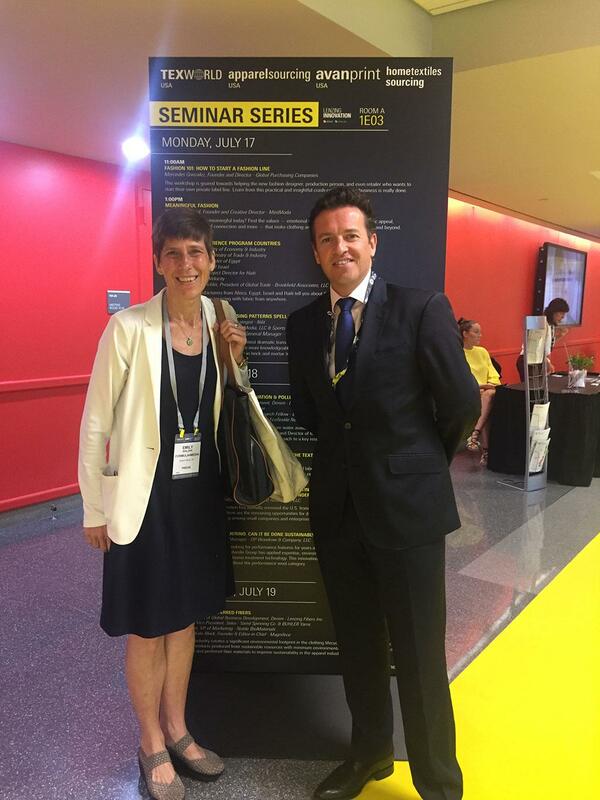 Speaking at the ISSA interclean is another milestone in the extremely busy year at ASL. 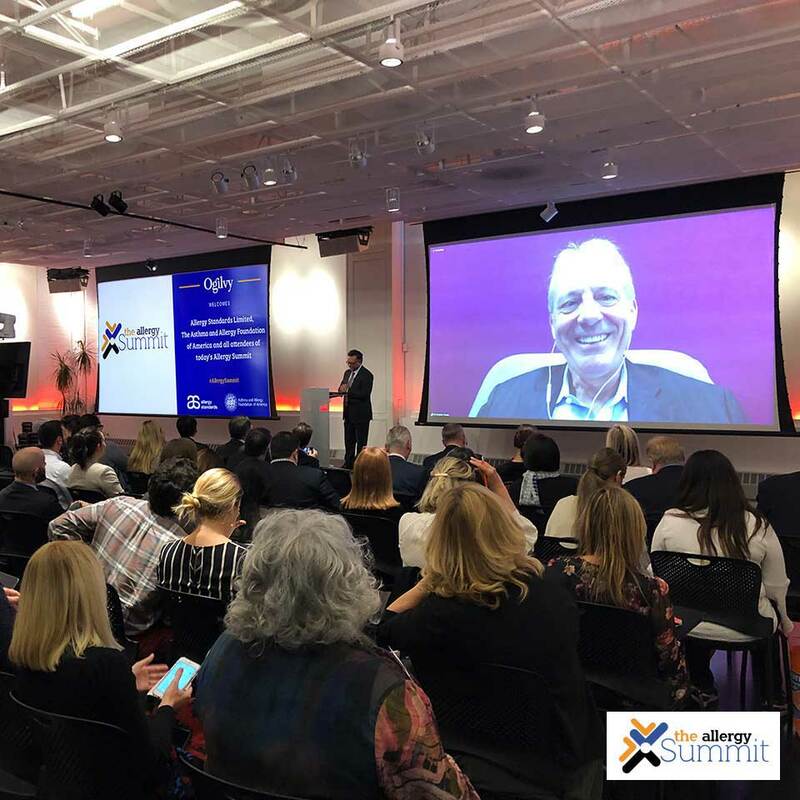 Following on from the presentations at the cleaning products, hosting IEC and the inaugural Allergy Summit at Ogilvy headquarters in Manhattan. 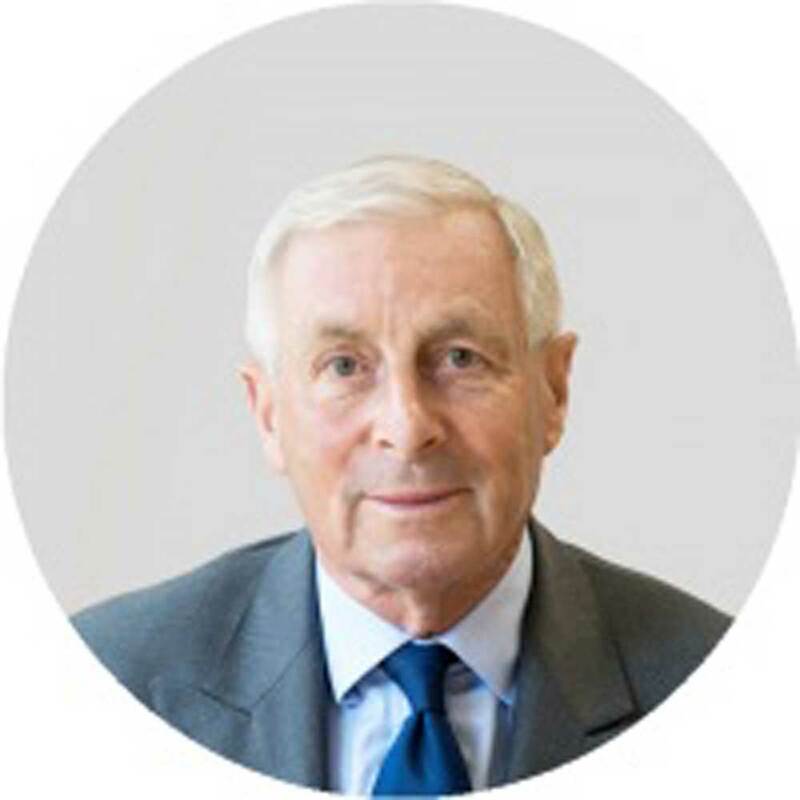 The Chairman, CEO and management of Allergy Standards (ASL) are delighted to welcome Mr. Peter G.Ledbetter to the board of ASL effective immediately. 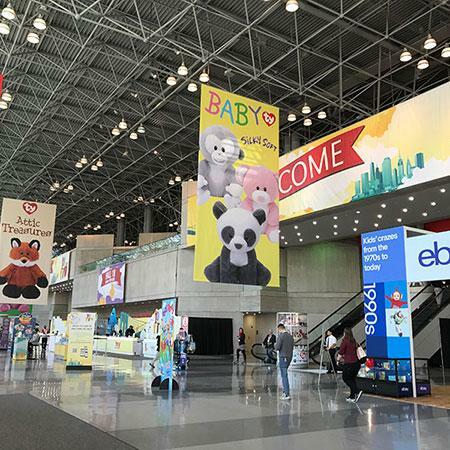 ASL VP of Business Development attended the Living Product Expo which focused on various aspects of products development around sustainability and health. 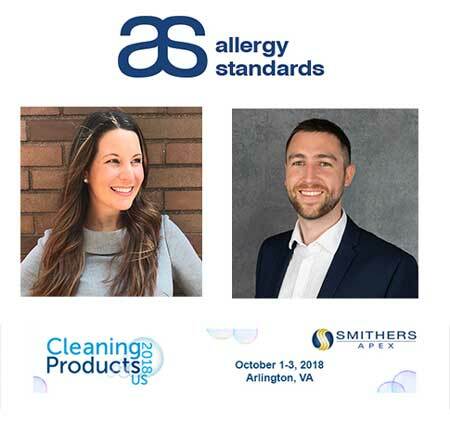 A unique event for companies interested in Asthma and Allergy certification marks and how they increasingly impact consumer buying trends. 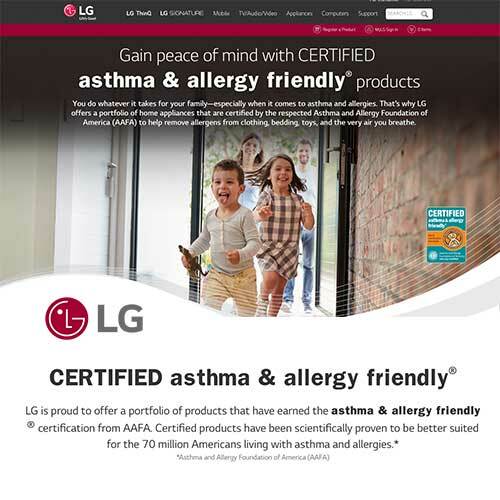 To showcase their healthier range of products, LG team has been developing a landing page dedicated to the asthma & allergy friendly® Certification Program. We are delighted to announce that ASL team has been invited as guest speakers at the 2018 US Cleaning Products Conference. 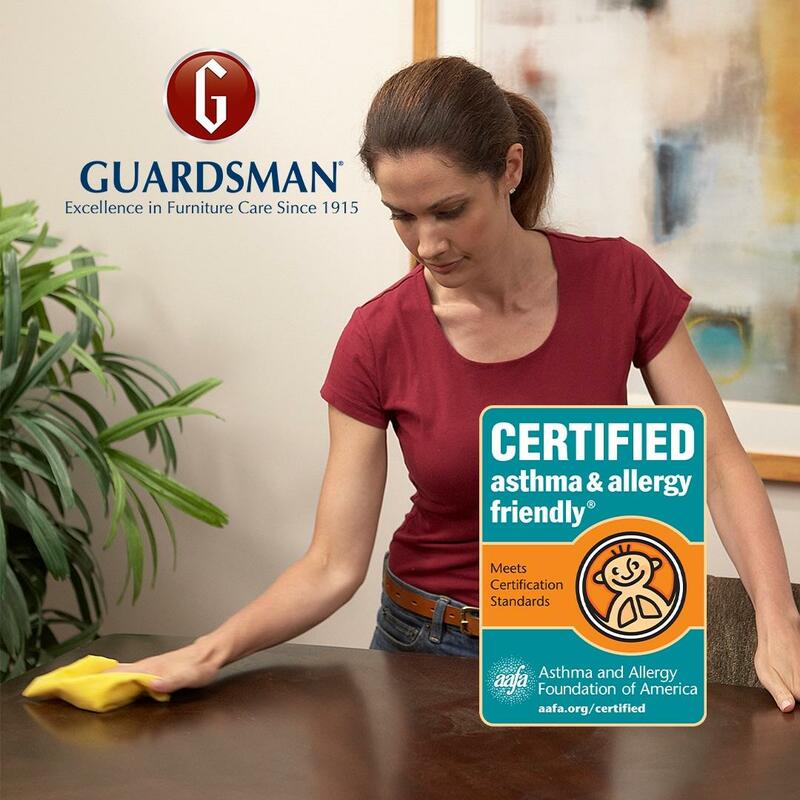 ASL today announced that Guardsman® Dusting Cloths have passed the relevant Certification Standards. 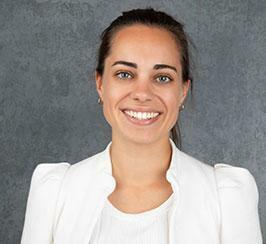 As Digital Marketing Manager, Léa will develop, implement and monitor ASL’s digital marketing strategy, primarily through social media, site optimisation, and content creation. 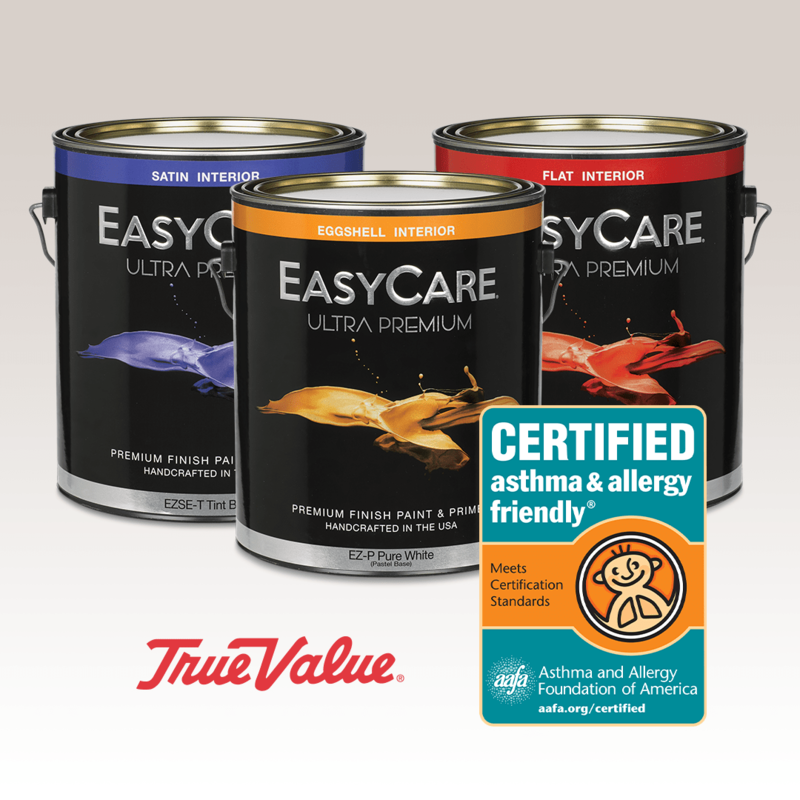 ASL today announced that EasyCare Ultra Premium Acrylic Latex Paint by True Value Company has passed the relevant Certification Standards. 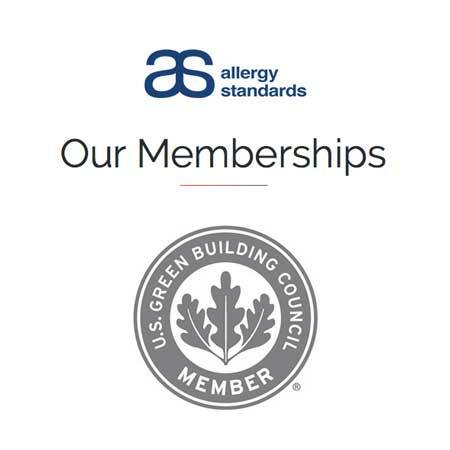 Joining the US Green Building Council is further confirmation of ASL commitment to a sustainable, prosperous and healthier future. 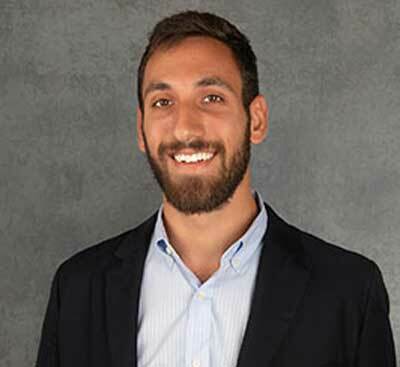 Allergy Standards Limited (ASL) and their U.S. partner the Asthma and Allergy Foundation of America (AAFA) are delighted to announce that Mr. Jon Khalev has been appointed as Key Account Manager for the U.S. asthma & allergy friendly® Certification Program. 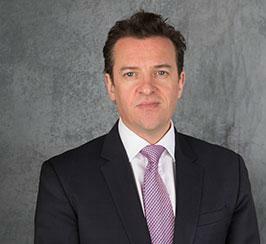 We are delighted to announce the appointment of Dr. Joey DeCourcey as Senior Scientific Officer. Joey brings a high level of scientific expertise to ASL team and comes at a perfect time with the international growth of the company. 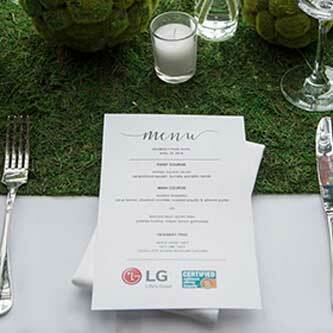 On Wednesday April 25th, LG Electronics, who CERTIFIED a large range of their innovative products, organised a great event around the asthma & allergy friendly® Certification Program. 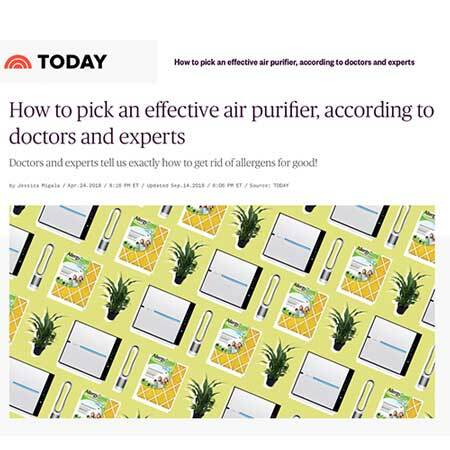 The objective was to get together some of the top journalists in the health, lifestyle sector, as well as some the LG Electronics brand marketing team members and Allergy Standards (ASL) and Asthma and Allergy Foundation of America (AAFA) team. 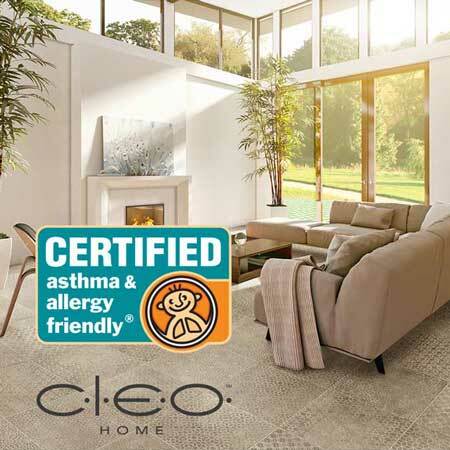 Allergy Standards Limited (ASL), the International standards and Certification Body (CB) for allergy labelling, today announced that the CLEO™ HOME Flooring from Congoleum has passed the relevant Certification Standards. 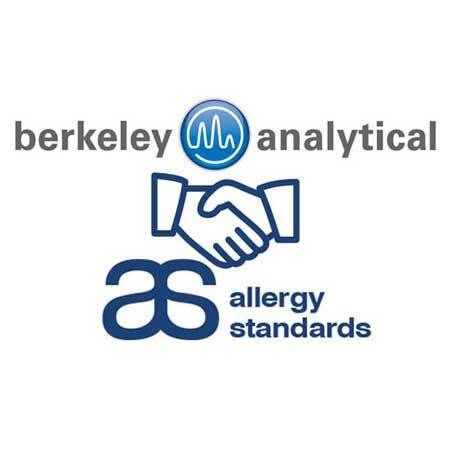 Allergy Standards Limited (ASL), the International standards and Certification Body for allergy labelling, today announced the new partnership with Berkeley Analytical (BkA), an internationally recognised environmental testing laboratory based in California, USA. 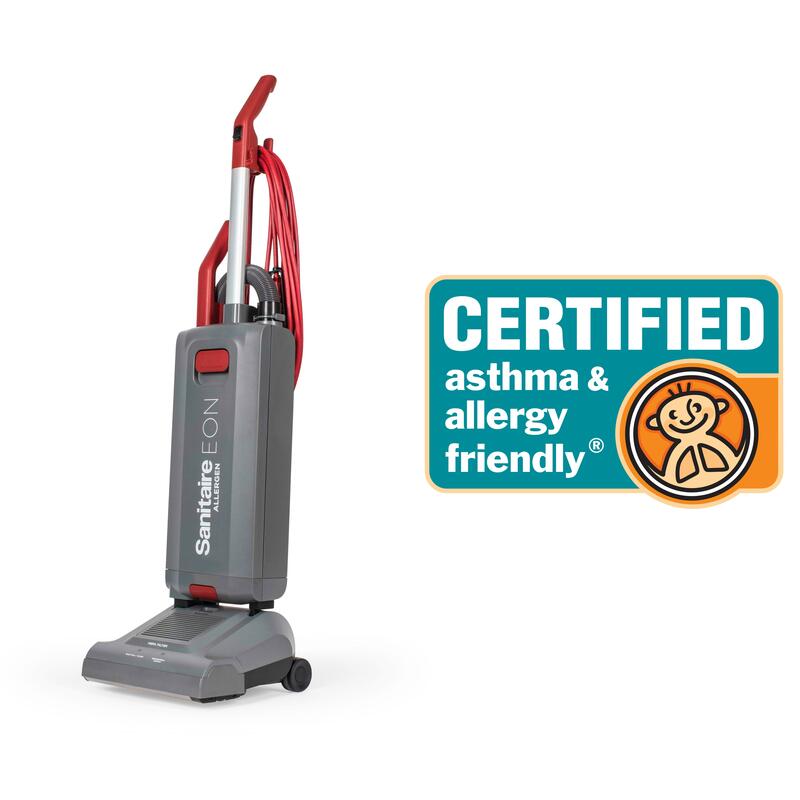 Allergy Standards Limited (ASL), the International standards and Certification Body for allergy labelling, today announced that the Sanitaire EON Allergen Upright Vacuum Cleaner has passed the relevant Certification Standards. 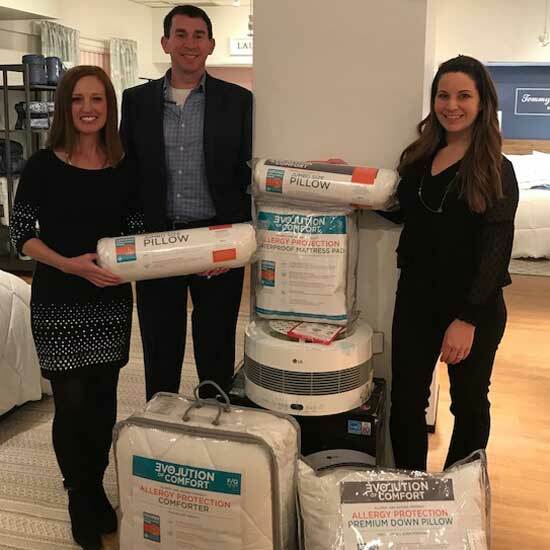 At the NY Market Week, ASL announces the expansion of Certified asthma & allergy friendly® home textile products into various retail stores in America as well as availability for the first time in international retail outlets. 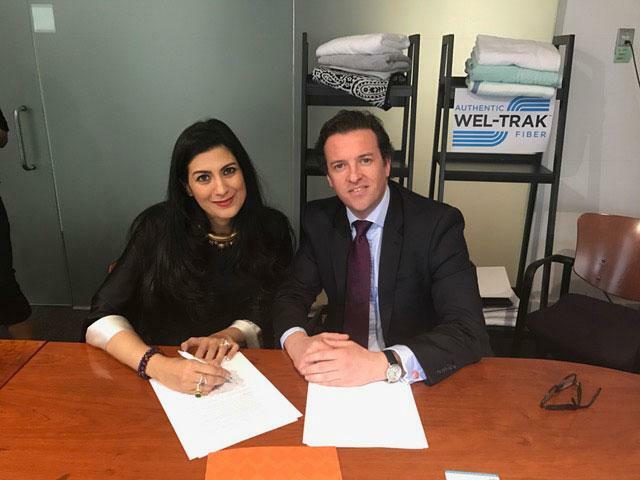 Welspun India have extended their relationship with Allergy Standards outside the US and are now offering products with the asthma & allergy friendly® Logo in the Gulf States. 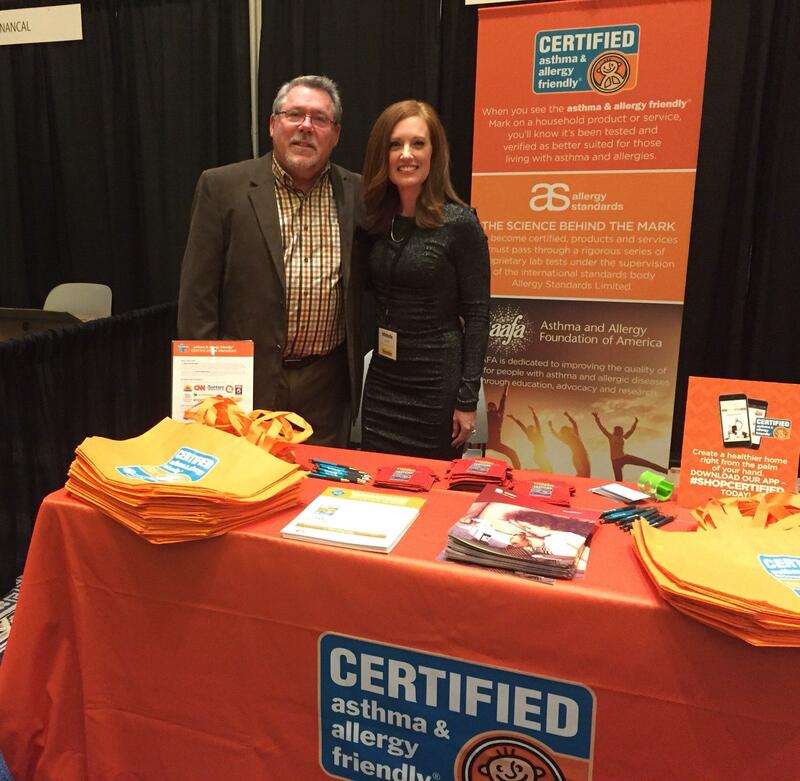 The asthma & allergy friendly Certification Program showcases its certified products and services at the 2018 American Academy of Allergy Asthma & Immunology (AAAAI) Conference in Orlando, Florida. 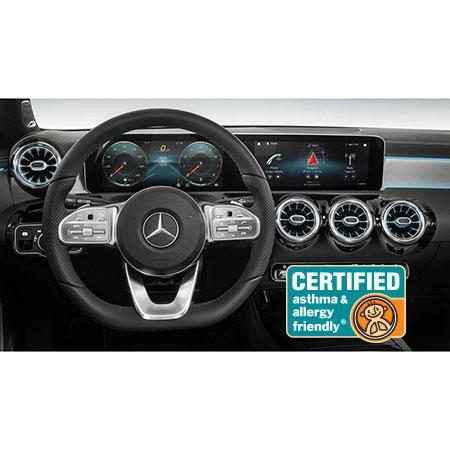 Allergy Standards Limited (ASL), the International standards and Certification Body (CB) for allergy labelling, today announced that three cabin air filters from Mercedes-Benz USA have passed the relevant Certification Standards. 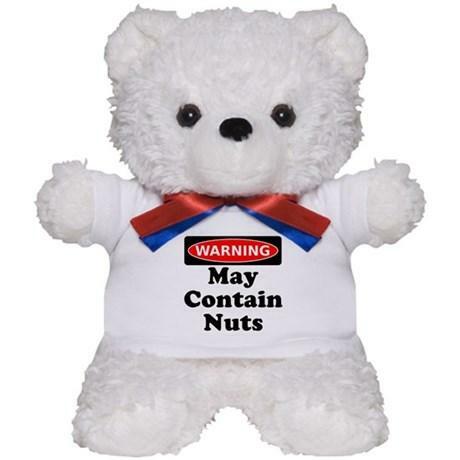 Parents are more and more conscious about the safety of toys they buy for their kids, and they are right to be! 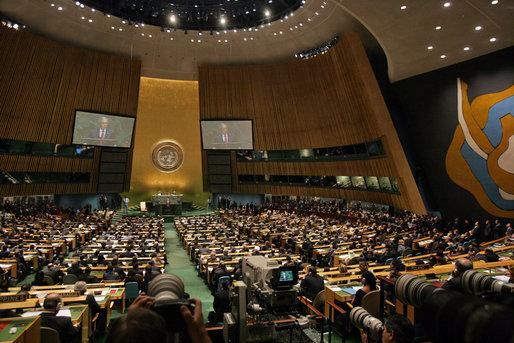 Taking part to the United Nations conference on Sustainable Development as Delegates was very interesting for ASL team as it allowed us to share the urgent need for healthier products to achieve sustainable development. ASL team will be heading to Croke Park in Dublin to attend one of the biggest digital marketing conference in Dublin as well as the 14th Irish National Health Summit. 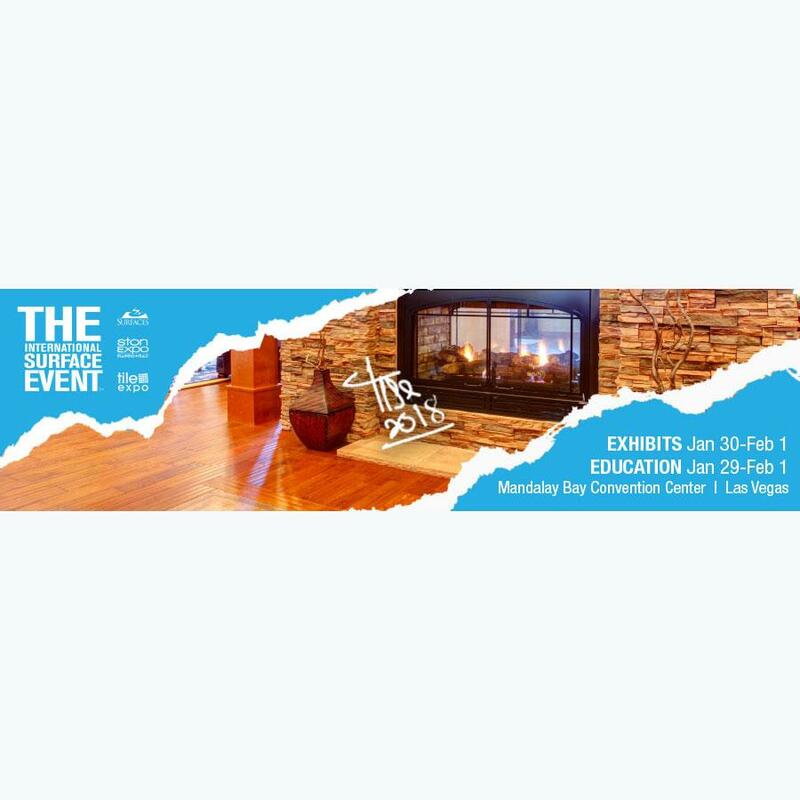 The Director of the Certification Program, Michelle Cassalia, will be attending the event to spread the word about the asthma & allergy friendly® certification program and help cutting-edge companies differentiating their flooring products. ASL’s Chief Information Officer Dave Morrissey will be attending DOMOTEX trade show in Hannover from January 12-15th 2018, which features 1,435 professional and exhibitors from 61 different countries. 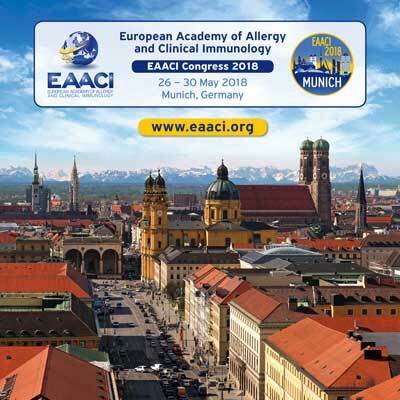 The EAACI is an association including over 50 National Allergy Societies, more than 10,000 academicians, research investigators and clinicians, from 121 different countries, all interested in allergies and immunology. 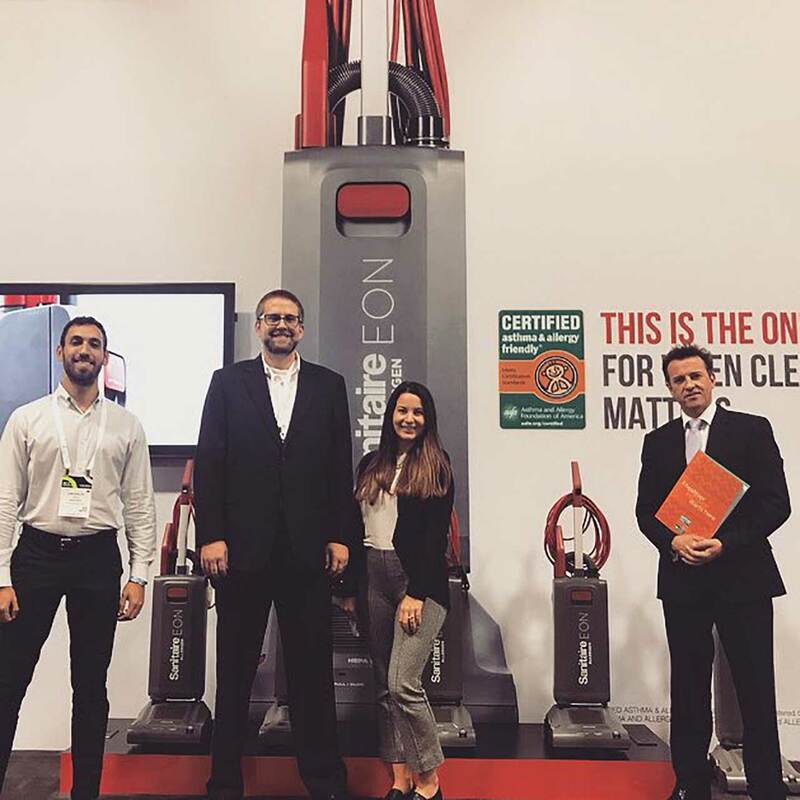 On the 9th of November, Michele Cassalia joined one of the biggest annual Trane’s event, the 2017 Trane Comfort Specialist Conference (TCS) in Washington DC. 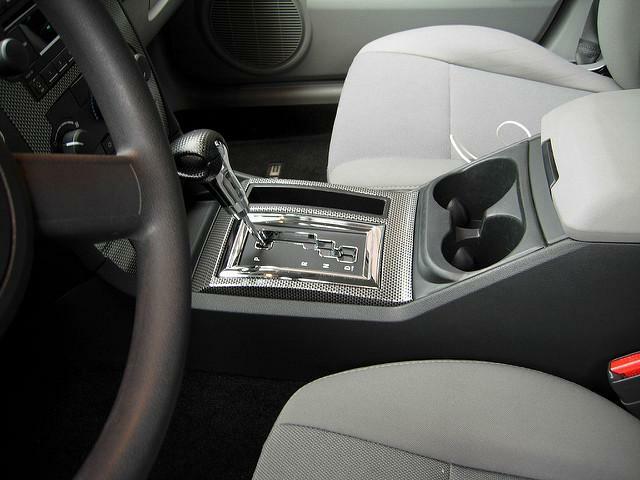 We are announcing the development of a new certification standard for In-Vehicle Air Filters, that is air filters used in passenger cars. 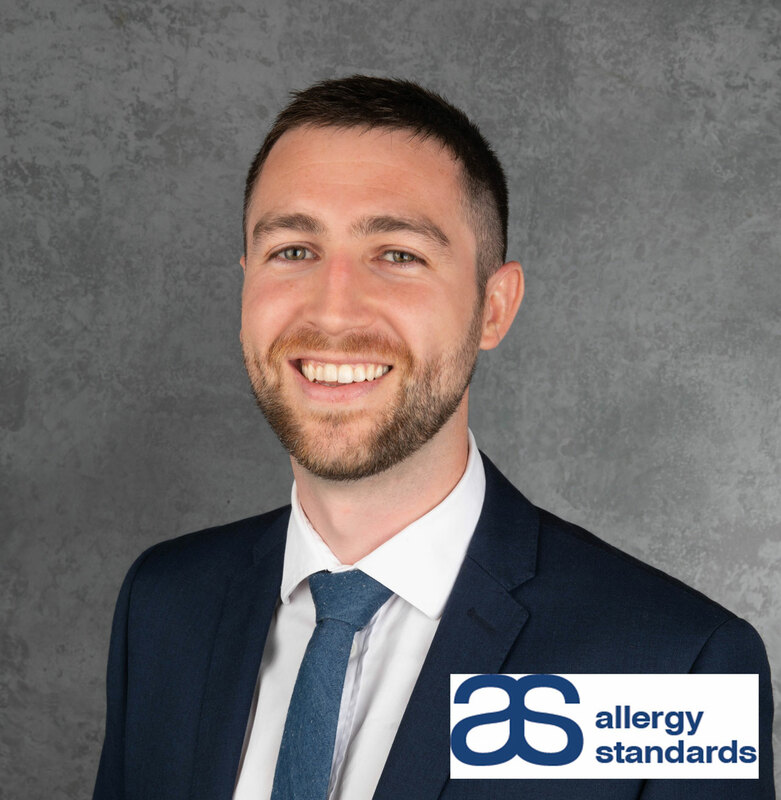 With the need for allergy insight data being requested more and more, the appointment of Dave as Chief Information Officer comes just at the right moment for Allergy Standards. 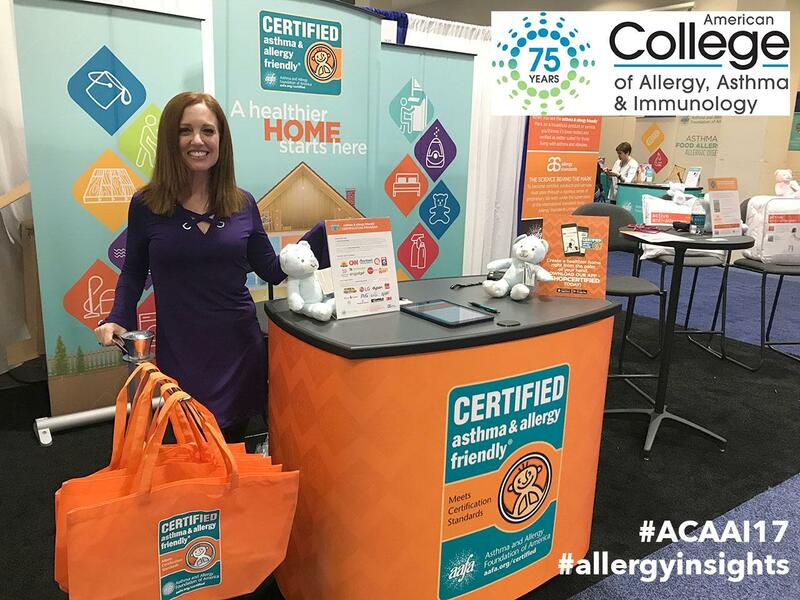 The asthma & allergy friendly® Certification Program was showcased at the 2017 Food Allergy Bloggers Conference (FAB) in Denver, spreading the word out about the program to bloggers and influencers. 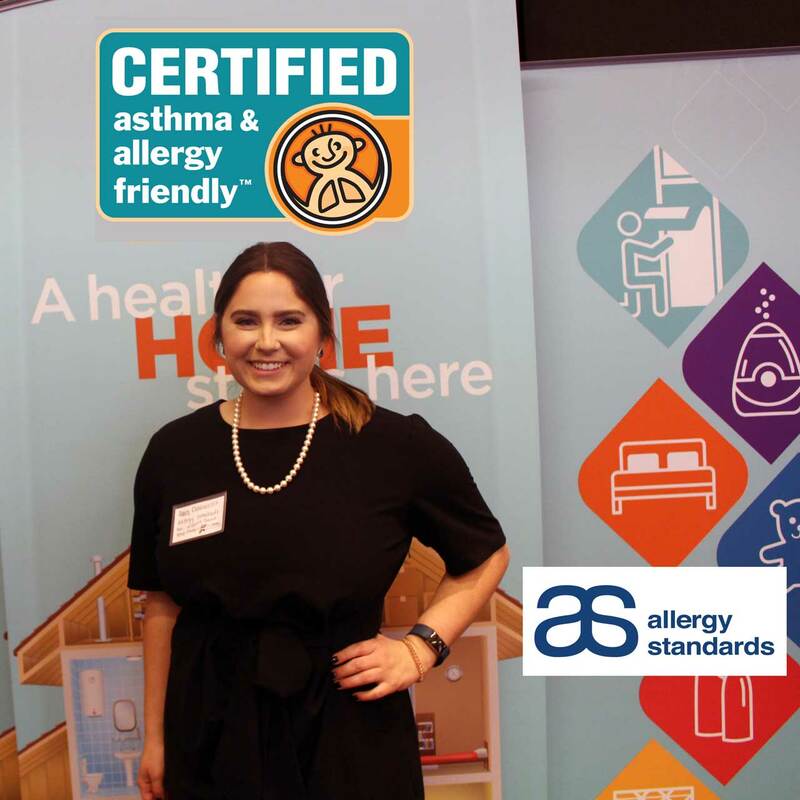 Allergy Standards Ltd launch the development of a new certification standard for Whole Home Air Cleaners, also known as In-Duct Air Cleaners, to help consumers improve the overall “health” of their home. This week, Dr. John Ryan, ASL’s Chief Strategy Officer will be attending the 2017 Greenbuild International Conference and Expo in Boston. 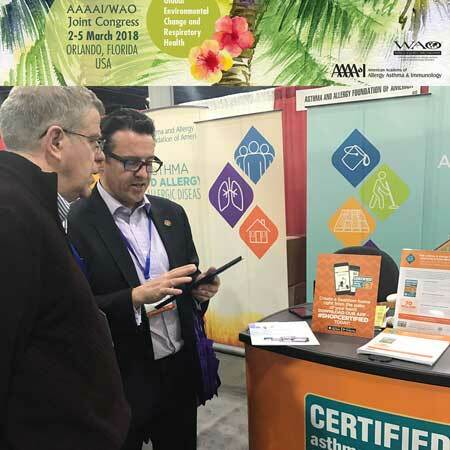 This year again our asthma & allergy friendly®certification program was strongly featured throughout the exhibition hall at the Annual Scientific Meeting organised by the American College of Allergy, Asthma and Immunology (ACAAI). 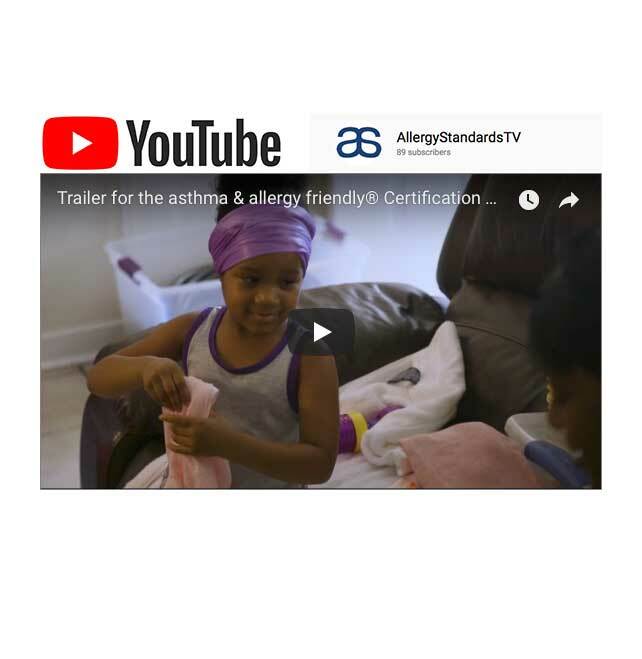 The video outlines the reason why the asthma & allergy friendly® Certification Program exists and what manufacturers need to do to have their products certified asthma & allergy friendly®. 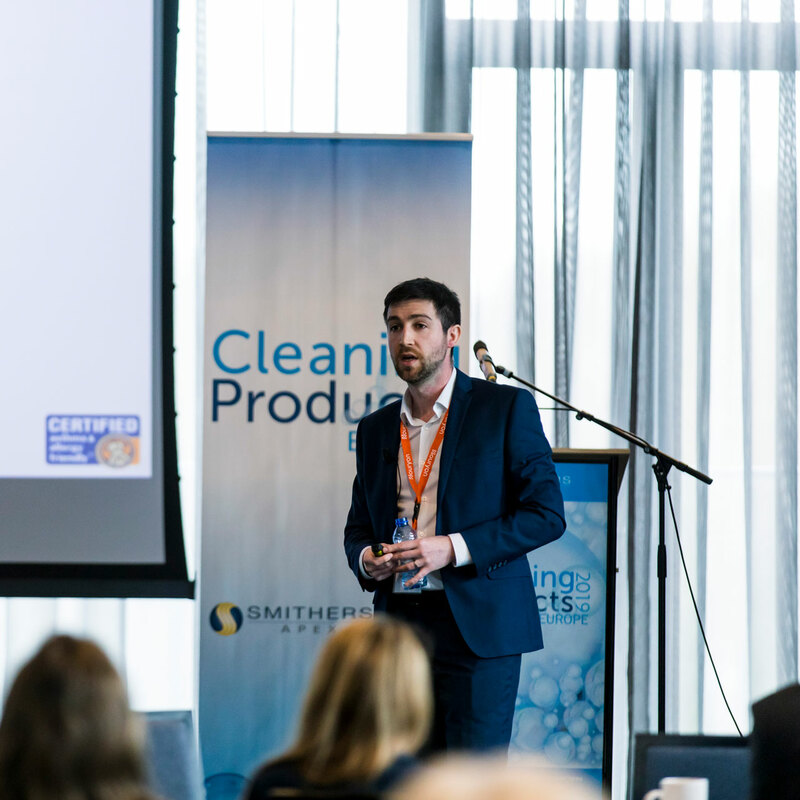 The Cleaning Products Conference (CPUS) is the international event for the cleaning industry bringing together executives, scientists as well as research & development professionals such as Clorox, Procter & Gamble, and The Honest Company. 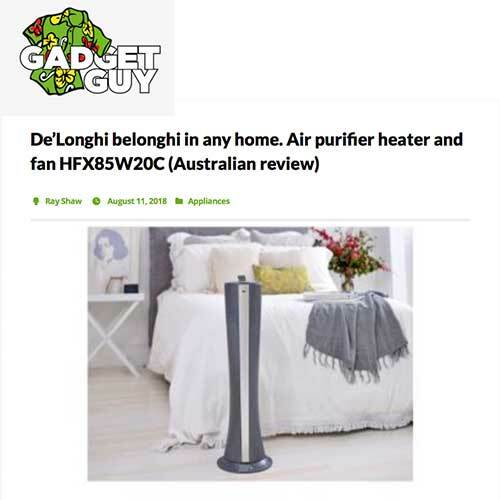 Allergy Standards Limited (ASL), the International standards and Certification Body (CB) for allergy labelling, today announced that the five dehumidifiers from DēLonghi have passed the relevant Certification Standards. Our CEO, Dr. John McKeon, has been invited to join the conference as a keynote speaker and will lead a discussion on asthma & allergy friendly® products. 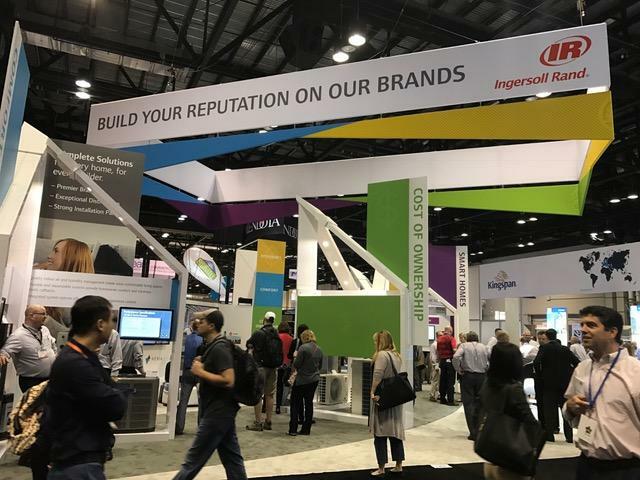 The Trane CleanEffects™ whole home air cleaner, a leading global provider of indoor comfort solutions and a brand of Ingersoll Rand, has passed the relevant Certification Standard. 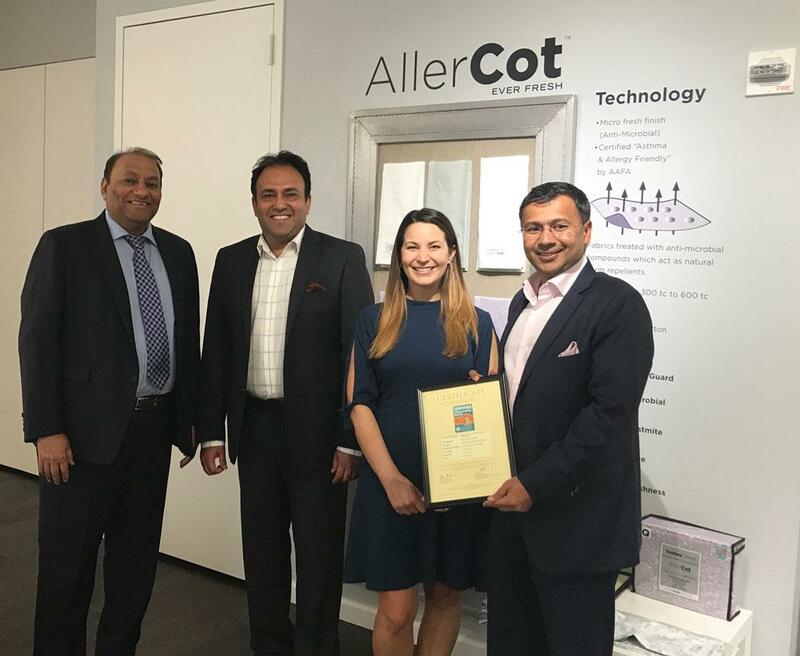 Allergy Standards Limited (ASL) today announced that certain products in the AllerCot bedding line from Indo Count have passed the relevant Certification Standards. 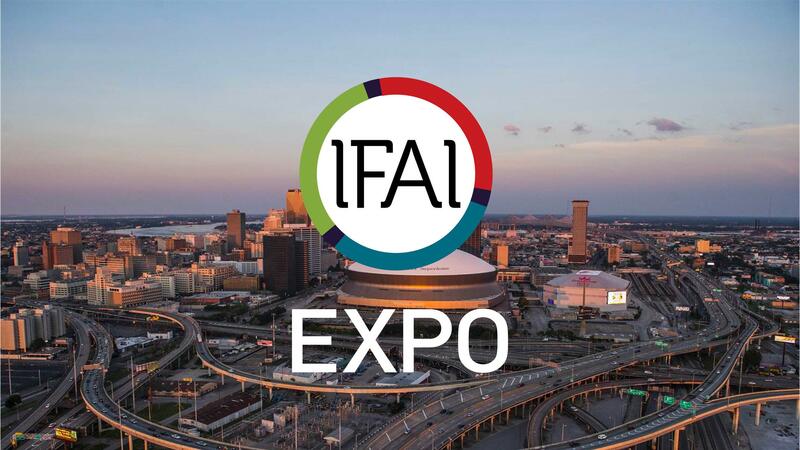 IFAI Expo 2017 is organised by the Industrial Fabrics Association International (IFAI) and takes place in New-Orleans, LA, from September 26-29, 2017. 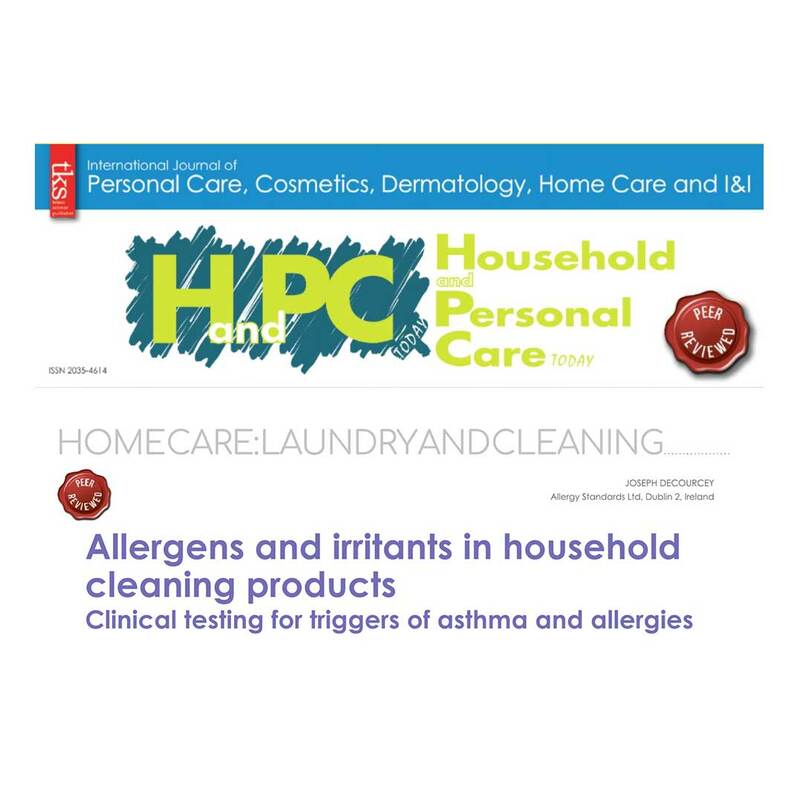 As part of the Home Textiles Sourcing Expo last July 2017, Allergy Standards’ CEO, Dr John McKeon had the opportunity to talk with the Managing Editor of the magazine Textile Insight. 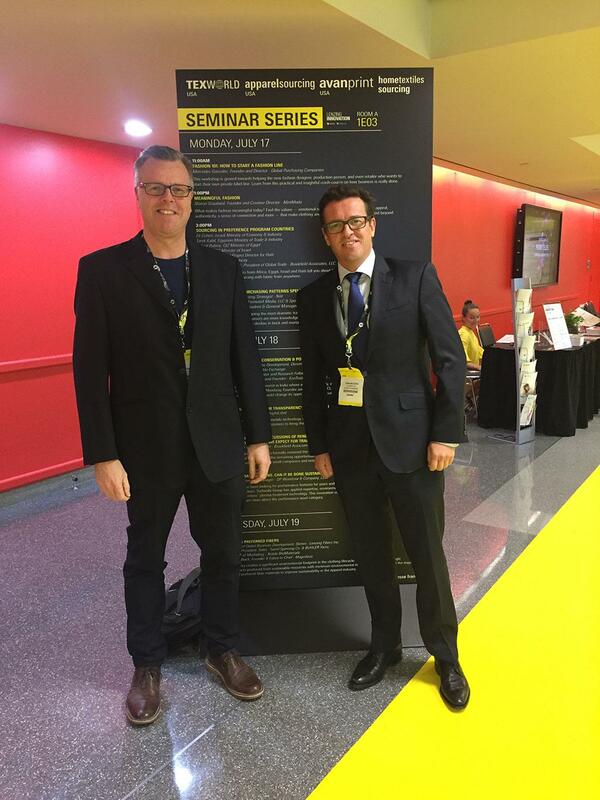 Dr John McKeon had the opportunity to meet with John Mowbray, Founder and Editor-in-chief of EcoTextile News at the Home Textiles Sourcing Expo. 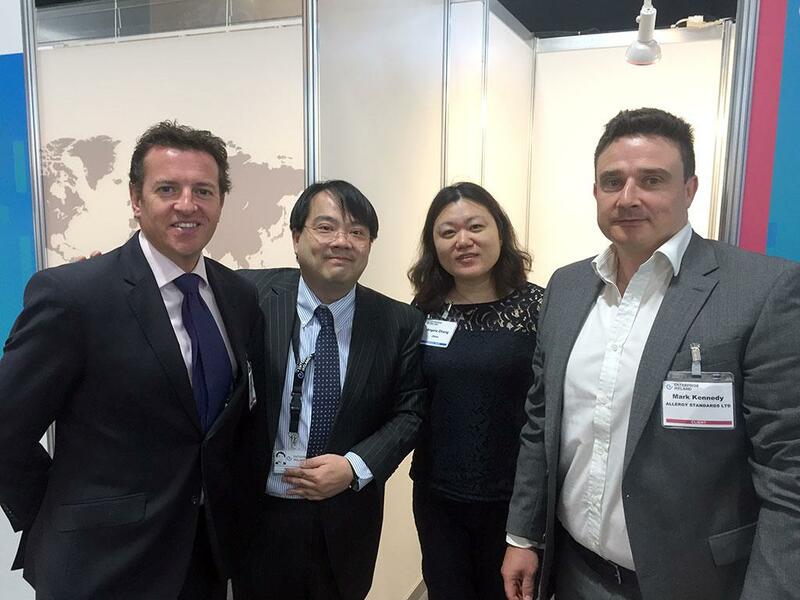 On September 7th 2017, Allergy Standards’ CEO, Dr. John McKeon, CSO, Dr. John Ryan, and Mark Kennedy, Vice President of International Sales attended the International Markets Week 2017. 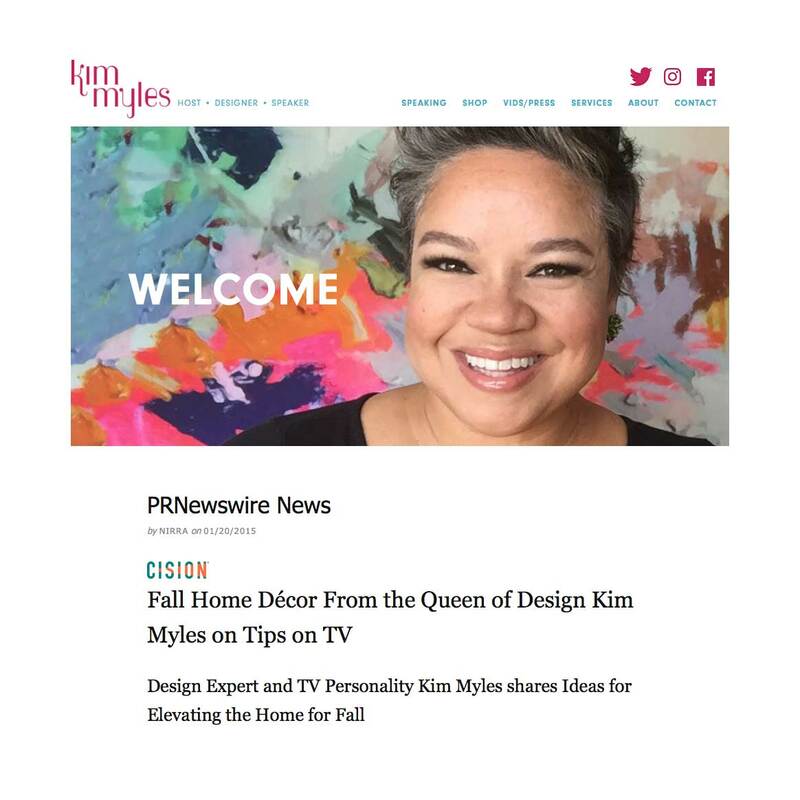 Allergy Standards Vice President of Sales, Courtney Sunna, will be taking part in the New-York Home Fashions Market Week. 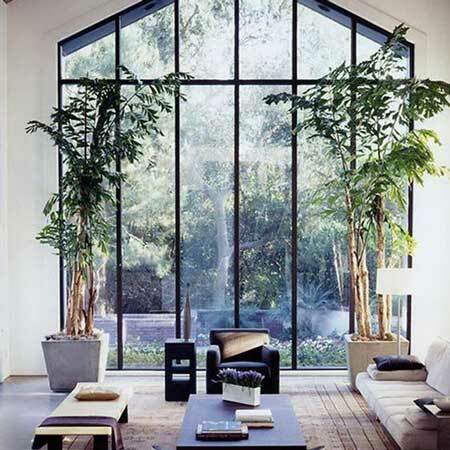 Are you unsure about what products you can trust to make your home healthier? The Certification Program app is what you need! 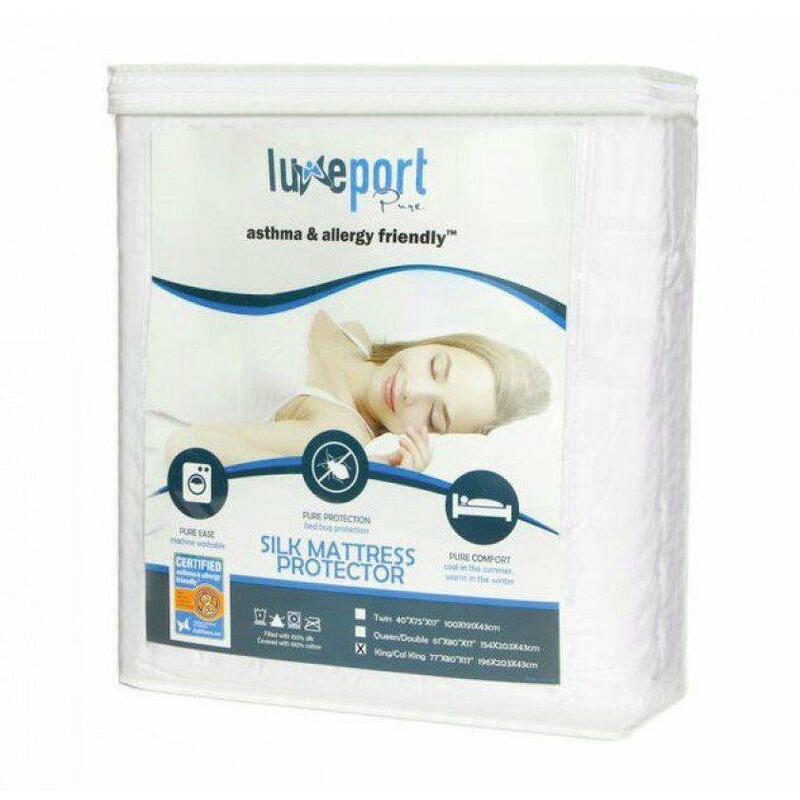 Allergy Standards Limited (ASL) announced that some products of the Silk Bedding Line from Luxeport have passed the relevant Certification Standards. 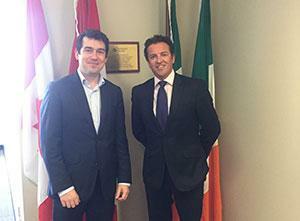 On our recent trip to Canada to meet with certification clients, Dr. John McKeon took time out to meet with Neil Cooney, the Senior Vice President of Enterprise Ireland. Dr. John McKeon, CEO of Allergy Standards Ltd., joins Stephanie Benedetto and Samanta Cortes on location at TexWorld USA 2017 in New York. 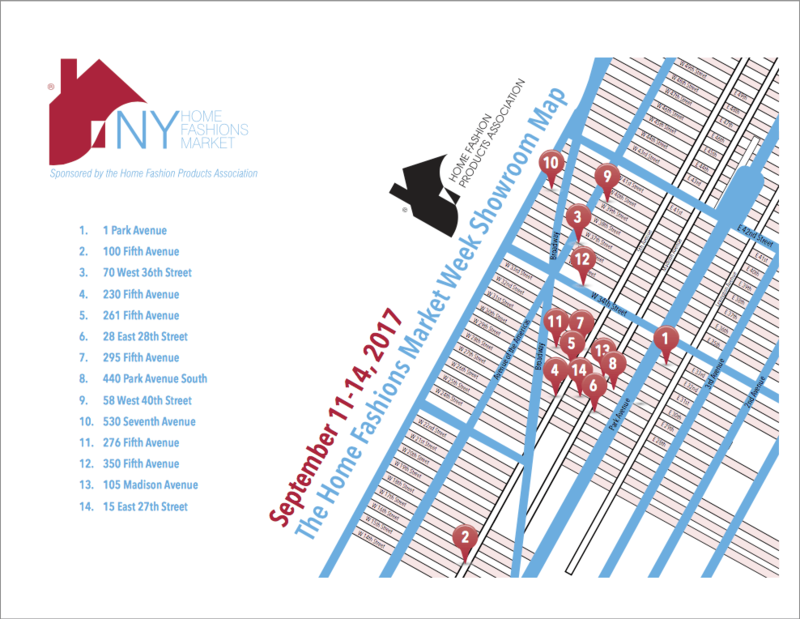 After the success of the New York Home Fashions Market Spring 2017, the ASL team will be attending the Summer 2017 Seminar Series organized by Texworld USA, next week in New York. 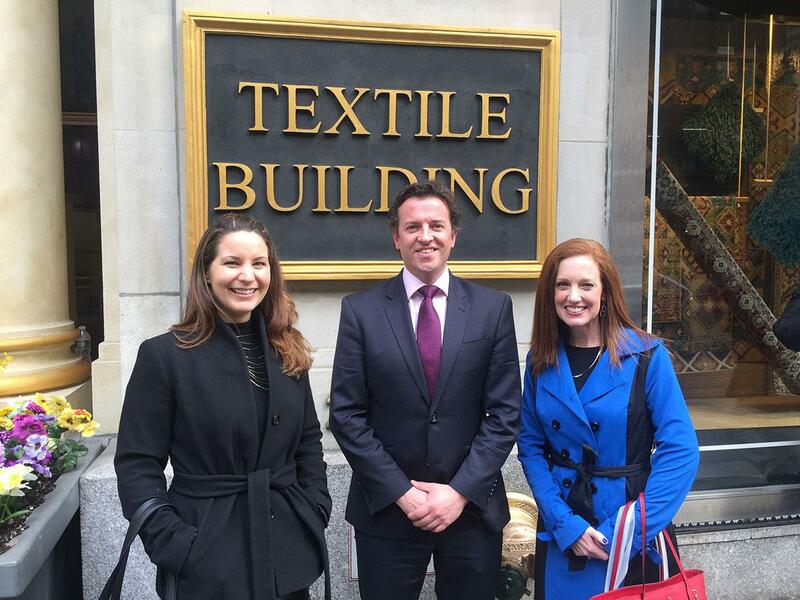 From March 27 – March 30 the Certification & ASL Team went to New York to attend New York Home Fashions Market Spring 2017, meeting with clients, attending industry seminars and speaking with key retailers. 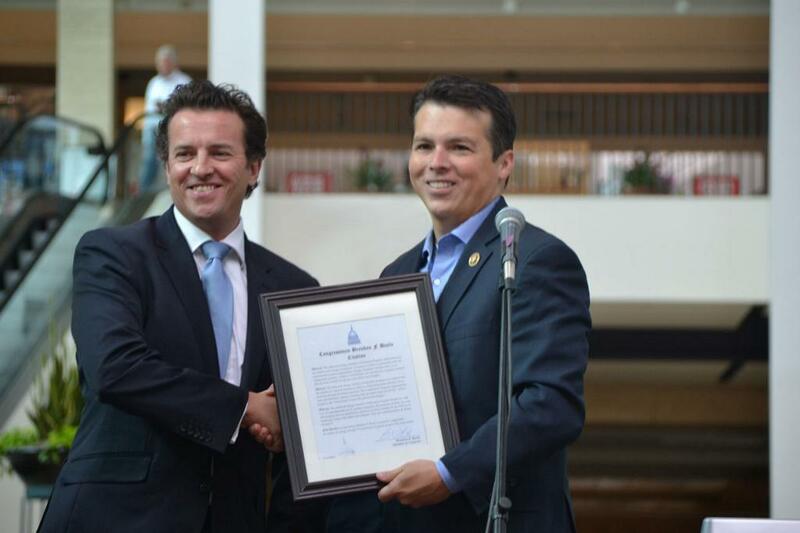 ASL’s Dr. John McKeon and Dr. John Ryan joined 8000 other delegates at the highly informative congress, the largest event of its kind in the world. Dr John McKeon And Dr John Ryan Will Be Attending EAACI Congress 2017 In Helsinki, Finland From 17-21 June 2017. 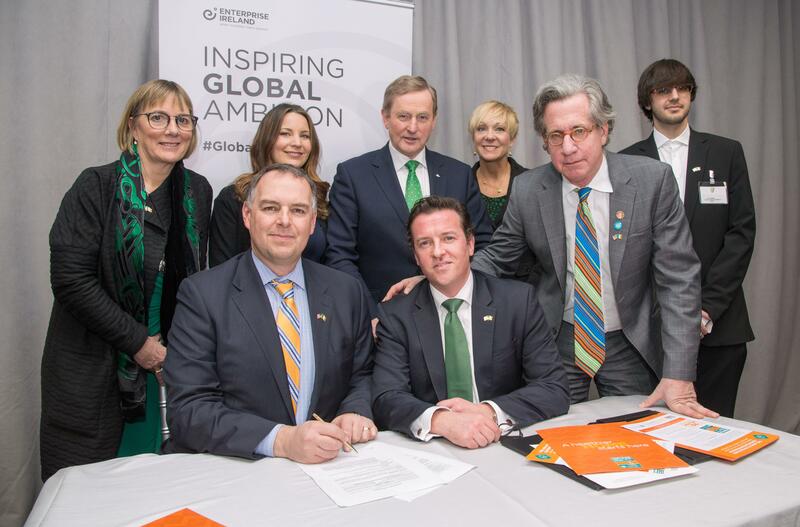 Government agency, Enterprise Ireland, responsible for the development of Irish businesses in world markets and Europe’s third largest venture capital entity by deal count, is currently invested in 1,300 start-up and mature businesses, 700 of which operate in North America. 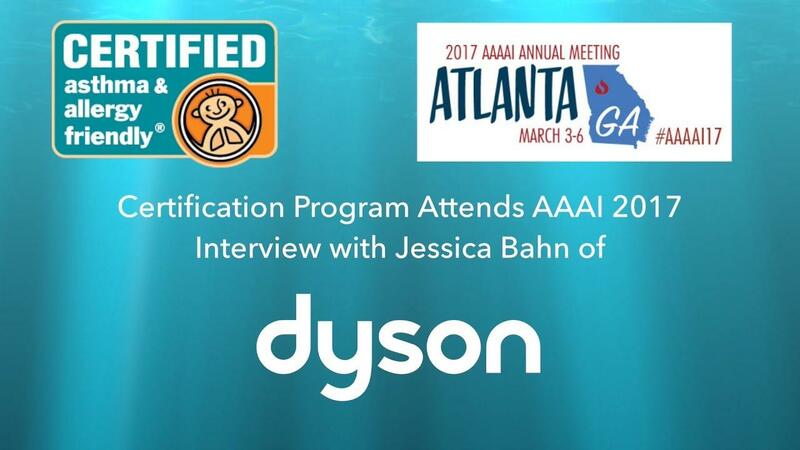 Jessica Bahn (Marketing Manager at Dyson) outlines their engagement with physicians at AAAAI 2017 in Atlanta, while demonstrating the Dyson PureHot + CoolLink asthma & allergy friendly® Certified air cleaner. 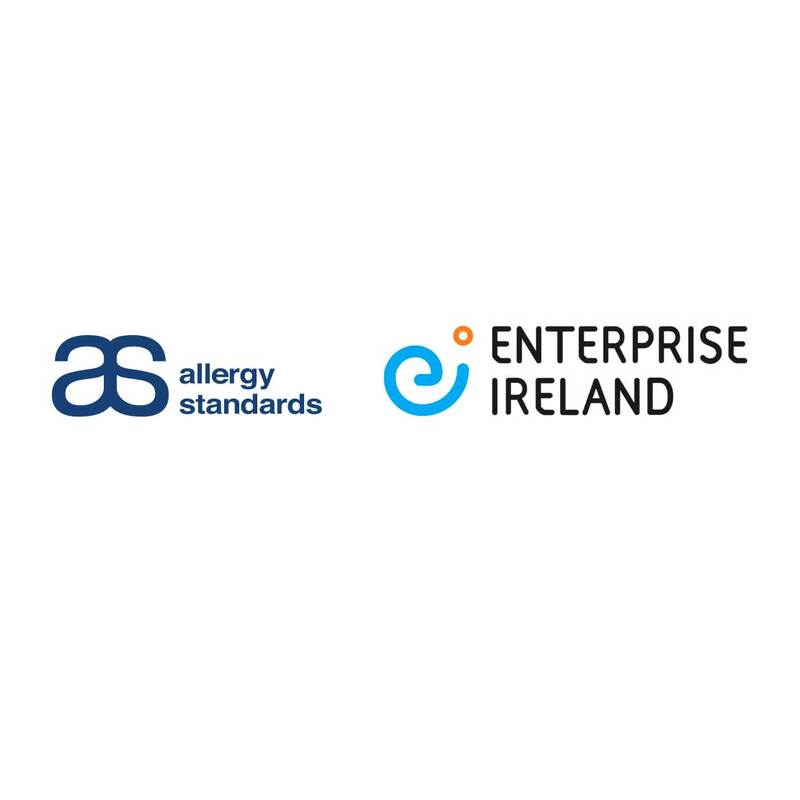 On Wednesday May 24th the CEO and founder of Allergy Standards Limited, Dr. John McKeon, gave a webinar to representatives of retailers, manufacturers, component producers, and influencers in the textile industry. 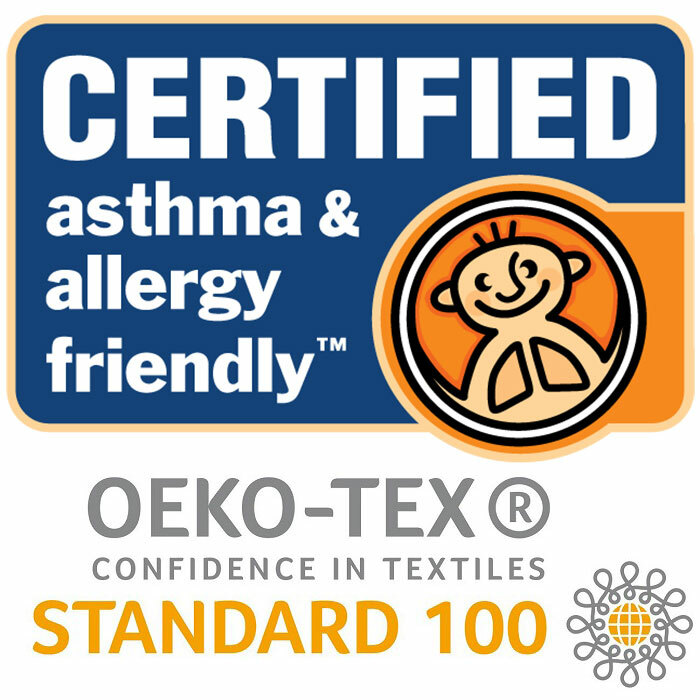 The asthma & allergy friendly® Certification Program today announced the certification of two new clients, Welspun and Nishat, to coincide with the start of New York’s Market Week. 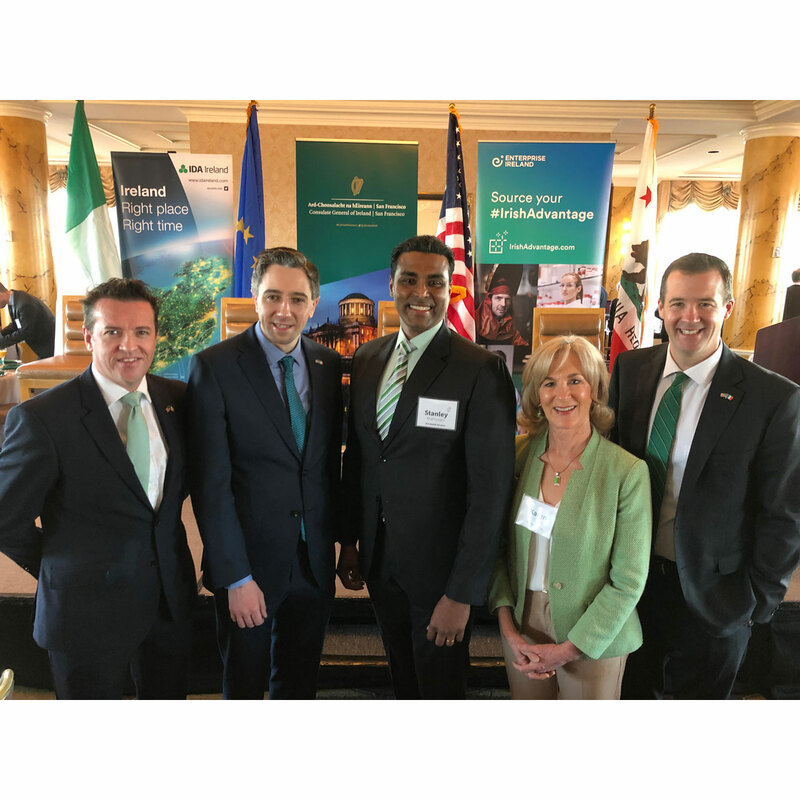 While celebrating St. Patrick’s Day in Washington, D.C., the Taoiseach (Prime Minister) of Ireland Enda Kenny TD highlighted a significant relationship between Allergy Standards Ltd. and Owens Corning. The Founder And CEO Of Allergy Standards Limited, Dr. John McKeon Will Participate In The Annual Meeting Of The American Academy For Allergy, Asthma And Immunology (AAAAI) From 3-6 March 2017 In Atlanta, Georgia. 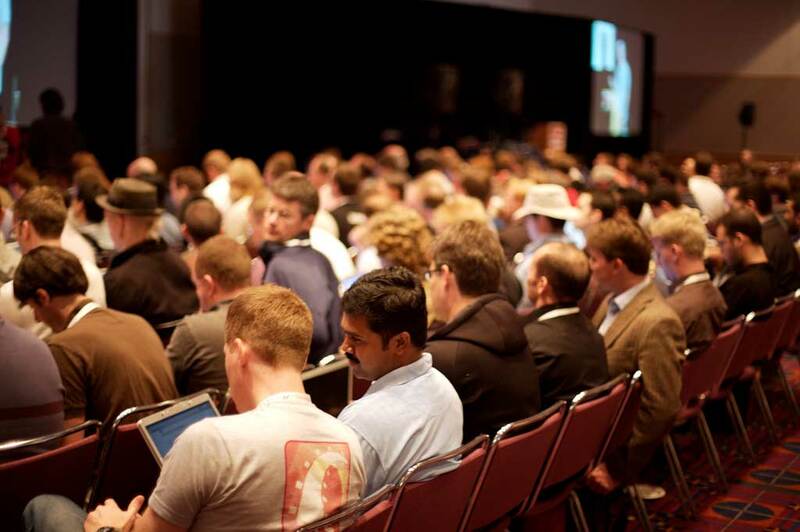 Webinar – A $10 Billion Market. 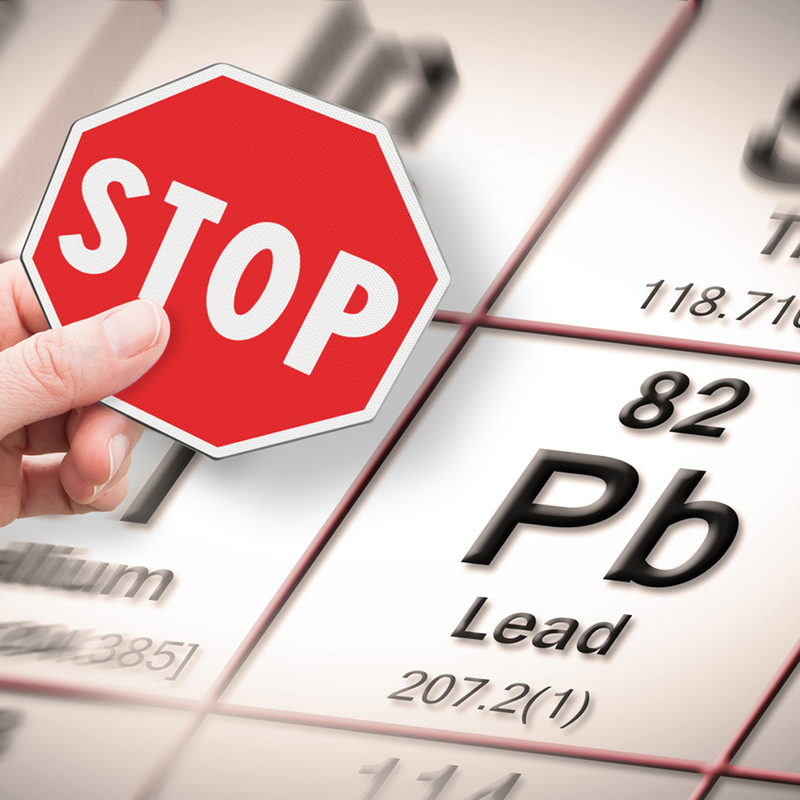 How Can Your Products Get the Right Reaction? Did you know that there are 74 million asthma and allergy sufferers in the United States? That means 1 in 5 Americans is affected. Do you make products that could, or should, be targeted to this savvy, economically powerful audience? 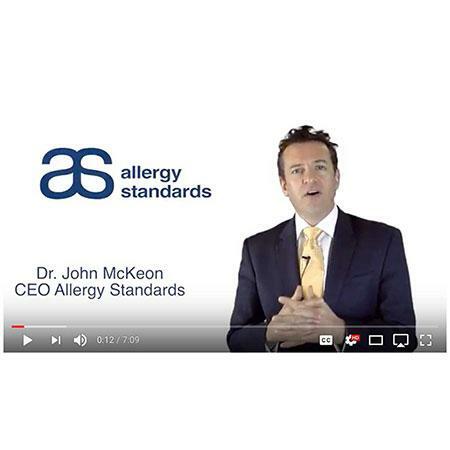 Join Dr. McKeon – Allergy Standards CEO – for an informative webinar entitled “A $10 Billion Market. 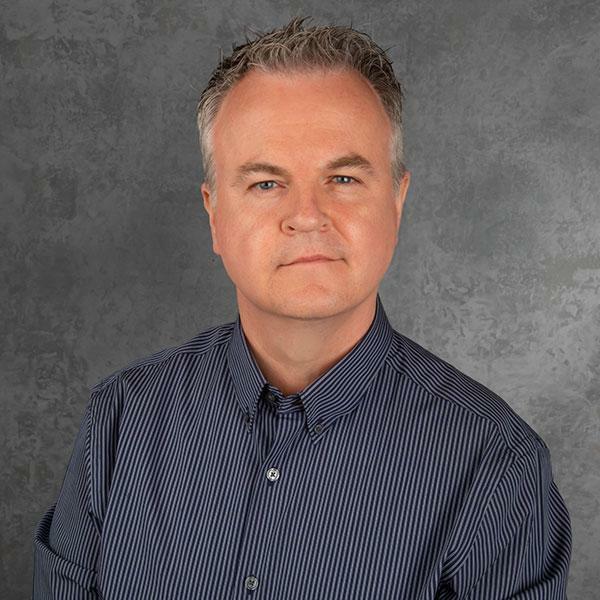 How Can Your Products Get the Right Reaction?” on Wednesday, February 22 at 12:00 Noon EST. 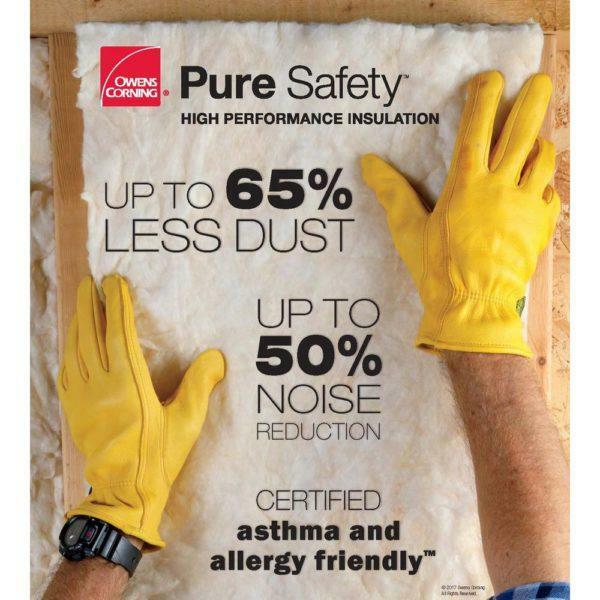 Allergy Standards Limited (ASL) today announced that the Pure Safety™ high performance insulation from Owens Corning have passed the relevant Certification Standards. Allergy Standards Limited (ASL) today announced that the LG PuriCare Line from LG Electronics USA has passed the relevant Certification Standards. This free app is the first of its kind, and will help you make smart, informed choices on the best products for your family. 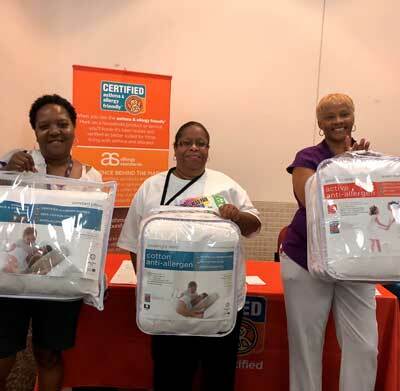 Families had access to free samples from allergy-friendly businesses and learned all about the companies that offer certified asthma & allergy friendly™ products and services. 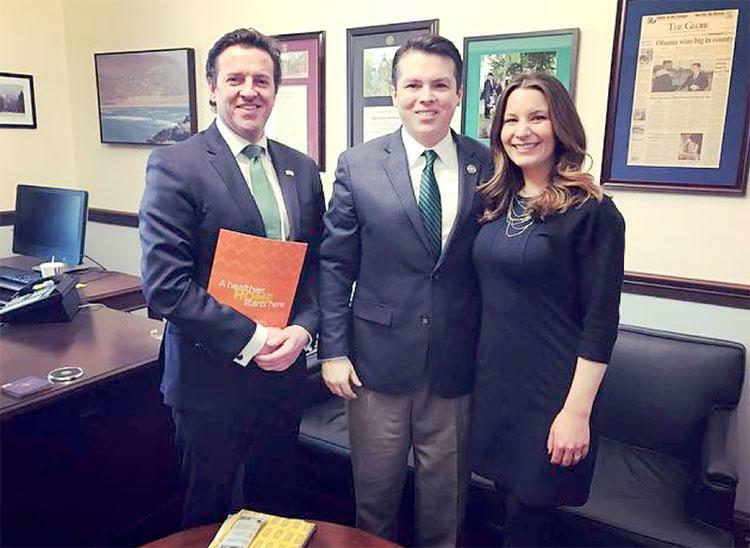 Dr. John McKeon, CEO of Allergy Standards, has received a congressional citation from Congressman Brendan F Boyle of the 13th Congressional District of Pennsylvania. Ever wish you had an easy way to find healthy products for your family? 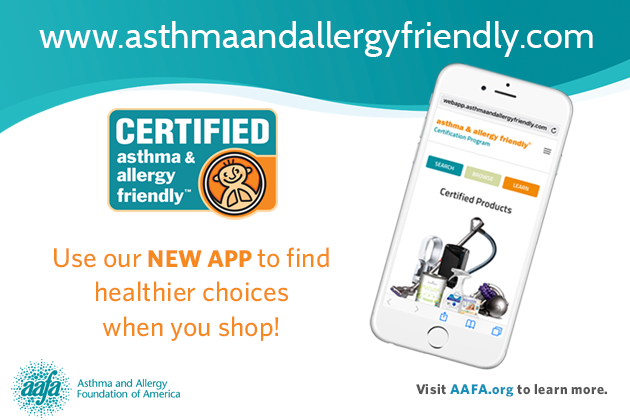 Now you can use our new web app to find Certified asthma & allergy friendly® products. 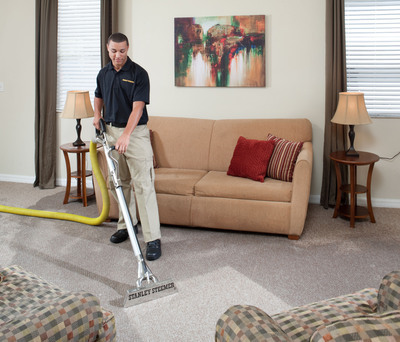 Every floor in your home – carpet, tile and grout, and hardwood – can now benefit from a Certified asthma & allergy friendly® professional cleaning service. 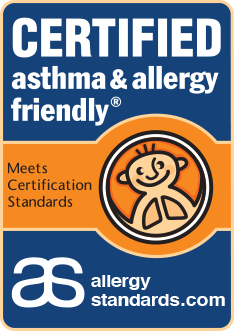 Just last week we announced that Stanley Steemer’s Tile & Grout Cleaning Service is now Certified asthma & allergy friendly®. 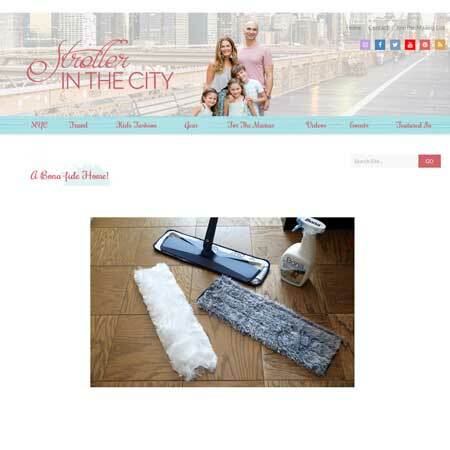 Now they’ve gone a step further to earn Certification for their Hardwood Floor Cleaning Service as well! 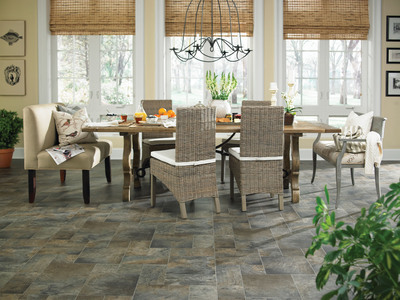 Tile and grout, which is a porous material, can collect the same allergens as carpet. 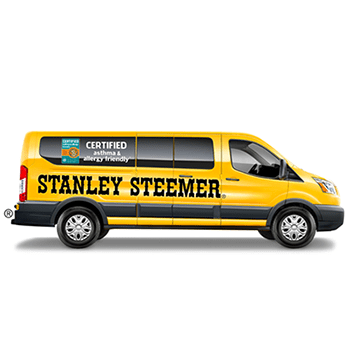 However, there’s a new Certified service in town and that’s Stanley Steemer’s Tile & Grout Cleaning Service! 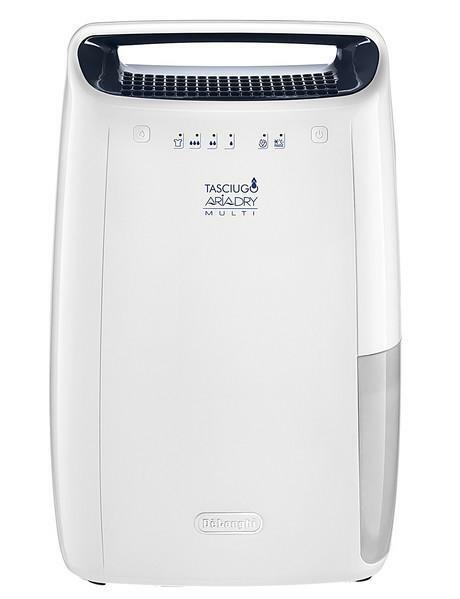 Allergy Standards Ltd today announced that the commercial-grade air purifier from AeraMax® Professional have passed the relevant Certification Standards. 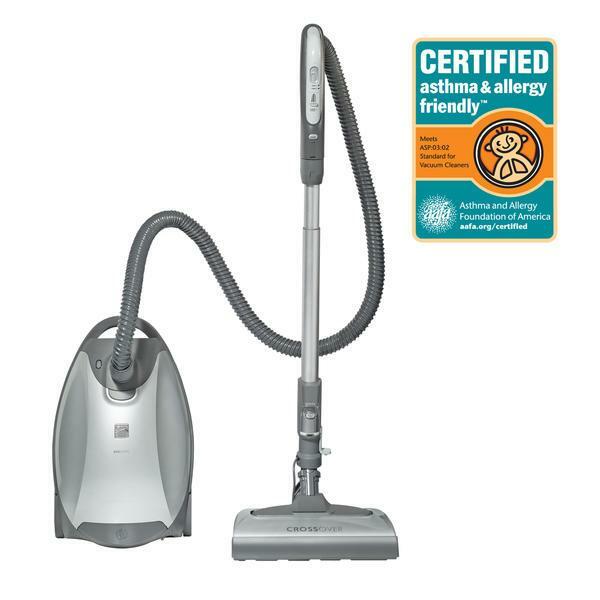 Allergy Standards Ltd today announced that the New Vacuum Cleaner Line with Kompressor® Technology from LG Electronics have passed the relevant Certification Standards. 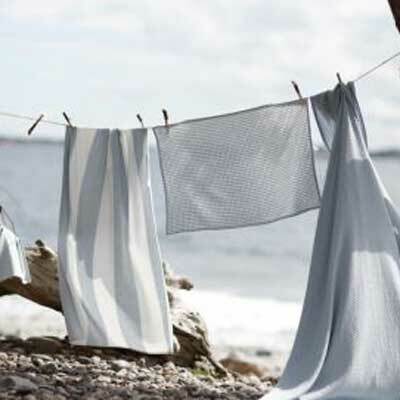 Allergy Standards Limited (ASL), the International standards and Certification Body (CB) for allergy labelling, today announced that the SteamWasher from LG Electronics have passed the relevant Certification Standards. 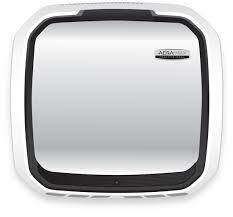 AeraMax™ line of air purifiers from Fellowes Passes ASP:08:01/101 Air Cleaner Certification Standard. 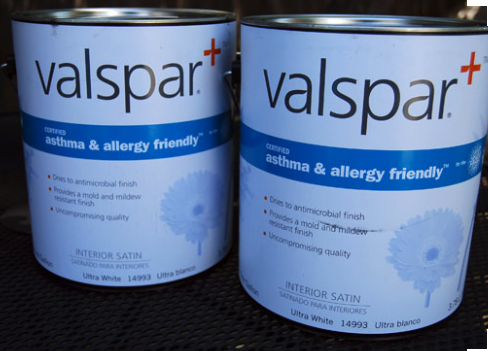 Valspar Paint today announces the debut of Valspar Plus®, the first paint certified asthma & allergy friendly™ by the Asthma and Allergy Foundation of America (AAFA). 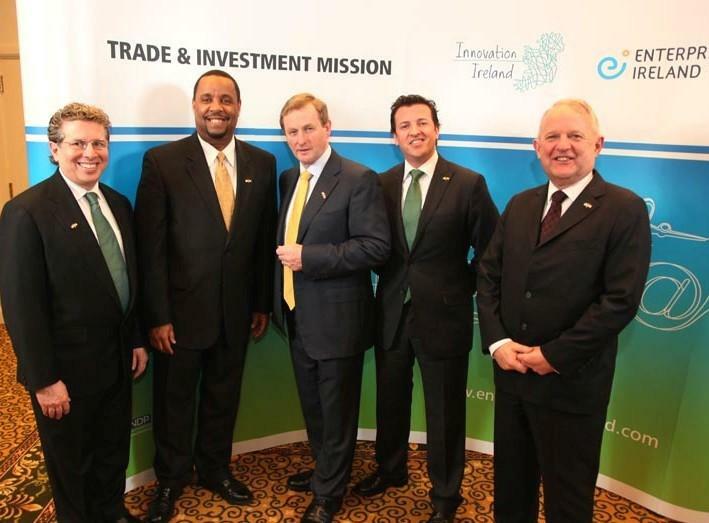 Allergy Standards Ltd has been recognized as a leading innovator among Irish companies investing and operating in the US. 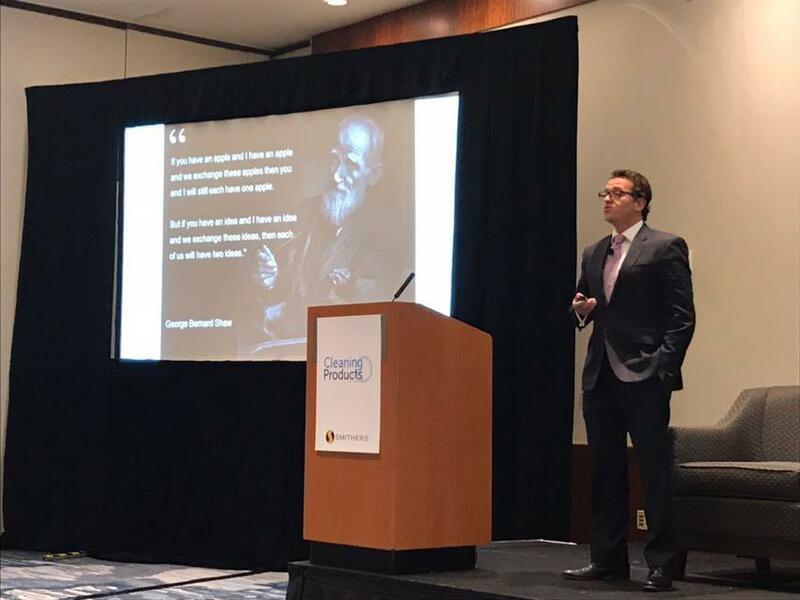 ASL has been expanding its activities on the West Coast of the US by its CEO and CIO to further deepen its presence and develop its initiatives in healthcare analytics. 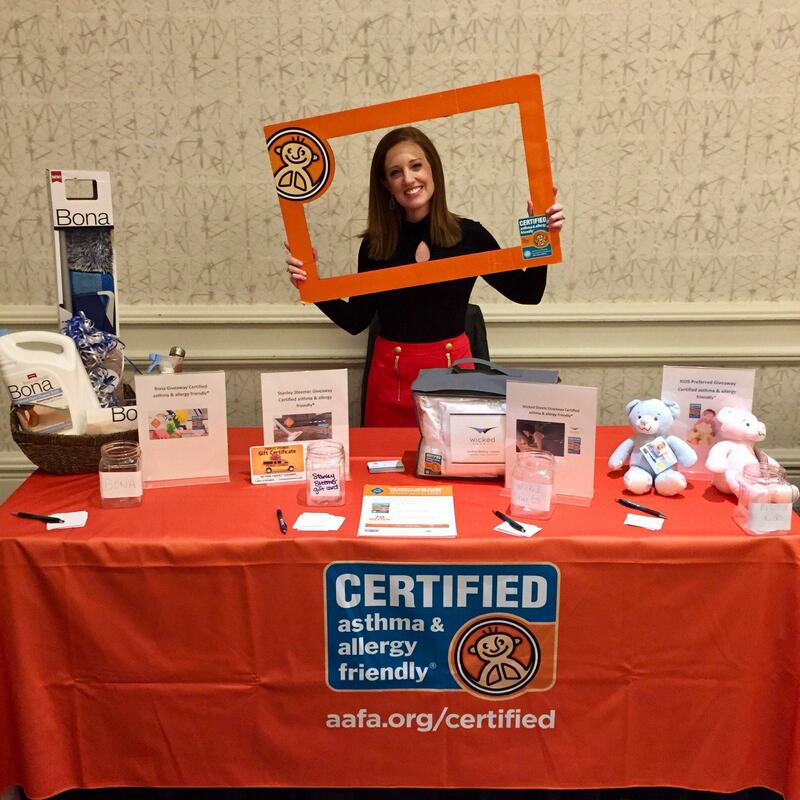 The leadership team of the asthma & allergy friendly® Certification Program announced today that they will be creating the Amber Tringale Memorial Award. ASL today announced that Dr Joey DeCourcey will feature at the Cleaning Products Conference Europe as a Speaker and Panel member. 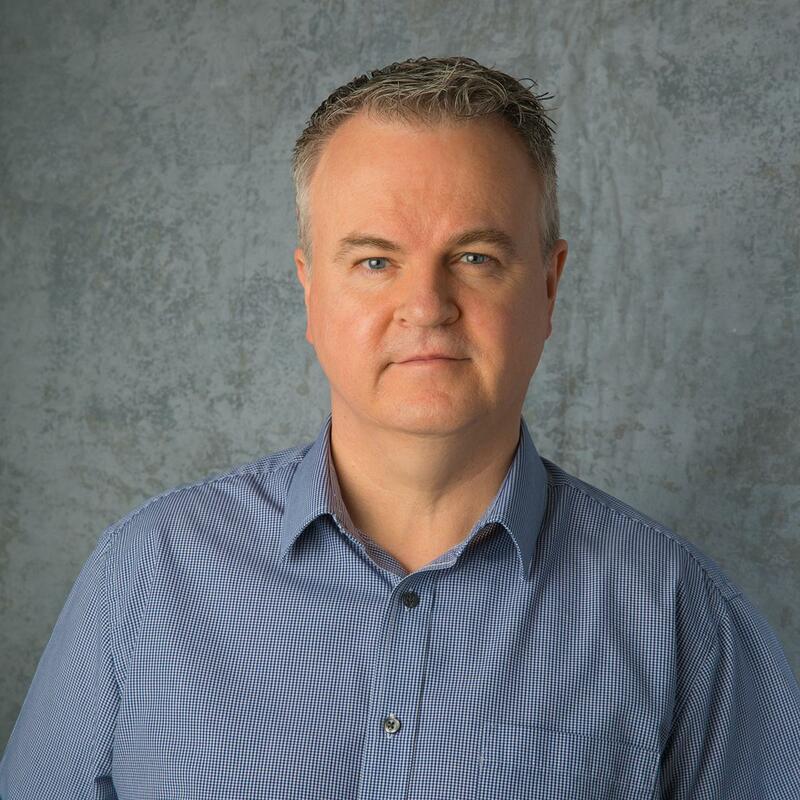 We’re delighted to share an interview with ASL Senior Scientific Officer, Dr. Joey DeCourcey, featured in the UK Archetech Magazine. 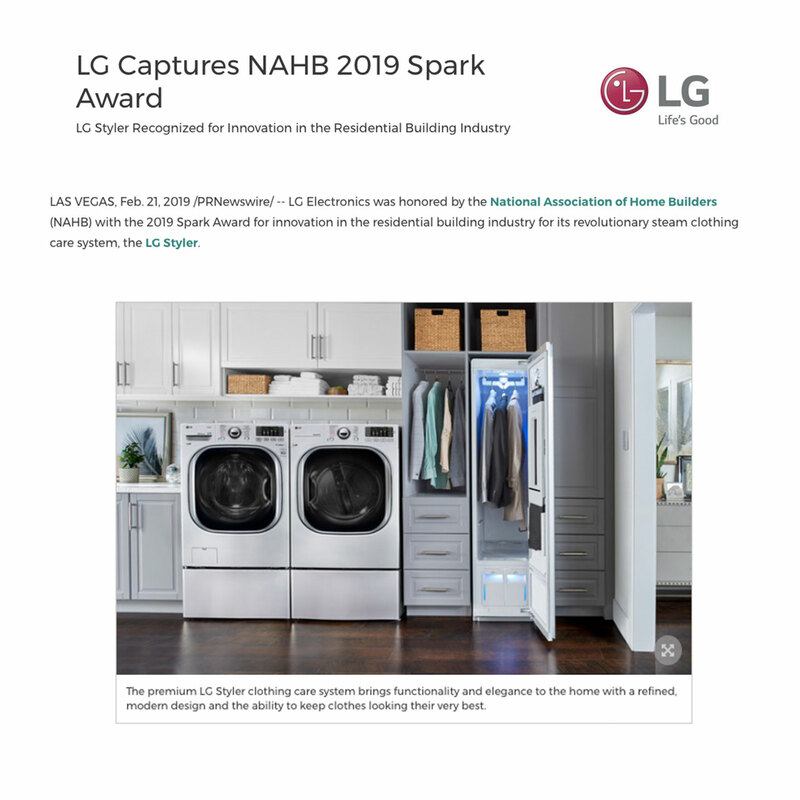 LG awarded the 2019 Spark Award for its innovation in the residential building industry with the revolutionary CERTIFIED LG Styler. 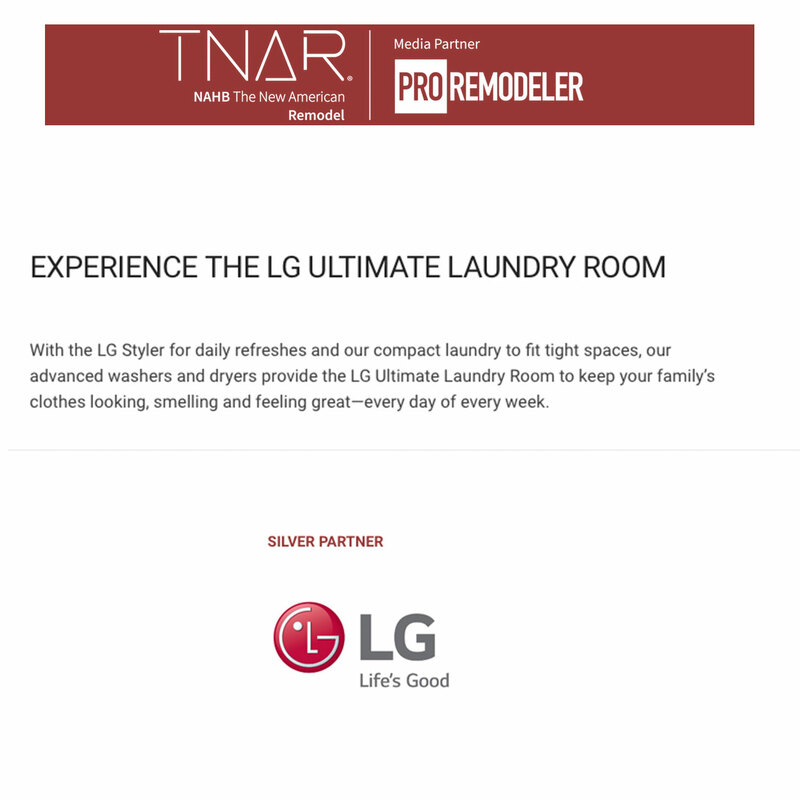 LG Electronics USA named 2019 official partner for the 2019 New American Remodel home project with a highlight on innovation in the building industry. 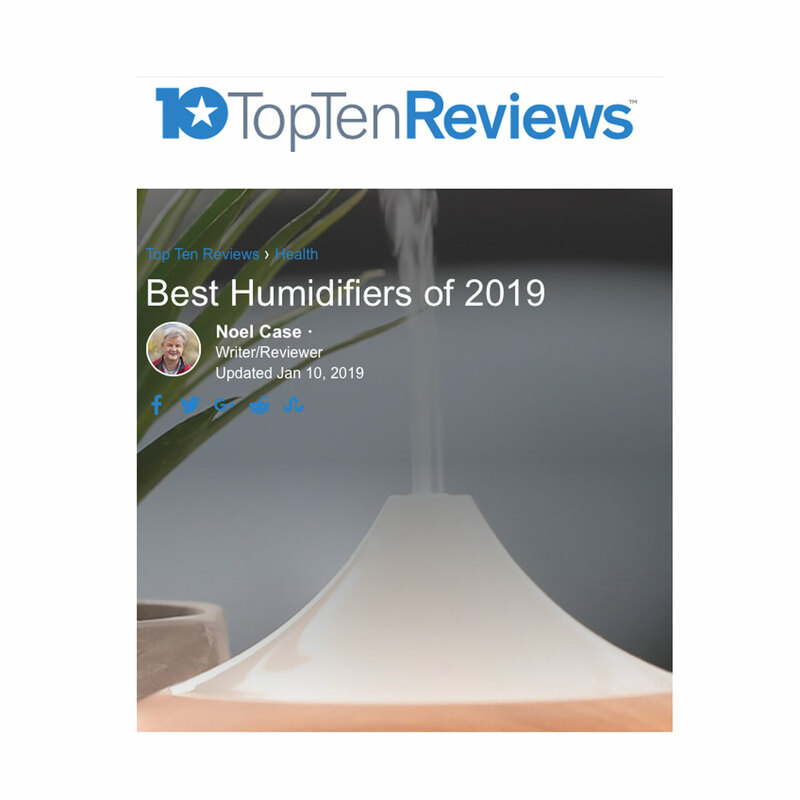 Insightful review of the best humidifier for 2019 with great advices from Michele Cassalia, Director of Marketing for the Certification Program. 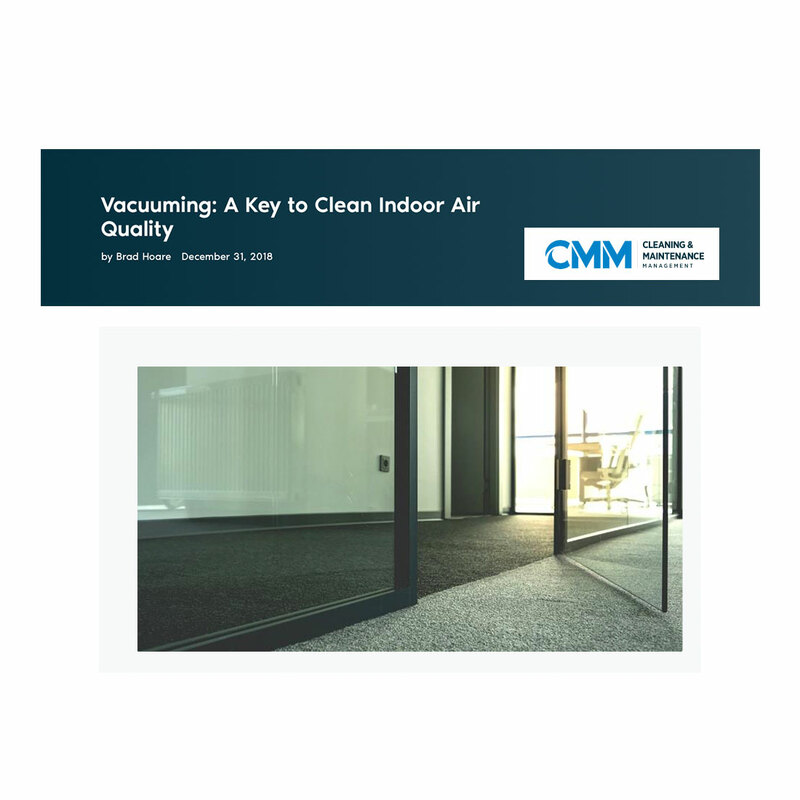 Great article on the vacuuming and floor cleaning best practices to achieve exceptional air quality in commercial facilities. 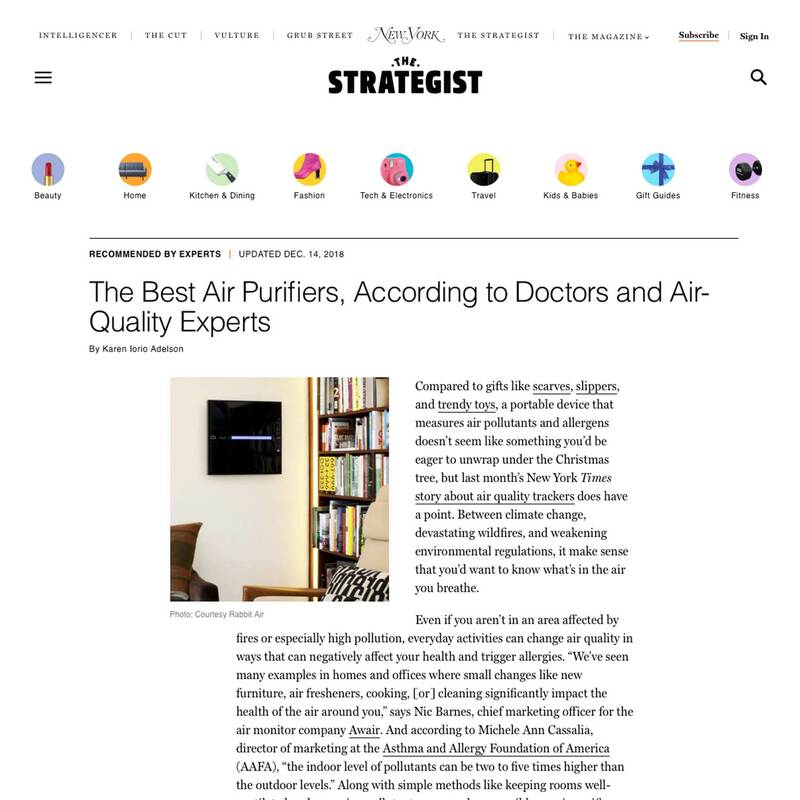 Article published in the New York Mag by Karen Iorio Adelson on the best air purifiers as recommended by doctors and air quality experts. 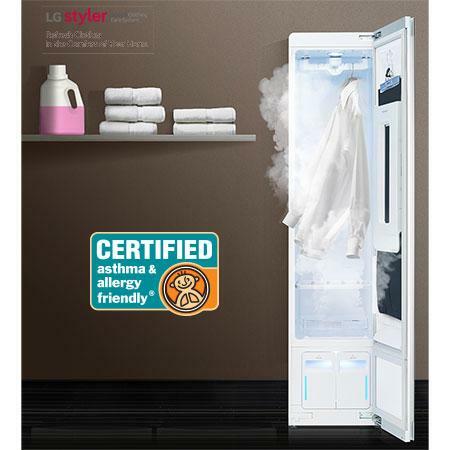 The CERTIFIED LG Styler is recommended to take care of winter clothing as it will help keeping winter gear in good shape. 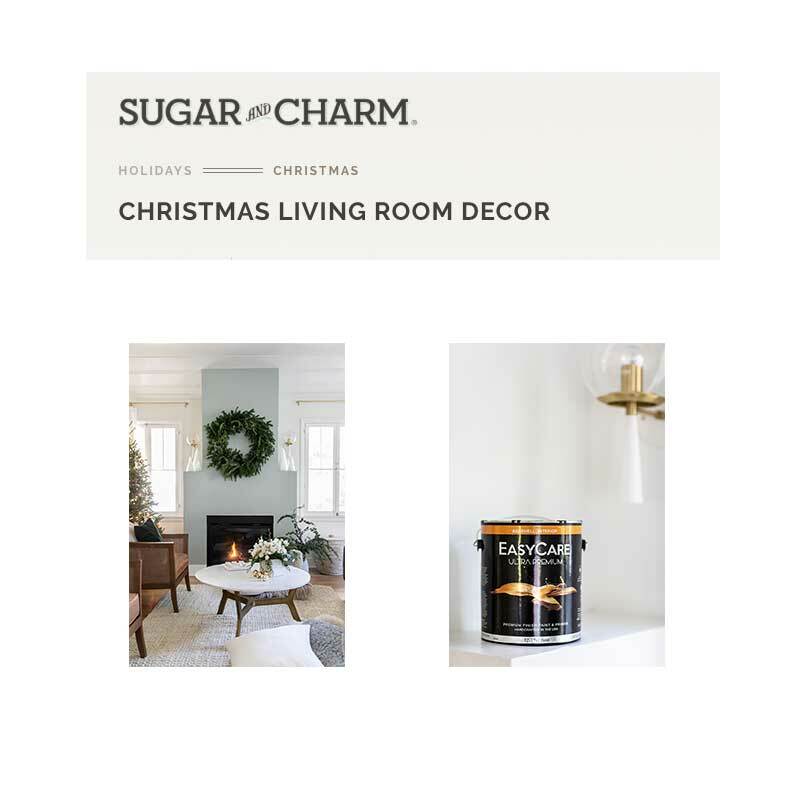 Article published by lifestyle blogger on Christmas decorations featuring the CERTIFIED asthma & allergy friendly® EasyCare Paint by True Value. 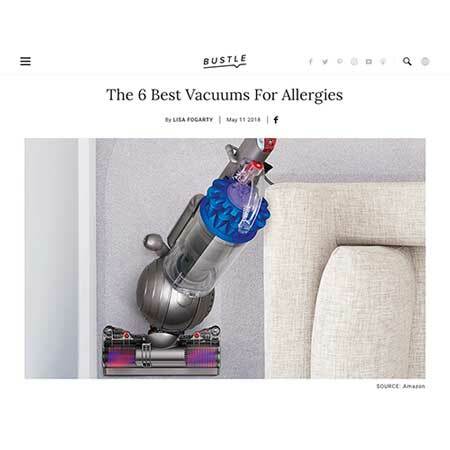 Two CERTIFIED asthma & allergy friendly® Dyson air purifiers short listed among the 8 best air purifiers for allergies on the market. 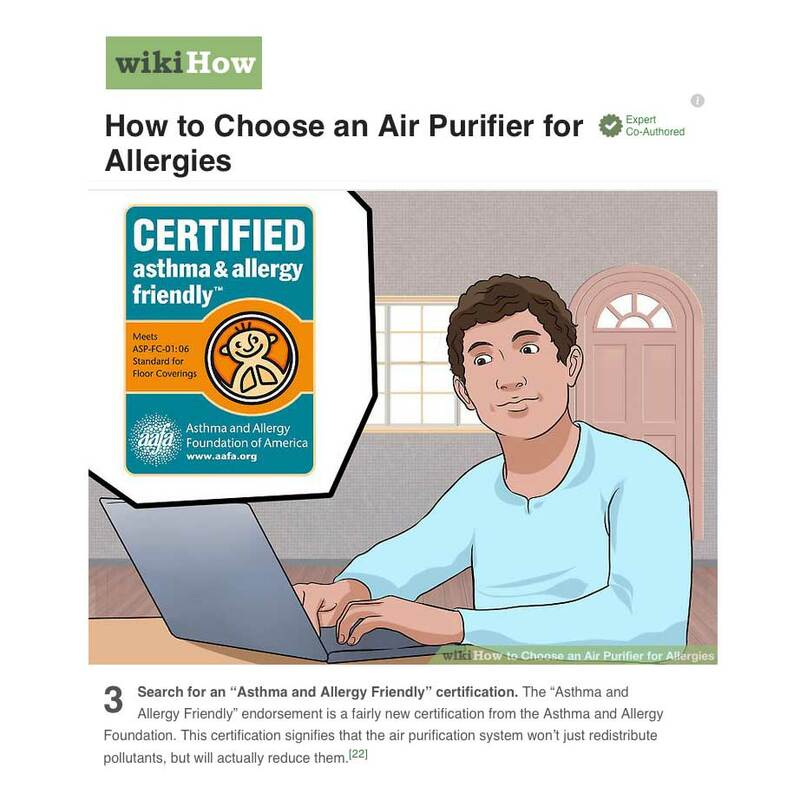 Great article published on WikiHow recommending to look for the asthma & allergy friendly® Certification when choosing an air purifier. 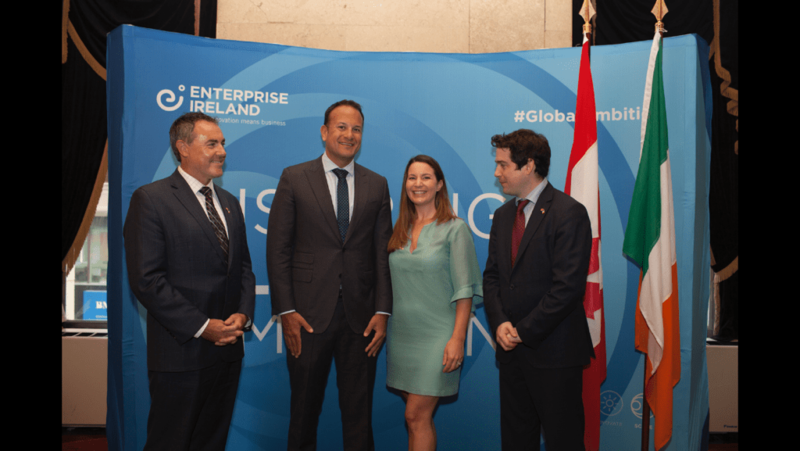 ASL is delighted to announce that the company has been selected by Enterprise Ireland to be part of the prestigious Innovation 4 Growth program. 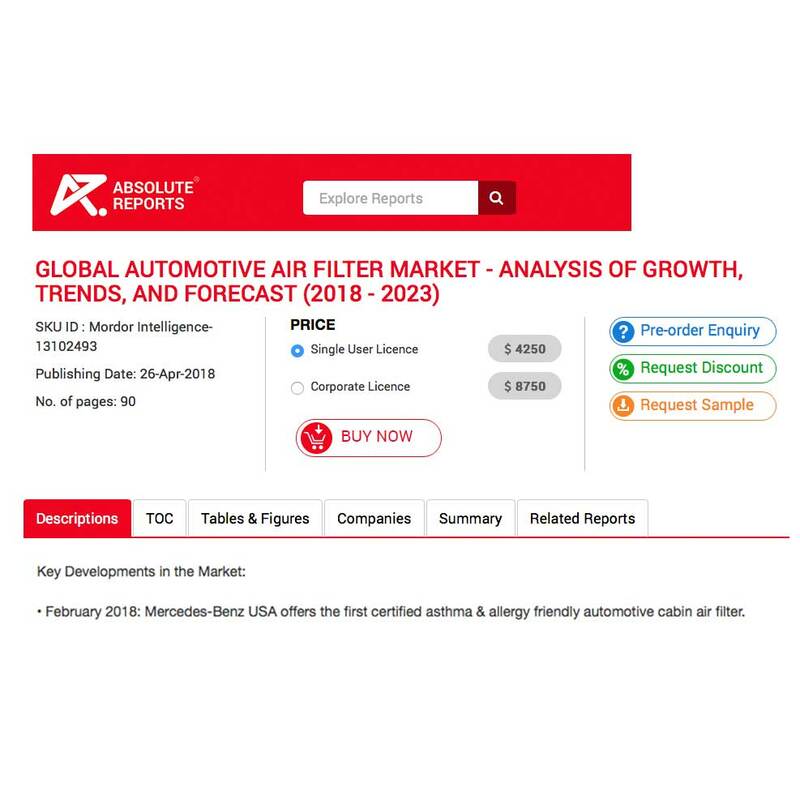 An Industry Report highlights Mercedes-Benz as the Key Development in the cabin air filter industry by being the first to offer an asthma & allergy friendly® CERTIFIED automotive cabin air filter. 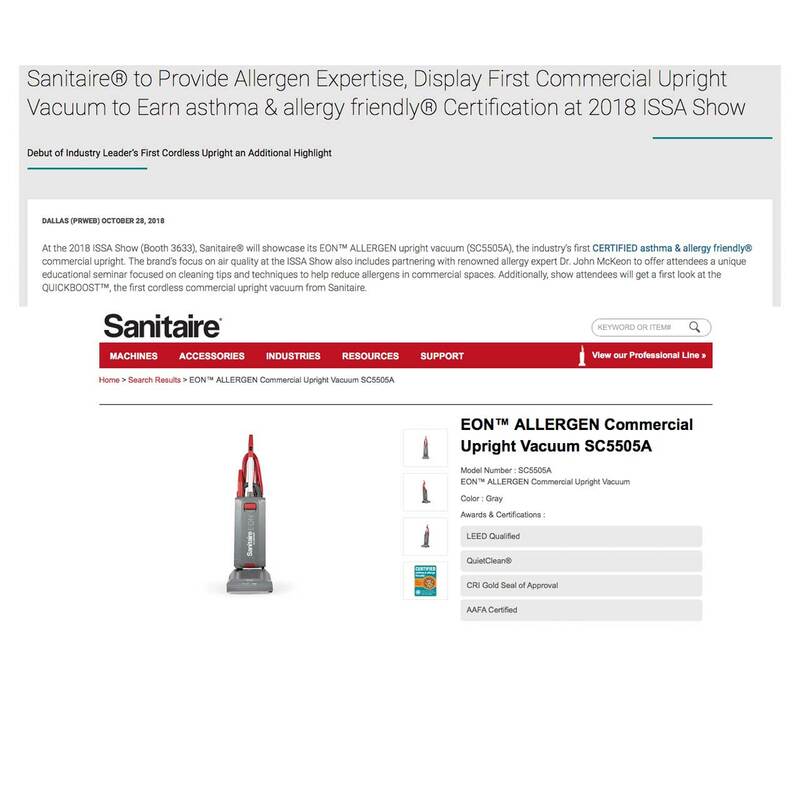 Press Release published by Sanitaire® to introduce the 2018 ISSA Show where they showcased their CERTIFIED EON ALLERGEN upright commercial vacuum. Press Release published by AAFA about the healthier home initiative in partnership with the Children’s Hospital of Philadelphia. 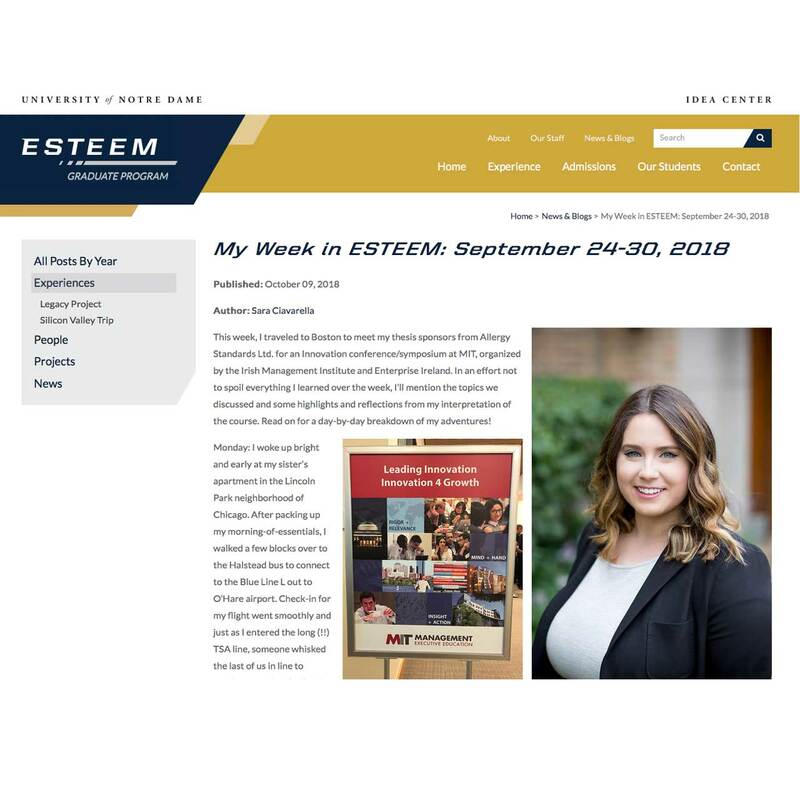 A great blog post by Sara Ciavarella about her week at the MIT Sloan School of Managament in Boston with ASL’s CEO, Dr John McKeon, and CIO, Dave Morrissey. 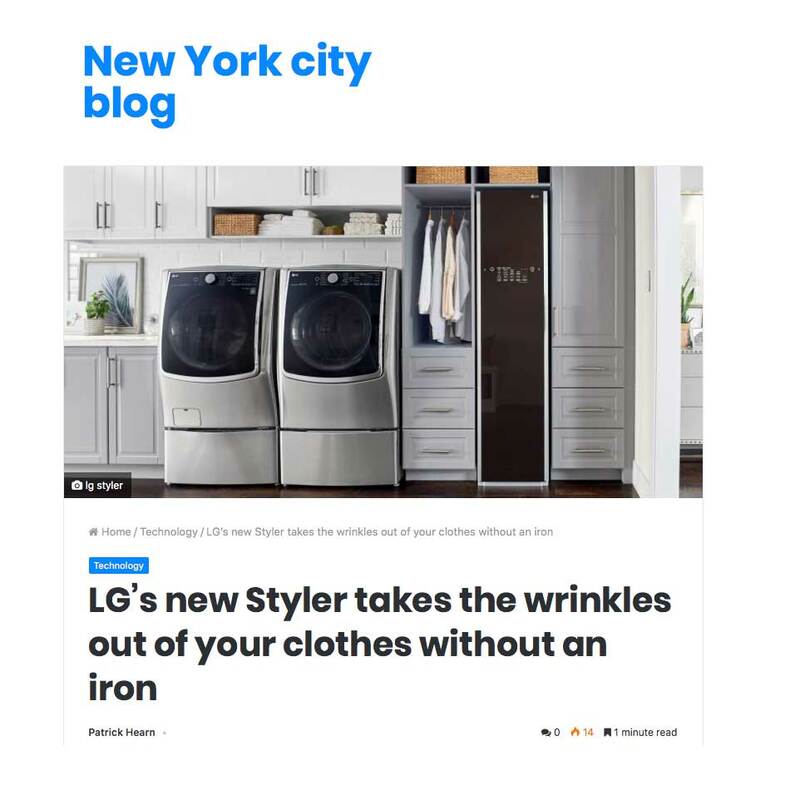 Great article in the New York City Blog on the new LG Styler and its outstanding features for a better indoor environment. 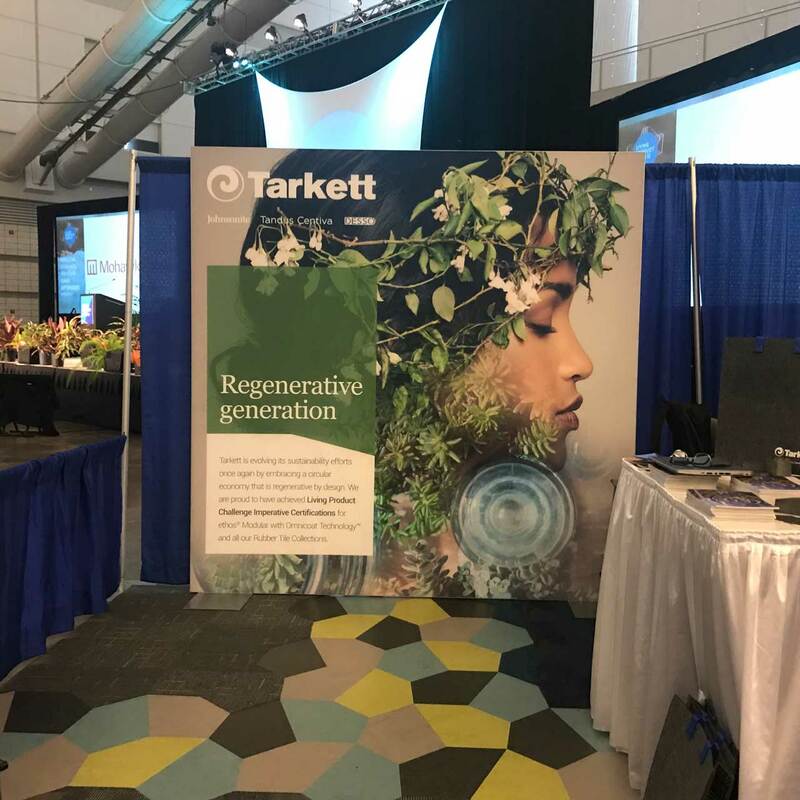 In Kim Myles’ list of best recommendations for this fall, she recommends the new generation of CERTIFIED Tarkett’s floorings. 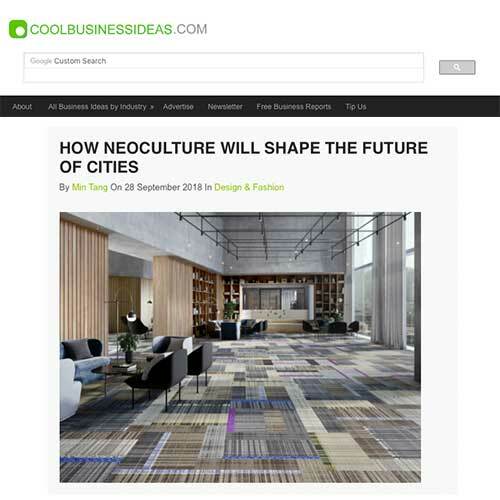 Great article referring to a podcast interview recorded earlier this year with Chris Stulpin, Tarkett Chief Creative Officer. 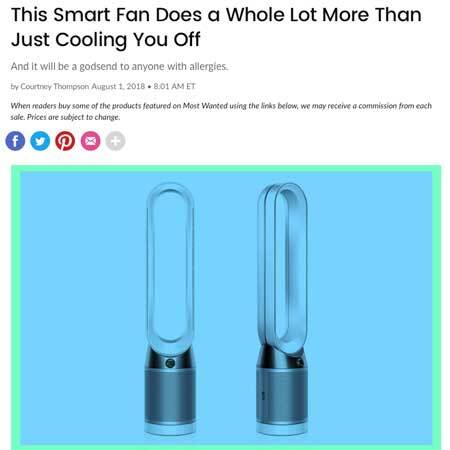 CERTIFIED Trane CleanEffects whole home air filter fetaures in the Air Conditioning, Heating and Refrigeration NEWS magasine. 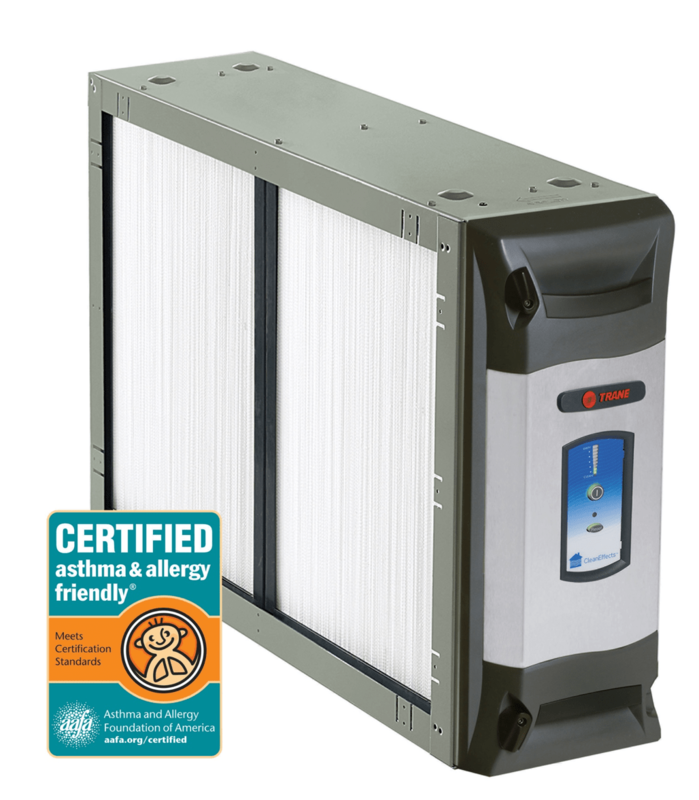 Among the six air purifiers short listed, three of them are certified by our asthma & allergy friendly® Certification Program. Article published in Floor Covering Weekly (FCW) on the launch of Tarkett’s flooring Performa certified asthma & allergy friendly®. 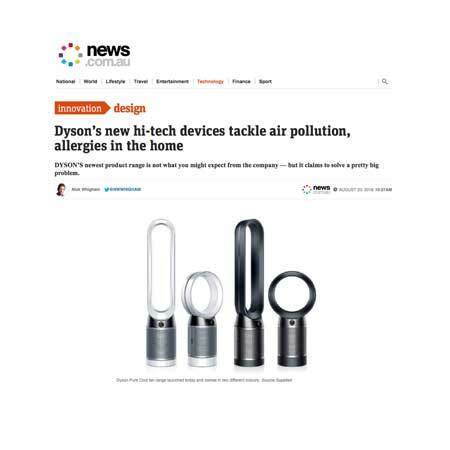 The Dyson Pure Cool certified asthma & allergy friendly® are at the cutting-edge of the technology to keep our homes free of harmful pollutants. 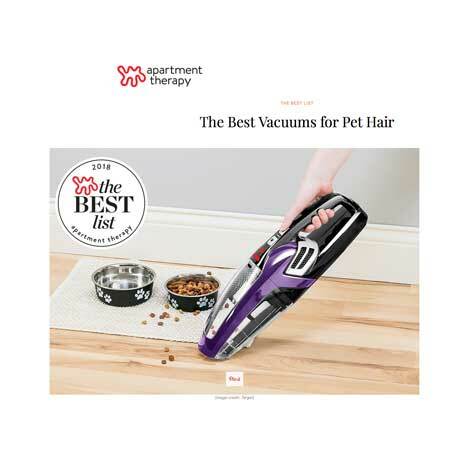 Great mention in Apartment Therapy magazine of the Dyson Ball Animal 2 that has passed our standards and been certified asthma & allergy friendly®. 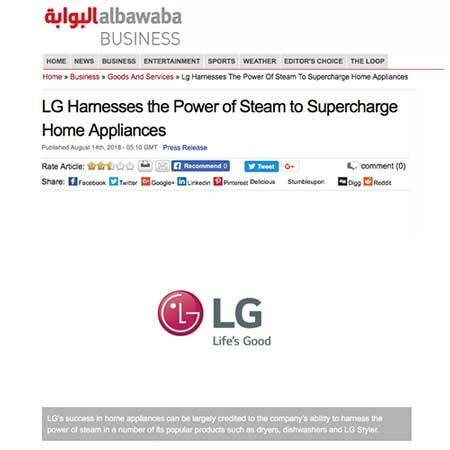 Great article published about the innovative features of the LG TrueSteam™ technology used in many of the popular LG appliances such as the LG Styler. 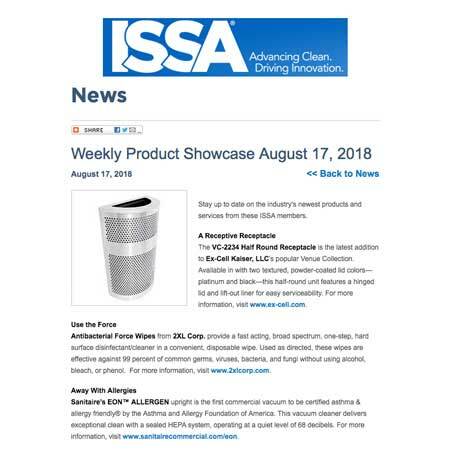 Great mention of the CERTIFIED Sanitaire’s EON Allergen in the ISSA Weekly Product Showcase August 17, 2018. 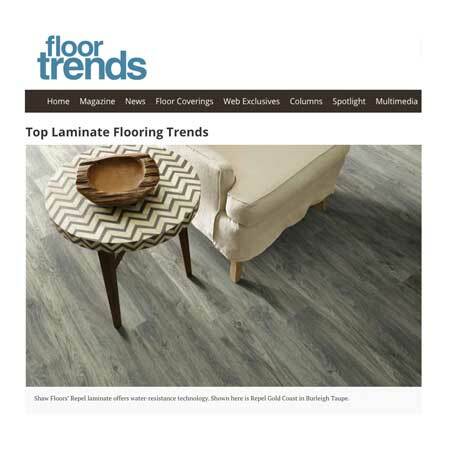 Article in Floor Trends magazine about Tarkett’s innovative floorings that have been certified asthma & allergy friendly®. 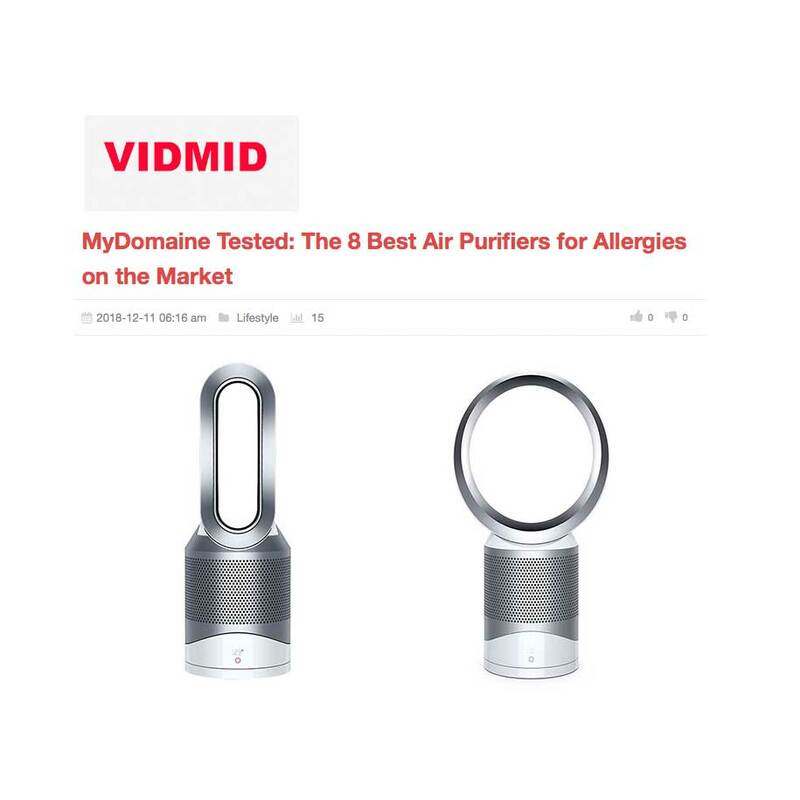 Great review of the Dyson Pure Cool air purifier in the press that passed our scientific standards and joined our asthma & allergy friendly® Certification Program. 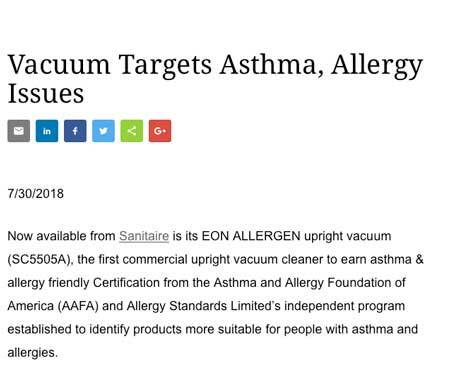 Sanitaire released a press release announcing their EON ALLERGEN upright vacuum to be the first commercial upright vacuum cleaner to earn the asthma & allergy friendly® Certification. 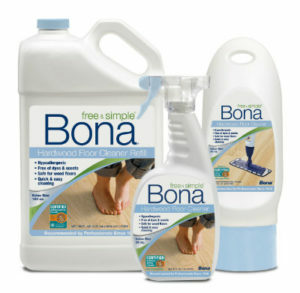 Great article published by Stroller in the City about the certified hard surface cleaning product Bona free & simple® Hardwood Floor Cleaner. 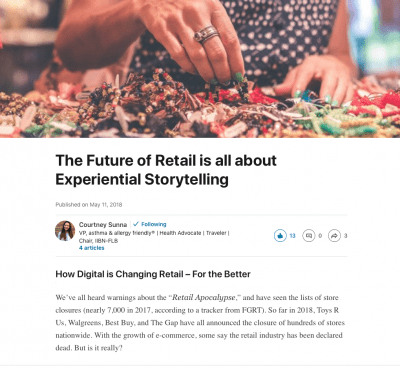 Excellent article written and published on LinkedIn by Courtney Sunna on the future of the retail industry and the importance for products to fit in the new innovative storytelling world. 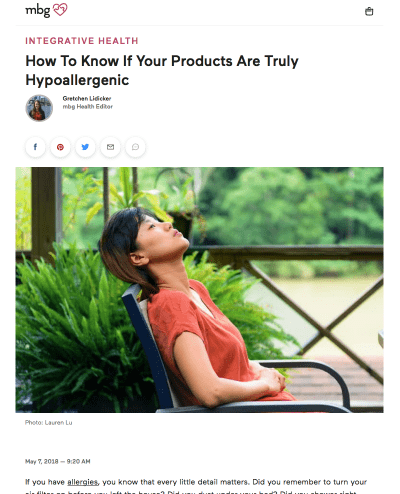 Excellent article published by Gretchen Lidicker Mind Body and Green Health Editor on how to avoid exposure to allergens in our homes and what claims can consumers really trust to improve their indoor environment. 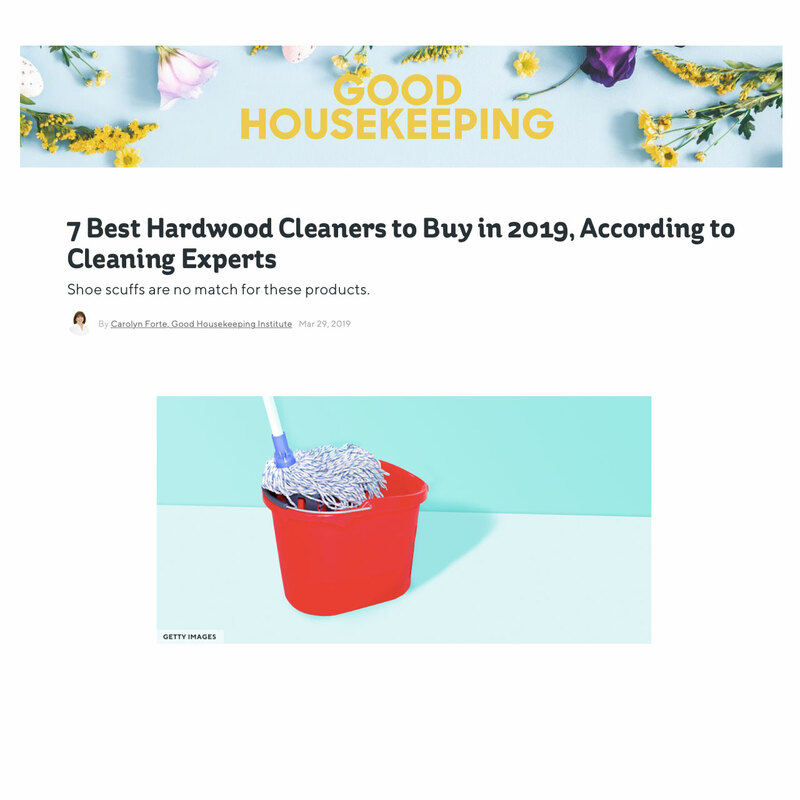 Bustle online magasine put together a great guide to pick the right vacuum to help people make the best at-home allergy defense. 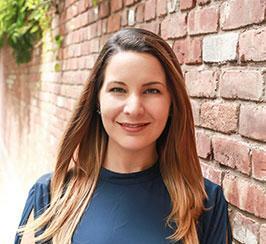 With the ongoing scaling of Allergy Standards global business, we are happy to announce that Kelsey Hayden has joined the firm to further facilitate the implementation of ASL’s comprehensive growth strategy. 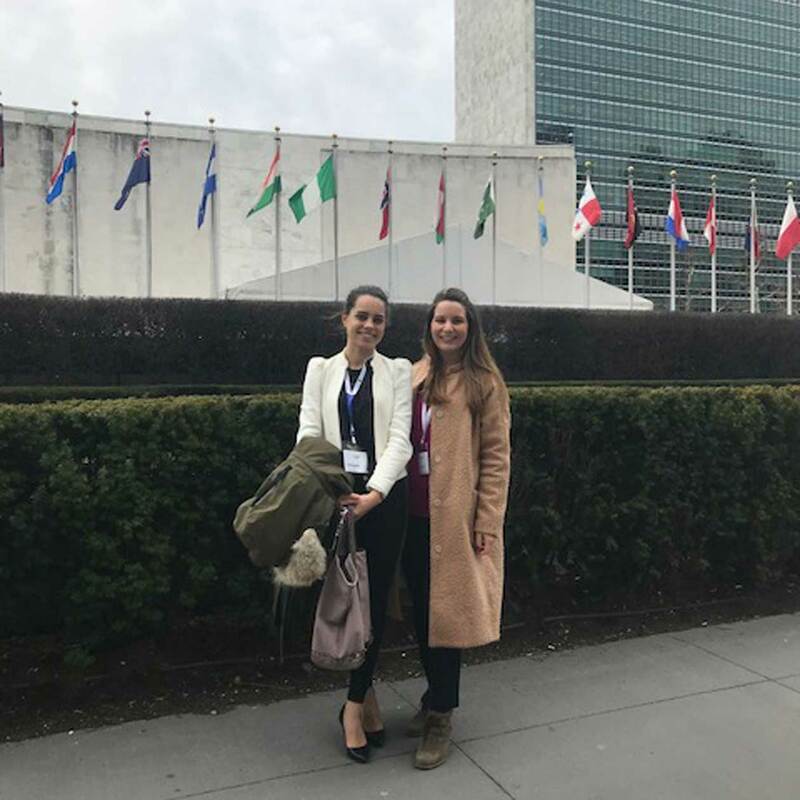 Courtney and Lea from ASL were invited to the United Nations Conference on “Innovation & Collaboration for Sustainable World” as Outstanding Young Leaders. Dr McKeon joins the nine current Board members of the IRDG, all holding senior roles in leading research, development and innovation companies across Ireland. 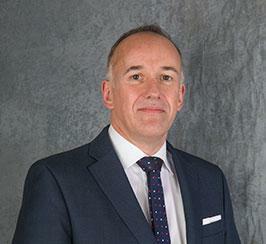 Allergy Standards (ASL) today announced the appointment of Dr. John Ryan as Chief Strategy Officer. 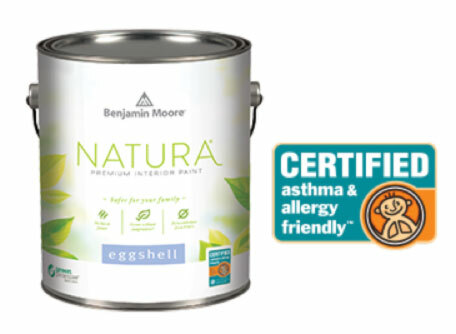 It is estimated that nearly 70% of USA households are impacted by asthma & allergies and that these households want independent assurance that the products they buy will not adversely impact them. 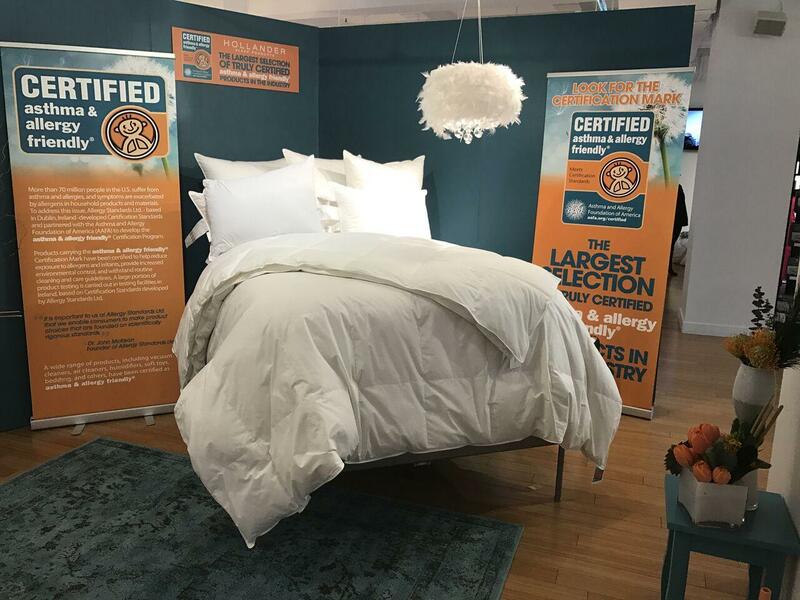 ASL announced that the entire kit performance bedding line from Wicked Sheets have passed the relevant Certification Standards. 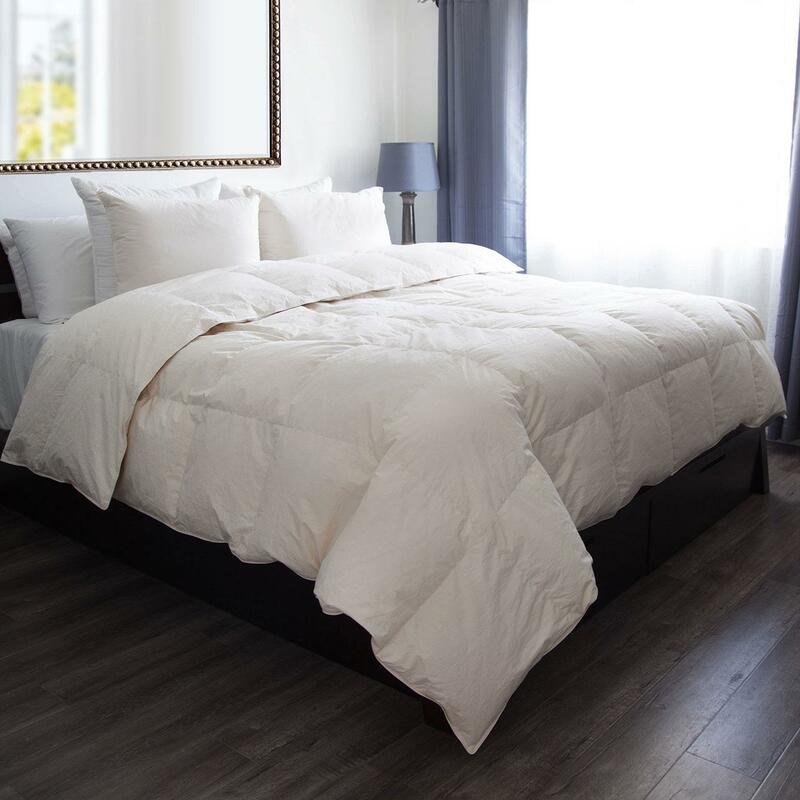 Allergy and Asthma Sufferers Can Now Sleep Protected and at Ease With Asthma & Allergy Friendly(TM) Bedding from London Luxury LLC. 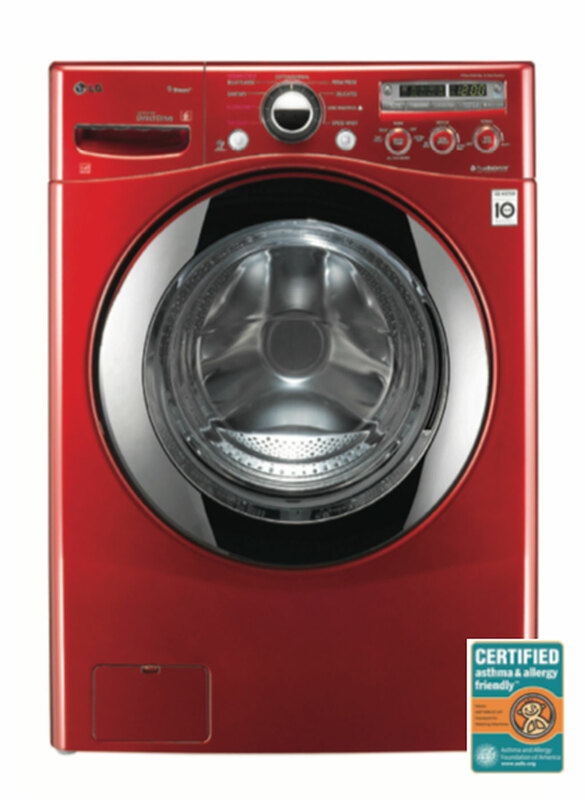 New LG Front Load Washer Combines Warm Water Performance with Cold Water Savings From 6Motion™ and ColdWash™ Technologies. 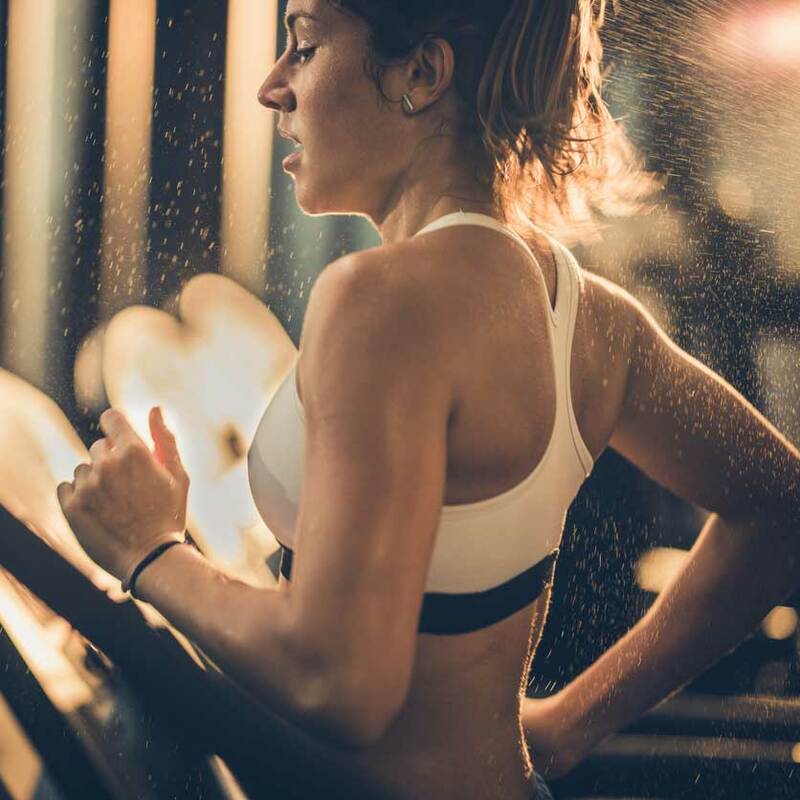 CHAGRIN FALLS, Ohio, June 17, 2013 /PRNewswire/ — With people spending, on average, about 93% of their time indoors, it’s more important than ever to be conscious of Indoor Air Quality. 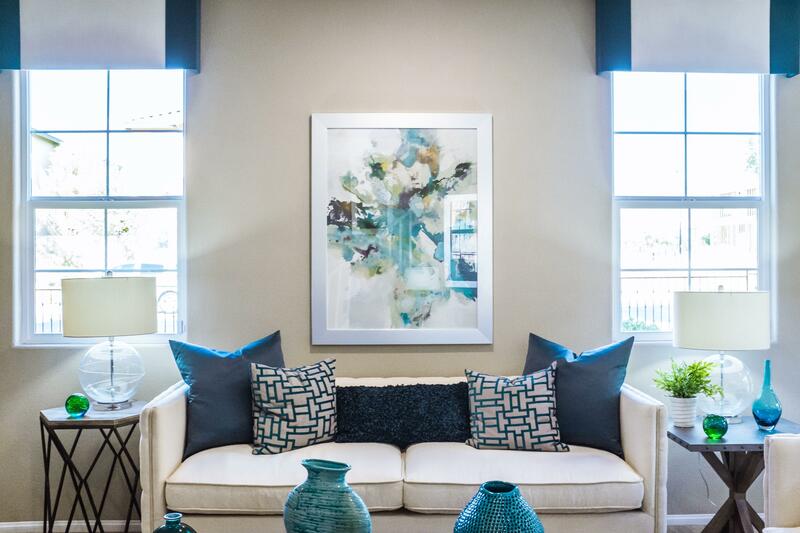 Selecting flooring is about more than just choosing the right color and design–health should be a primary consideration. 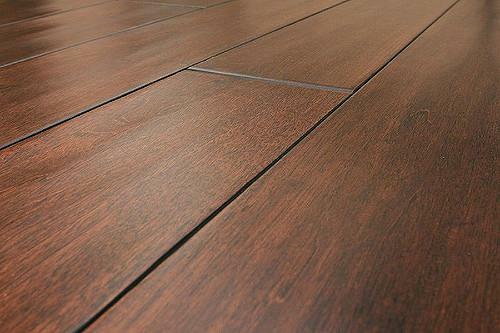 Tarkett, the leading provider of innovative and sustainable flooring is proud to offer healthy flooring options. 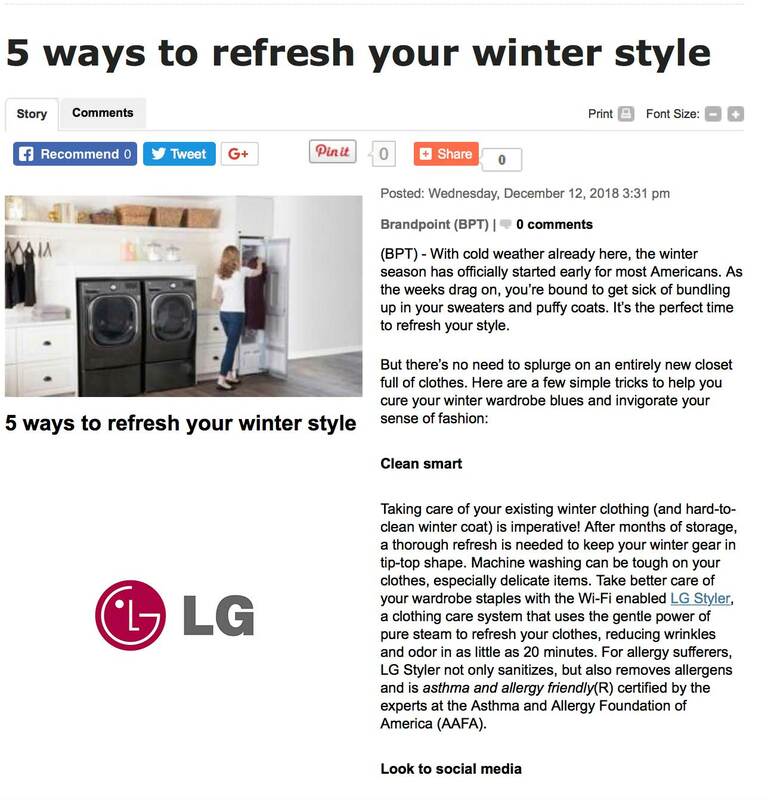 LG Electronics today announced the expansion of its allergen-reduction laundry line to now include a unique combination washer-dryer unit. Samsung Electronics America, Inc. announced the world’s first Motion Sync Design™ Upright Vacuum is now available at retailers nationwide. 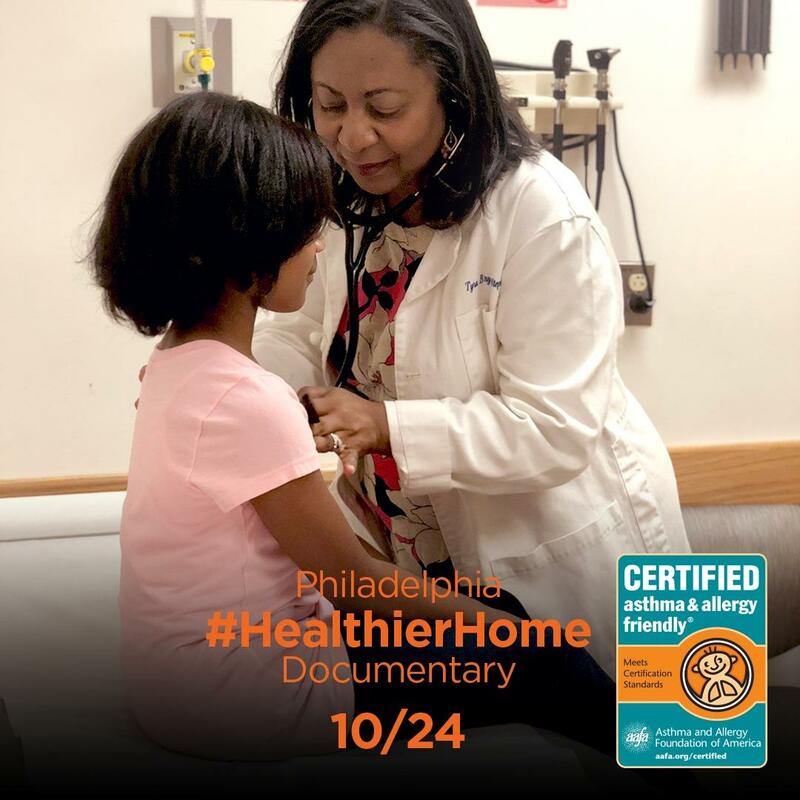 ASL team is delighted to be sharing the trailer of the asthma & allergy friendly® Certification Program’s Philadelphia Healthier Home Initiative. 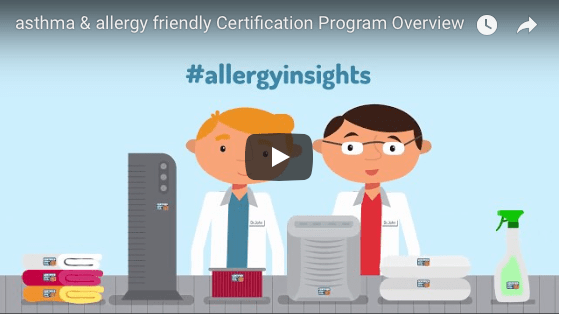 Welcome to our new Video Series and our first episode “About Allergy Standards and the Certification Program”! 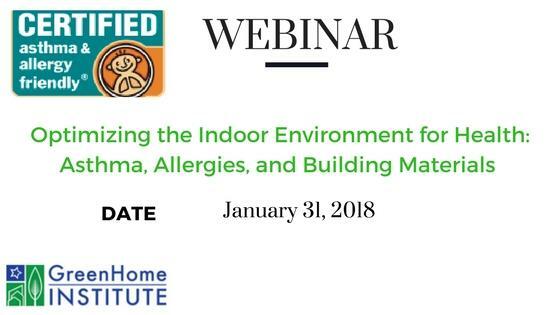 Watch the Webinar in Replay on the GreenHome Institute YouTube page – link in the article. 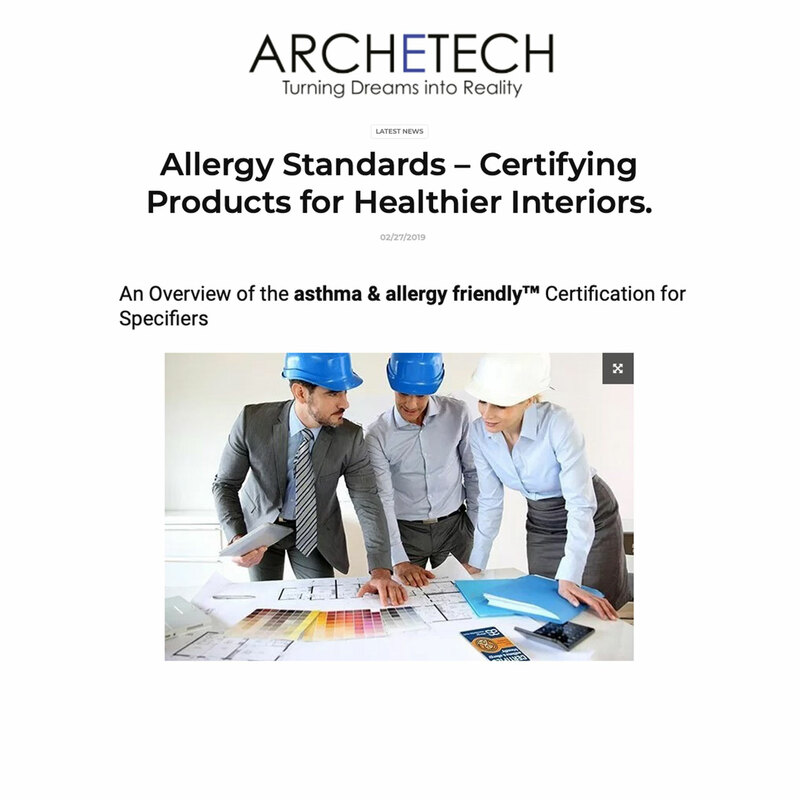 This is a one-our course given by Dr. John McKeon and Courtney Sunna about how building products can be tested, certified asthma & allergy friendly®, and incorporated into projects. 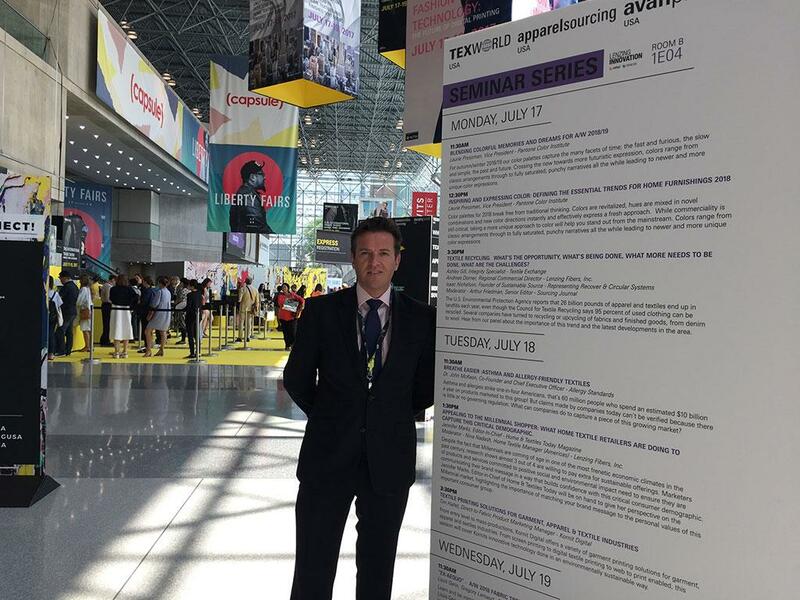 Ahead of their attendance at the New York Home Fashions Market September 2017 meeting, the ASL team have released their wrap up report and video blog of the Summer 2017 Seminar Series organized by Texworld USA, in New- York. 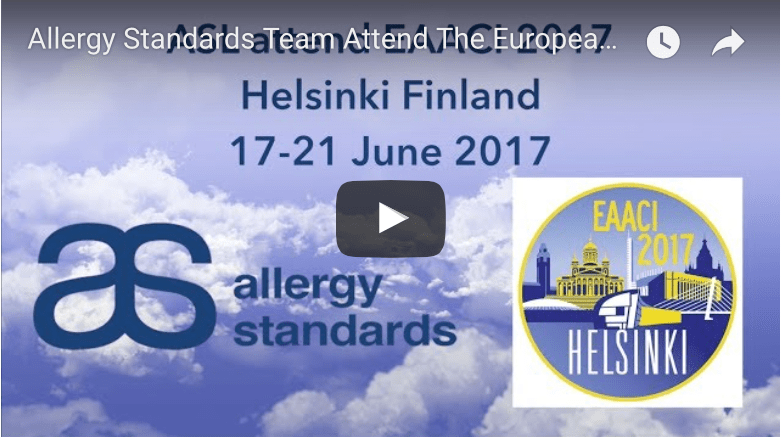 Last June we were announcing the participation of Allergy Standards CEO, Dr John McKeon, as well as Dr John Ryan, to the European Academy Of Allergy And Clinical Immunology (EAACI) Congress 2017 in Helsinki (Finland).